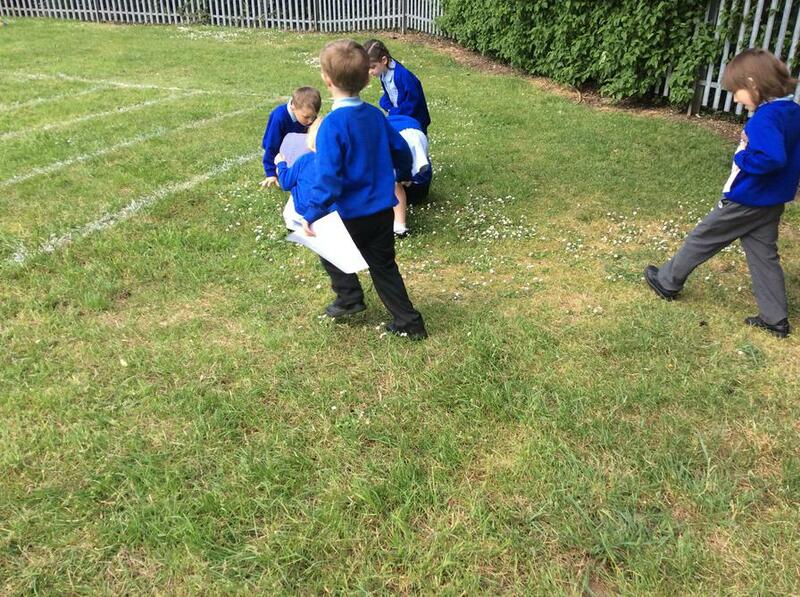 As part of our topic on 'Growing', we carried out an experiment with cress. 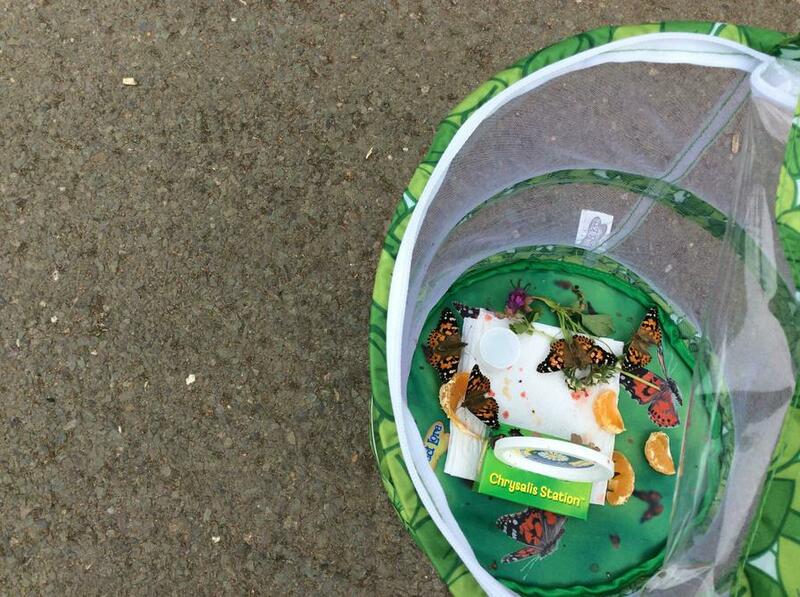 We then made cress sandwiches with the children but had to resort to the supermarket cress for that! 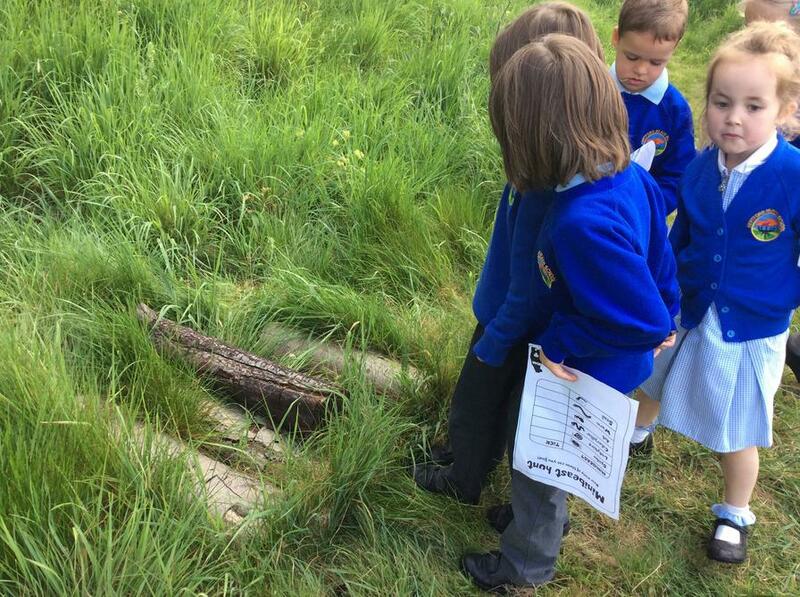 In our wooded area, we had a part of a large tree chopped down. 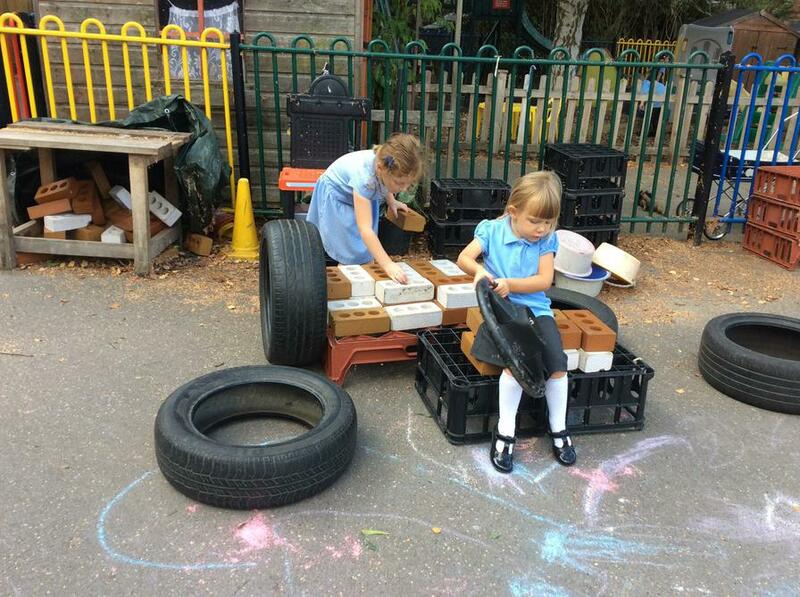 The children had lots of fun spreading the chippings! 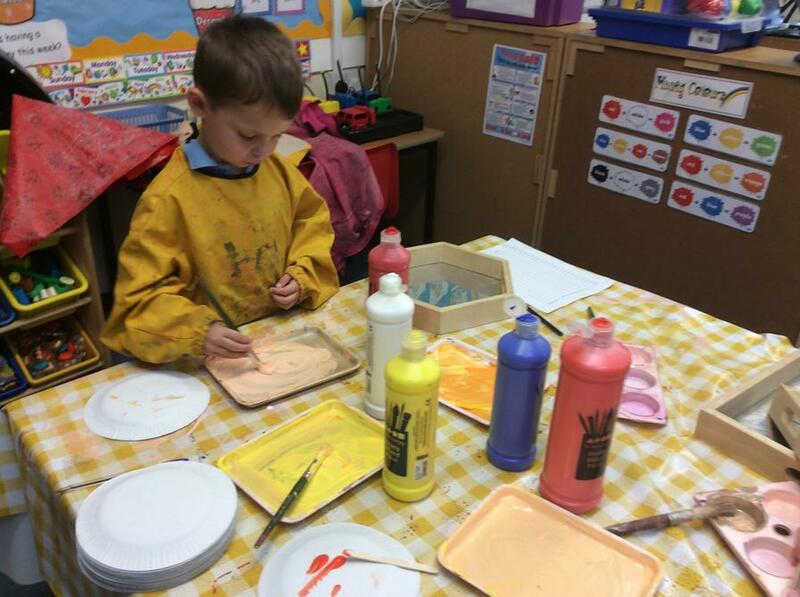 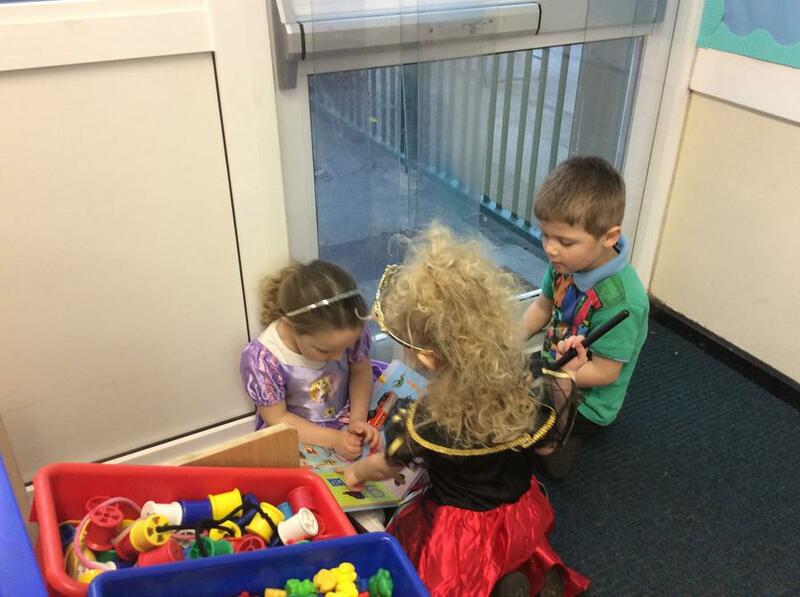 We have been learning the Easter Story. 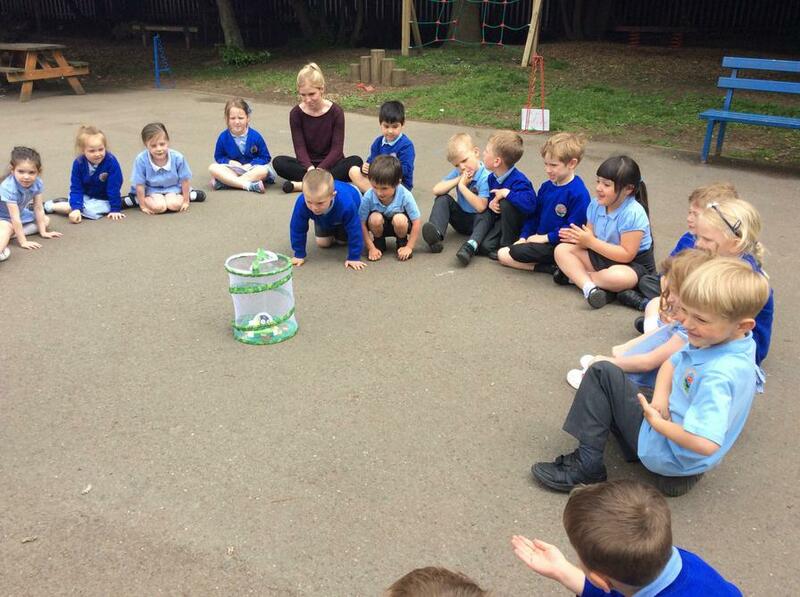 To celebrate Easter, we made chocolate nests and we had an Easter egg hunt! 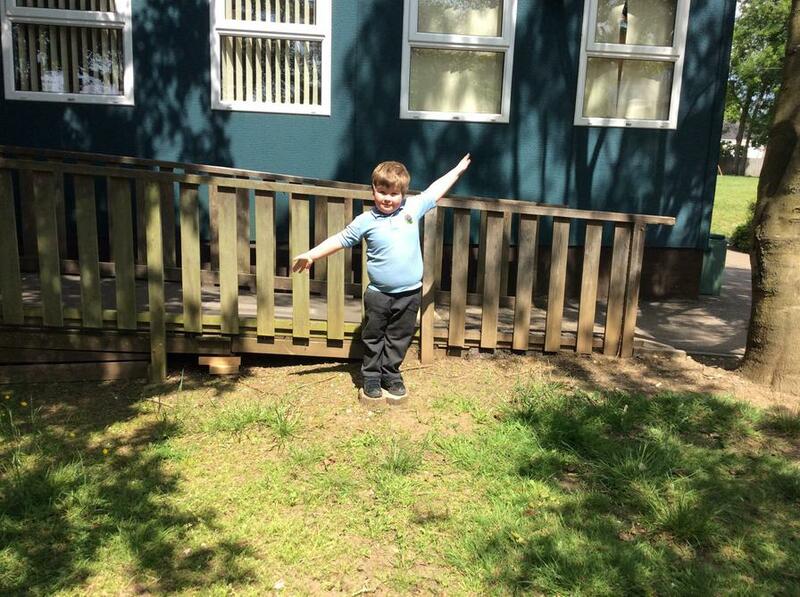 We have been busy tidying our flower beds. 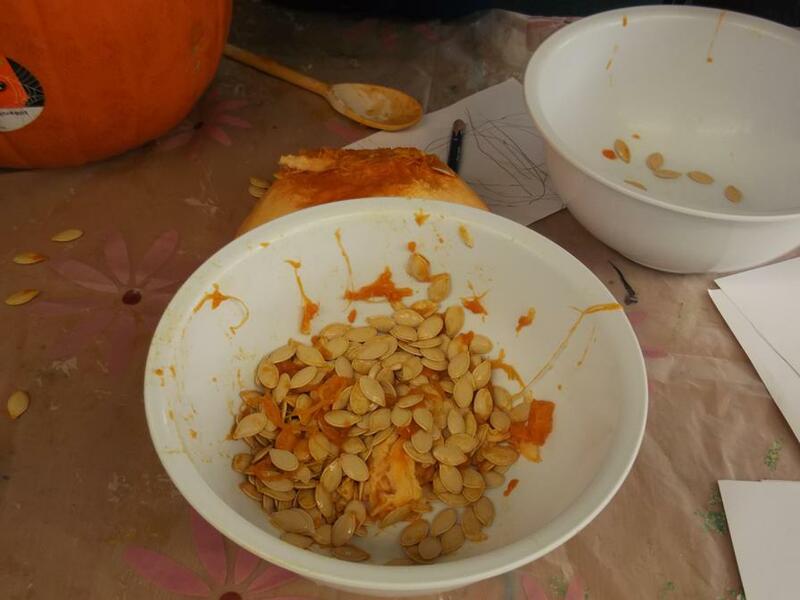 It took a lot of work. 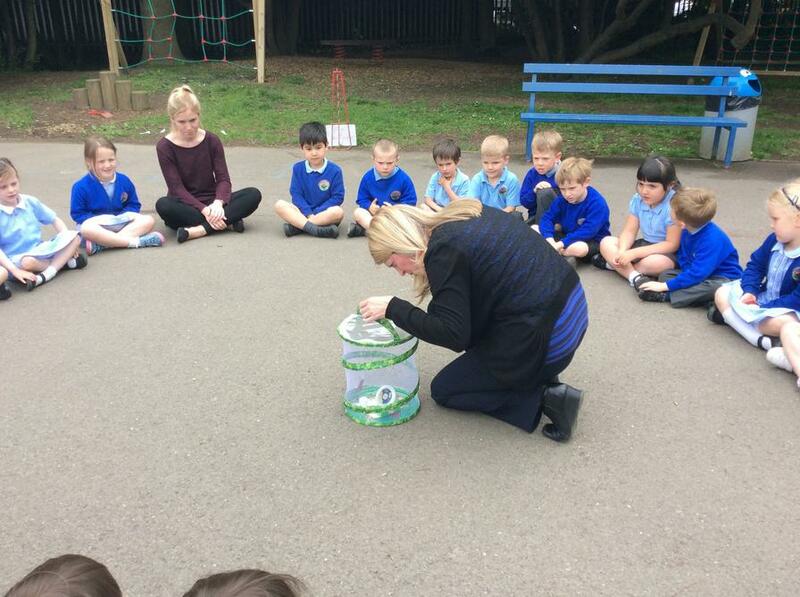 We have sown some seeds and are going to plant some bedding plants as soon as the weather improves. 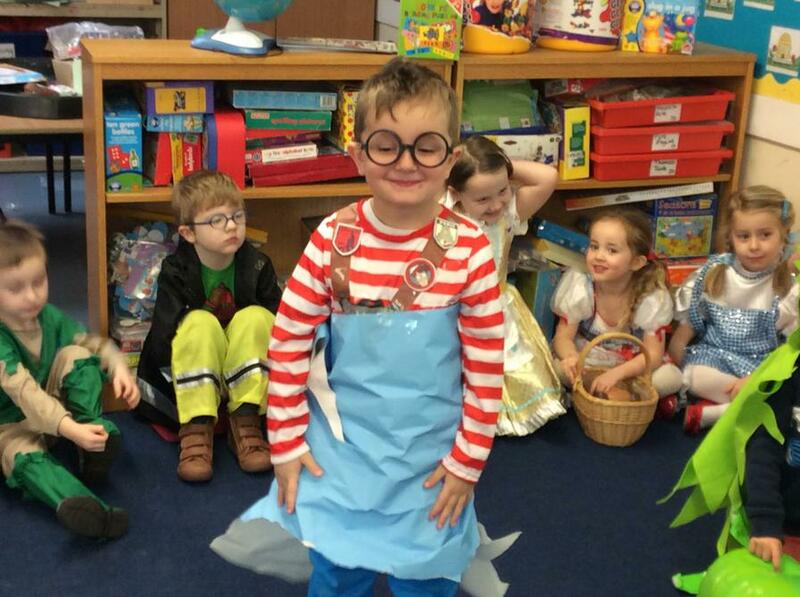 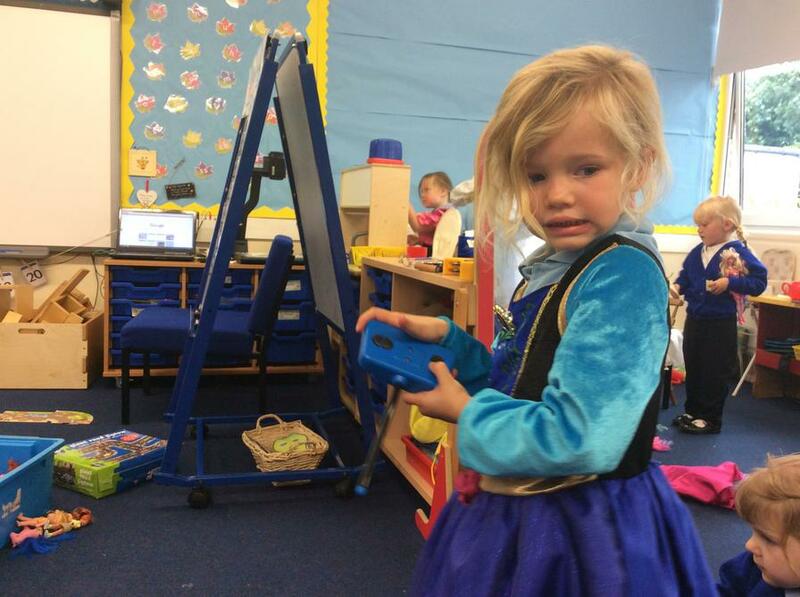 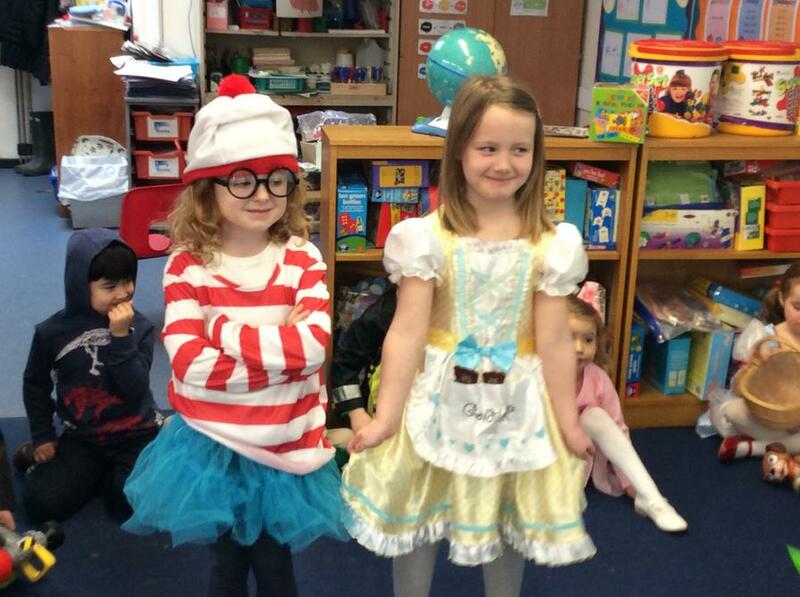 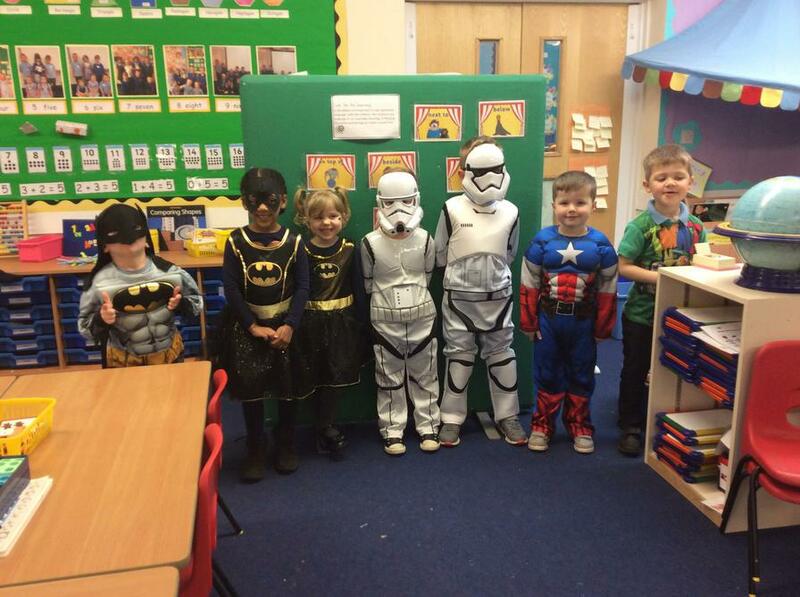 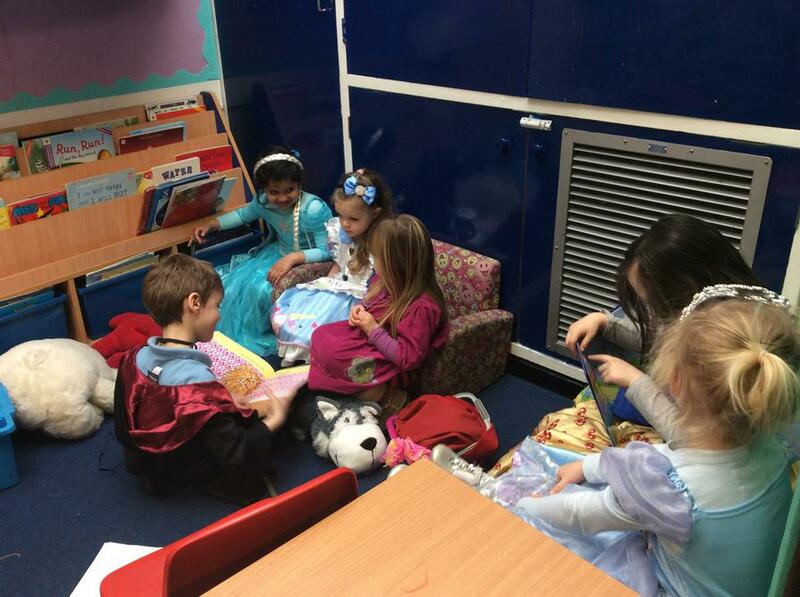 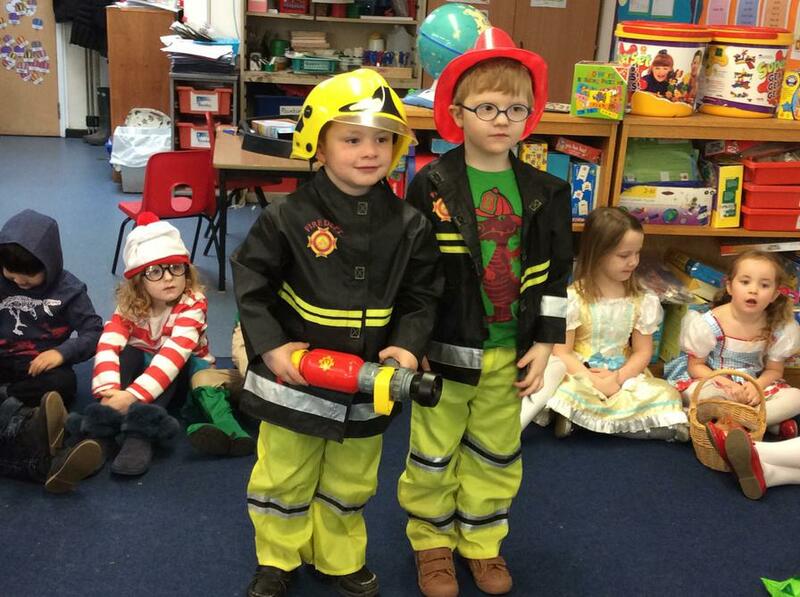 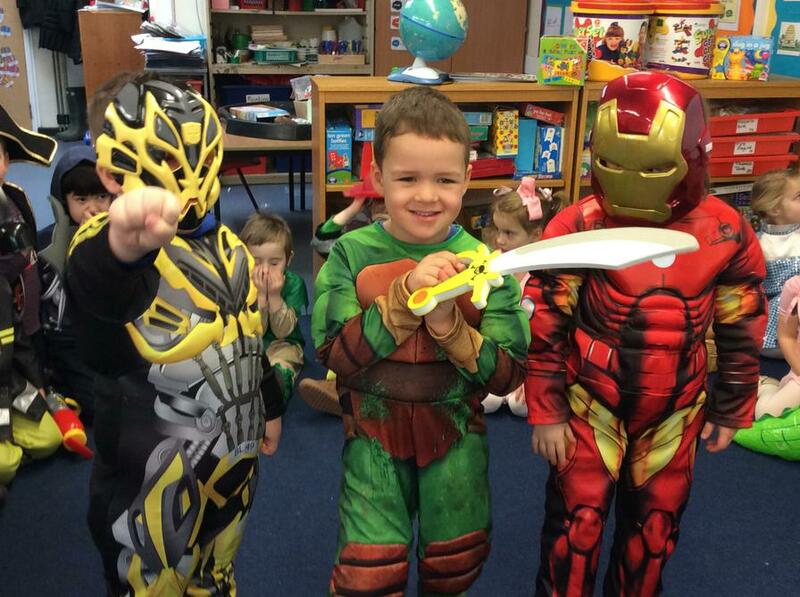 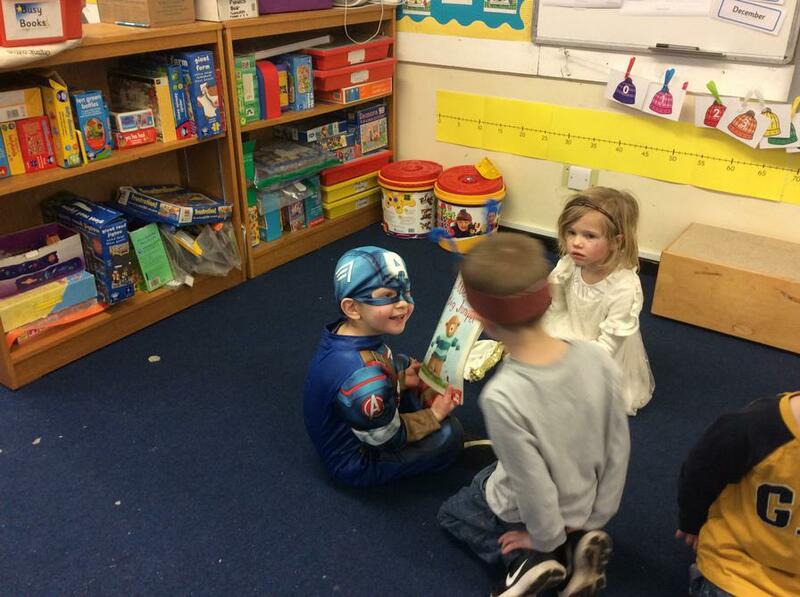 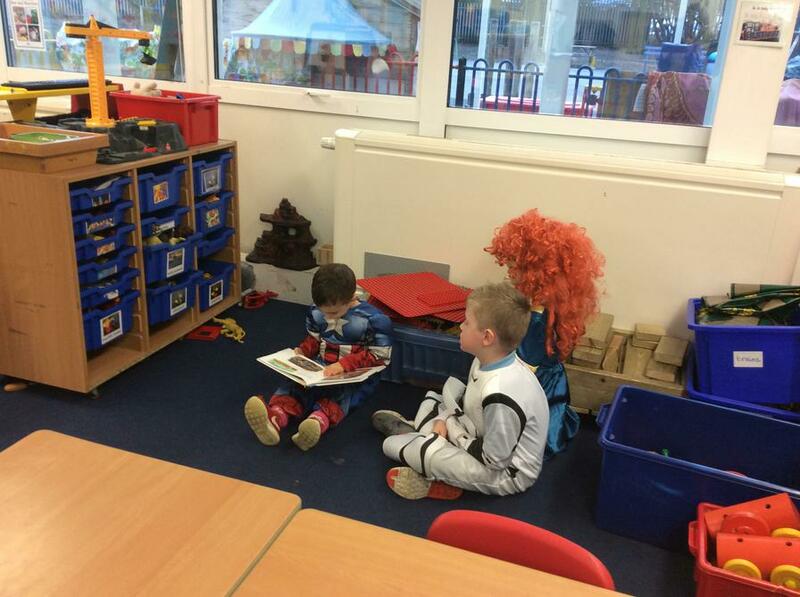 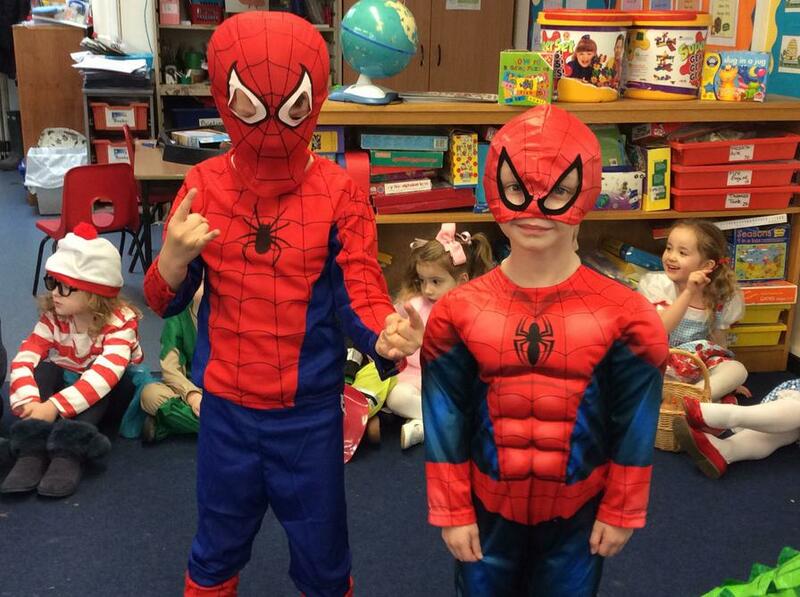 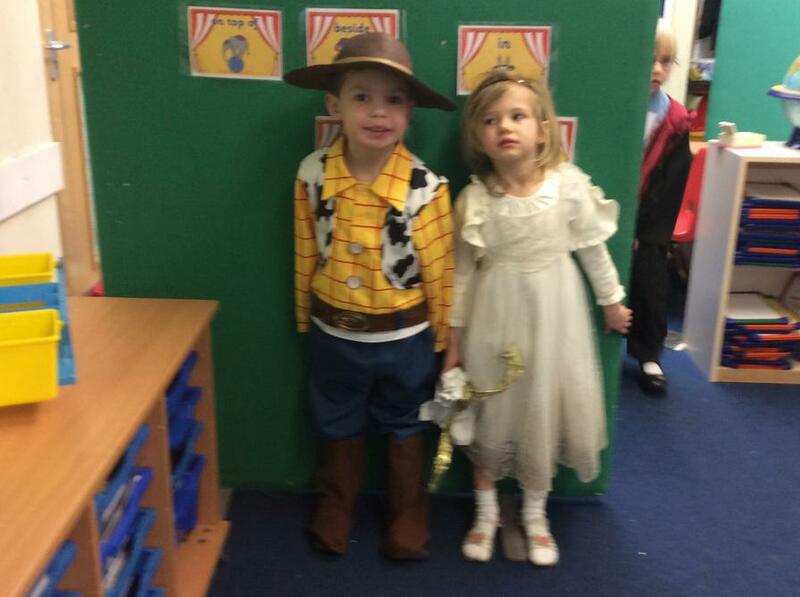 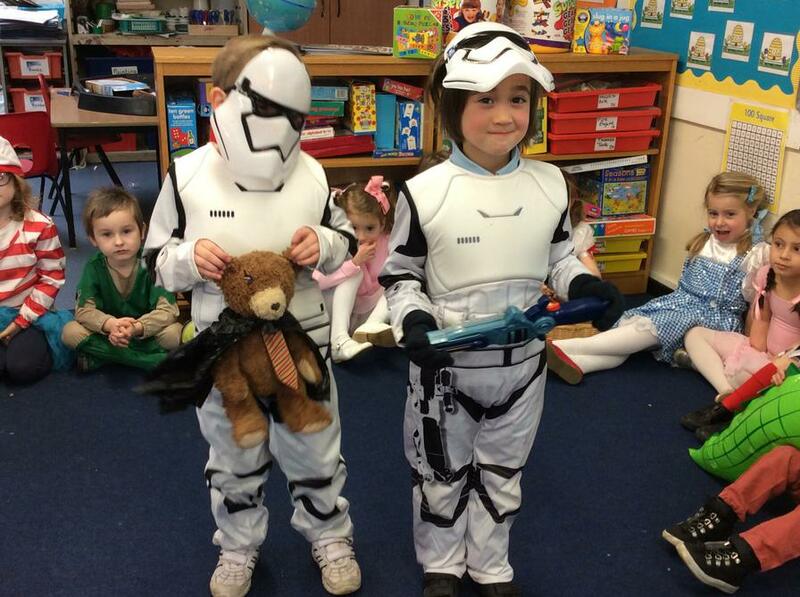 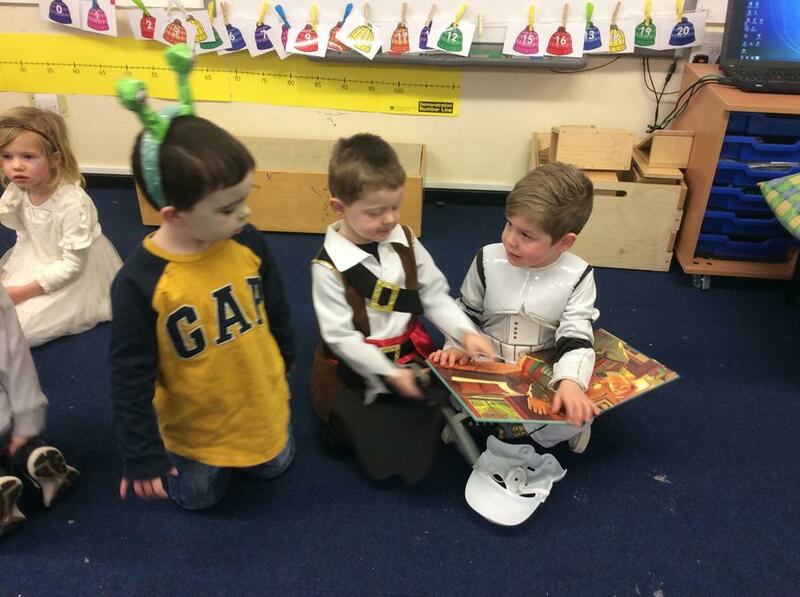 To celebrate World Book Day the children dressed as their favourite character and brought in a book to share with the class. 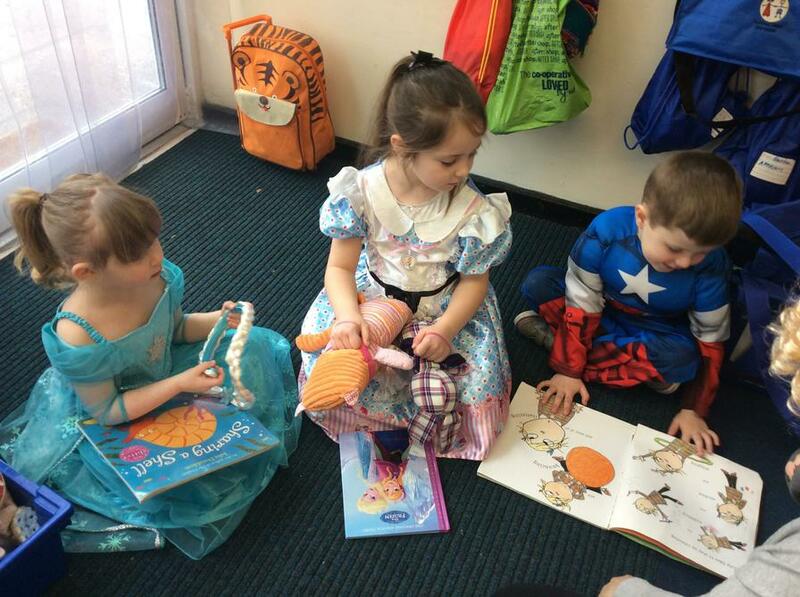 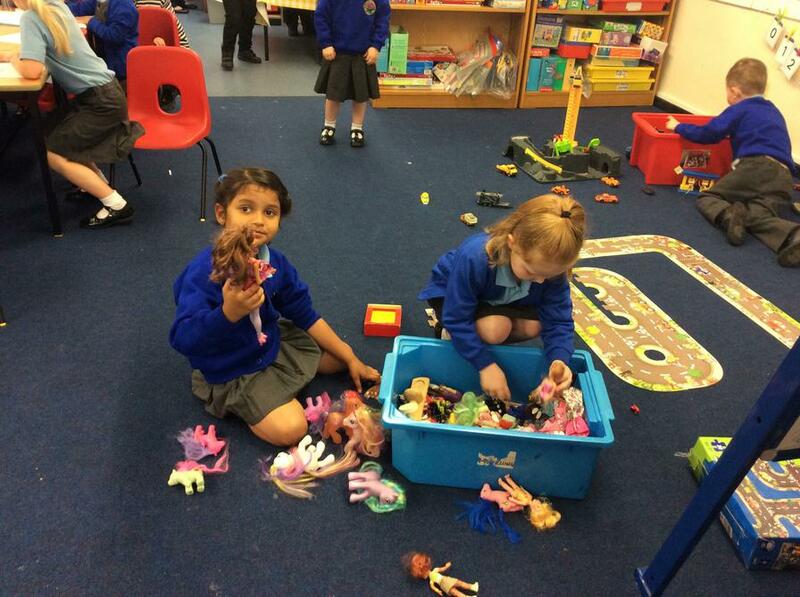 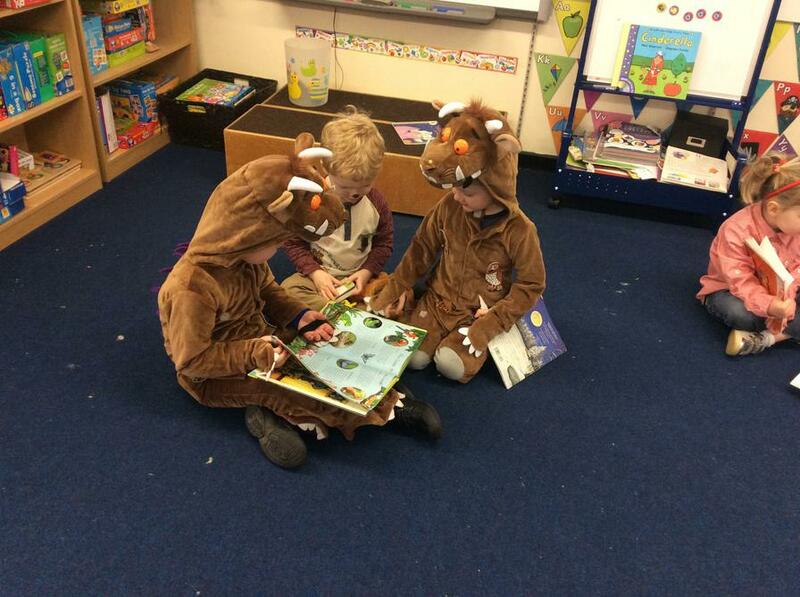 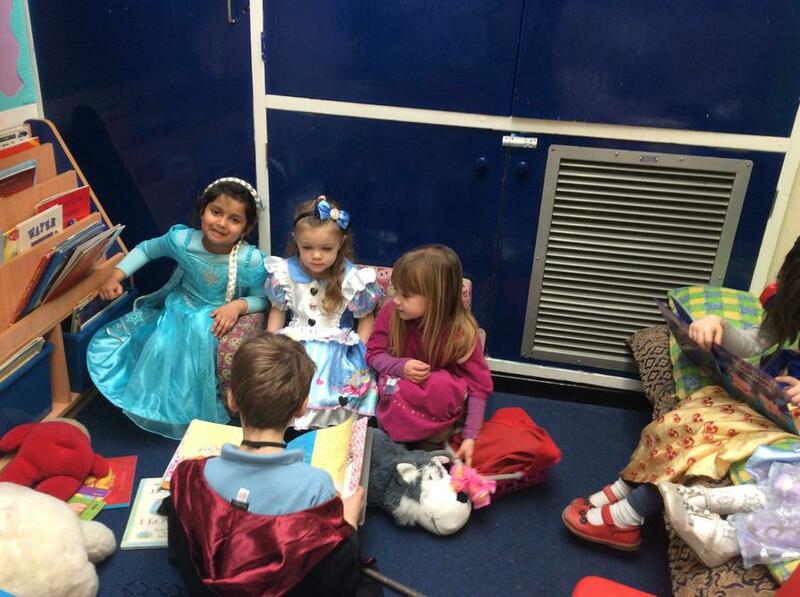 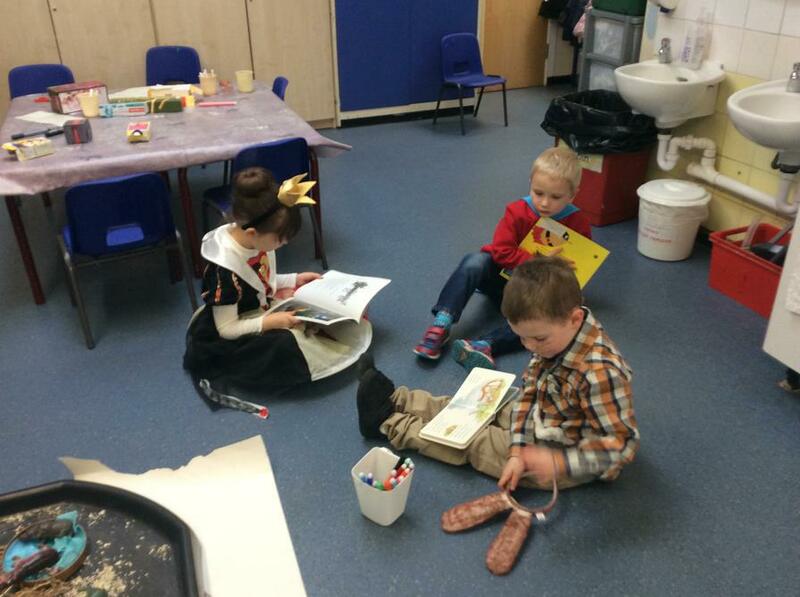 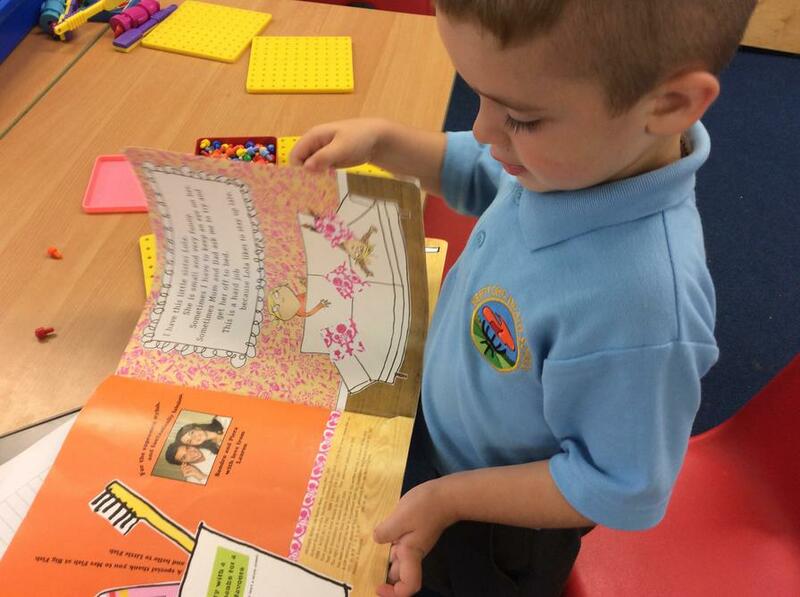 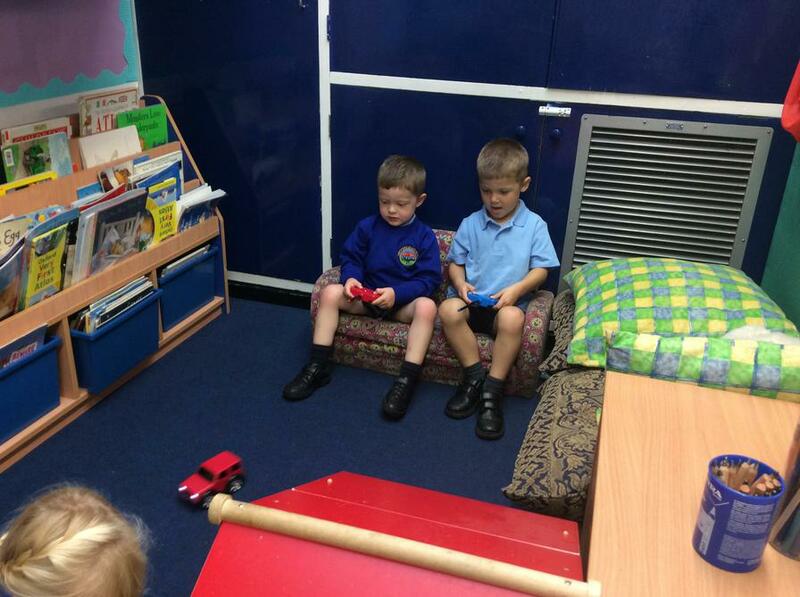 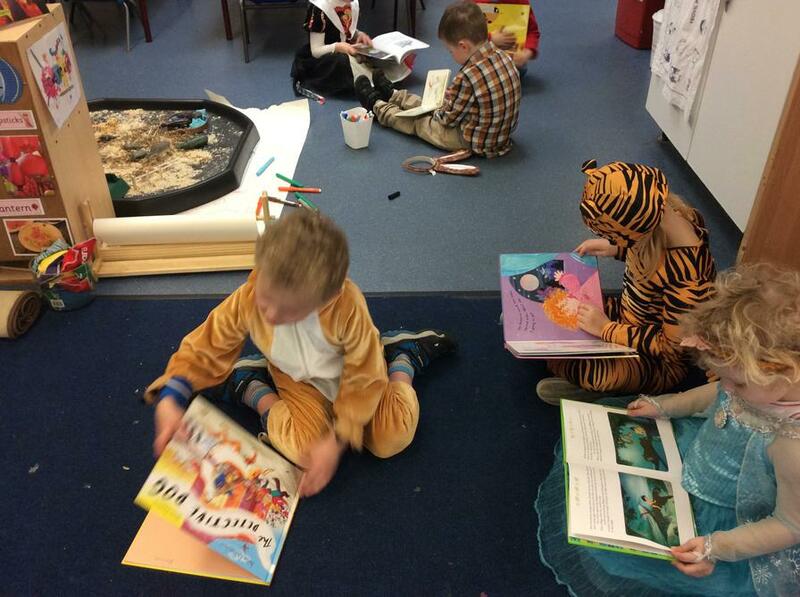 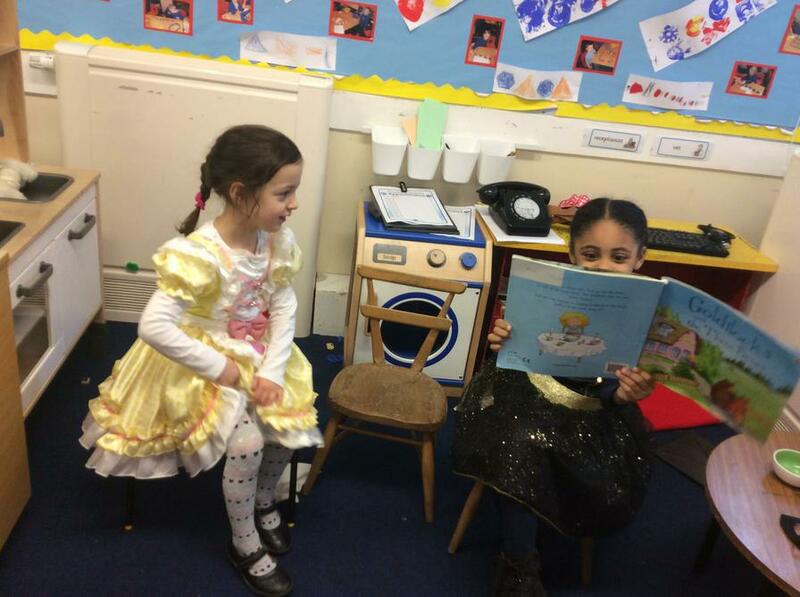 The Reception children helped the Nursery children to read their books and tell stories. 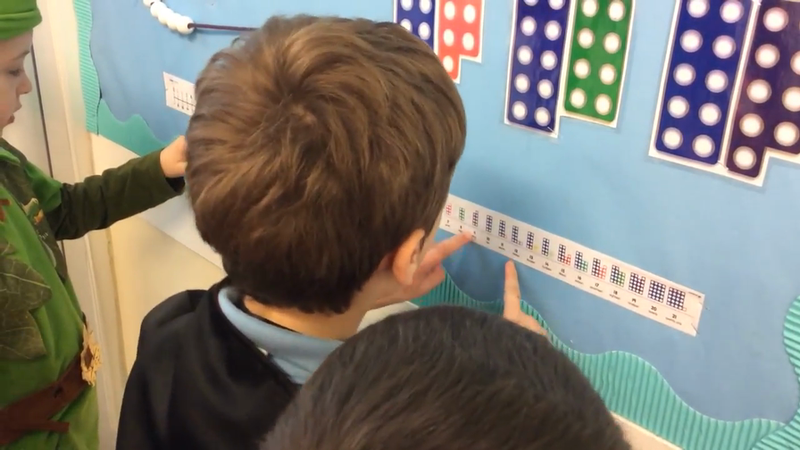 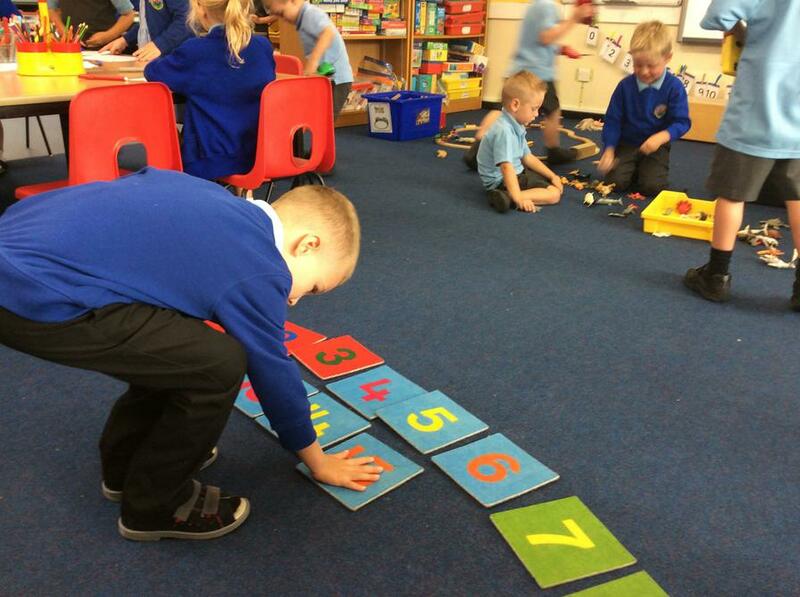 We have been learning about 'ways to make 5' and 'teen numbers'. 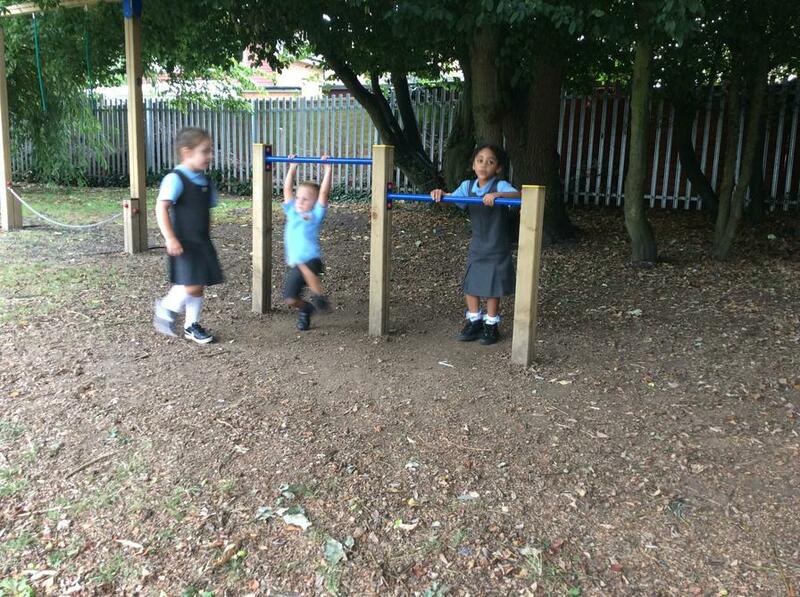 The children are enjoying the new number display. 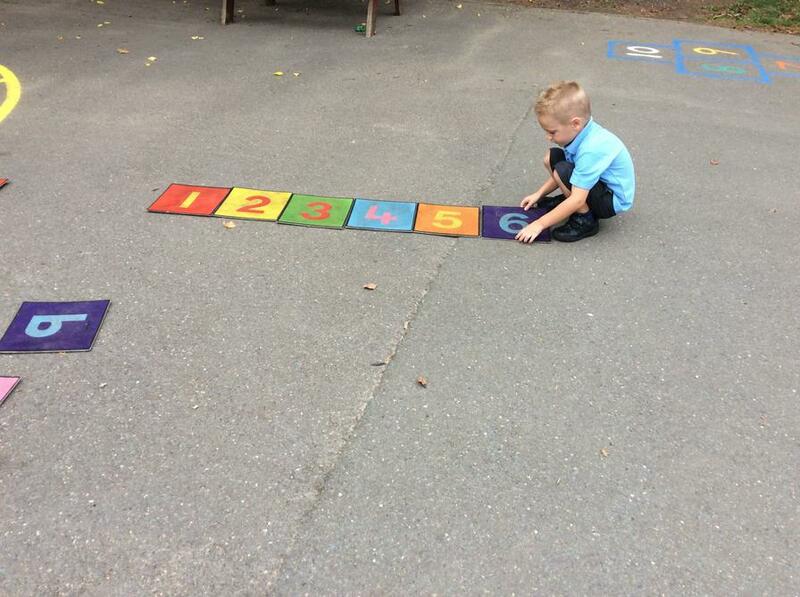 And will be writing the number sentences to add to it. 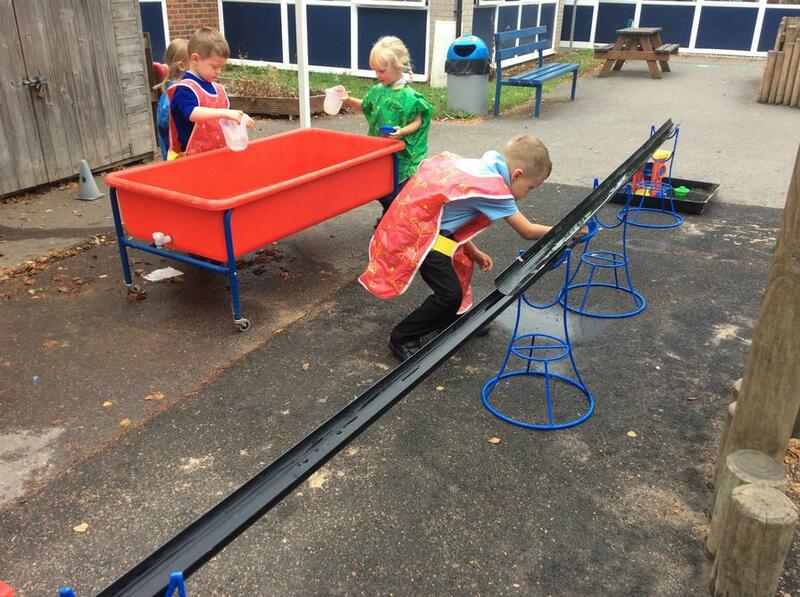 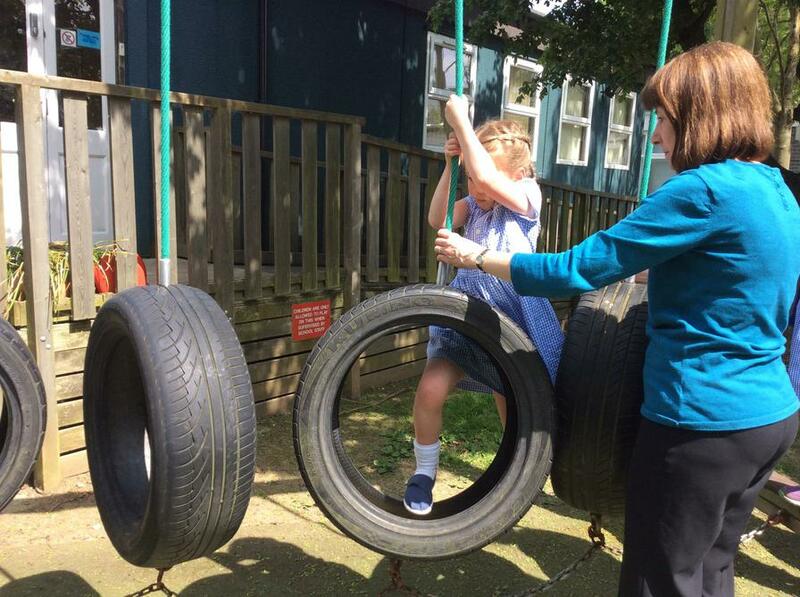 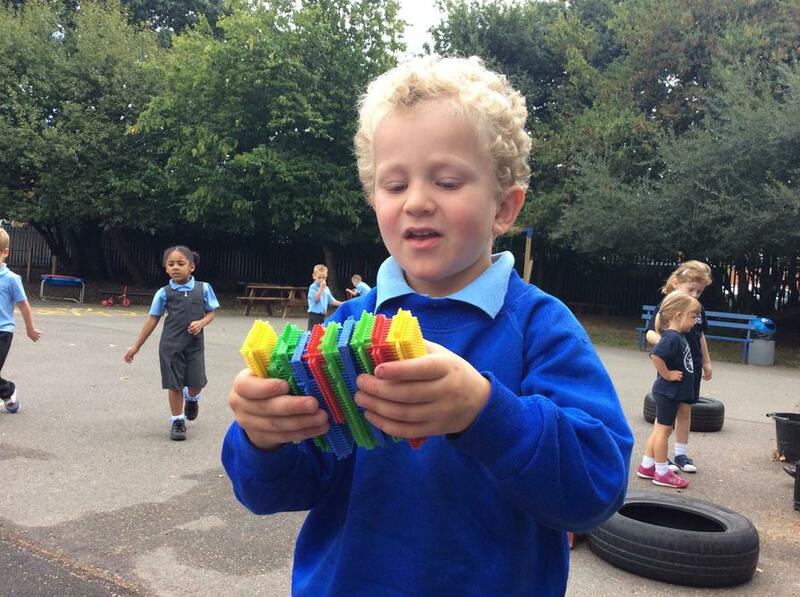 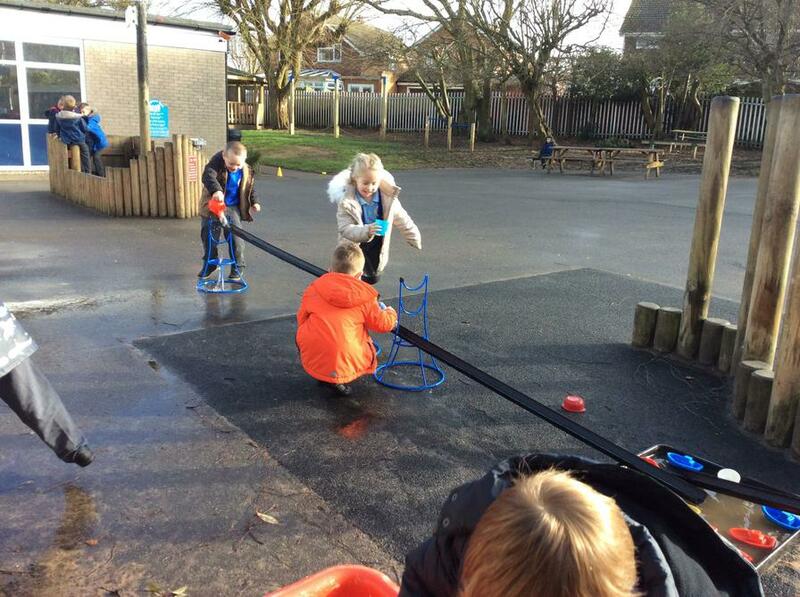 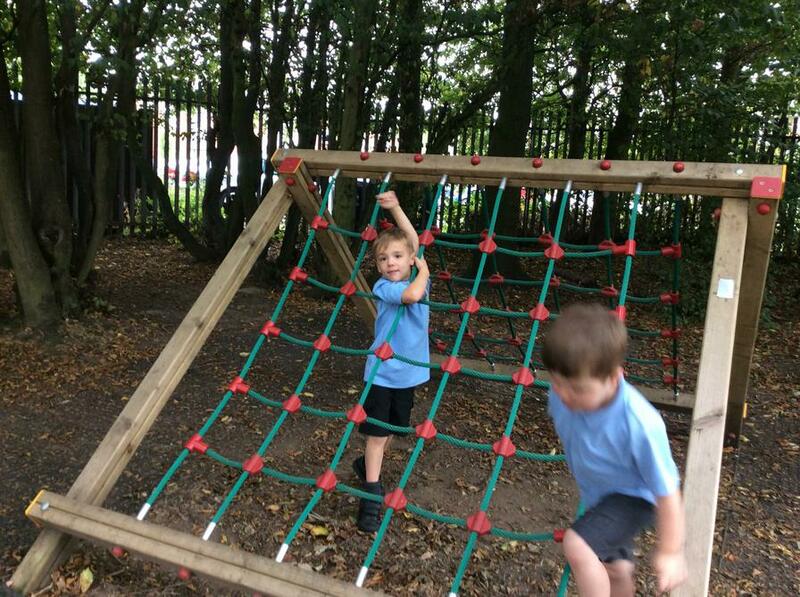 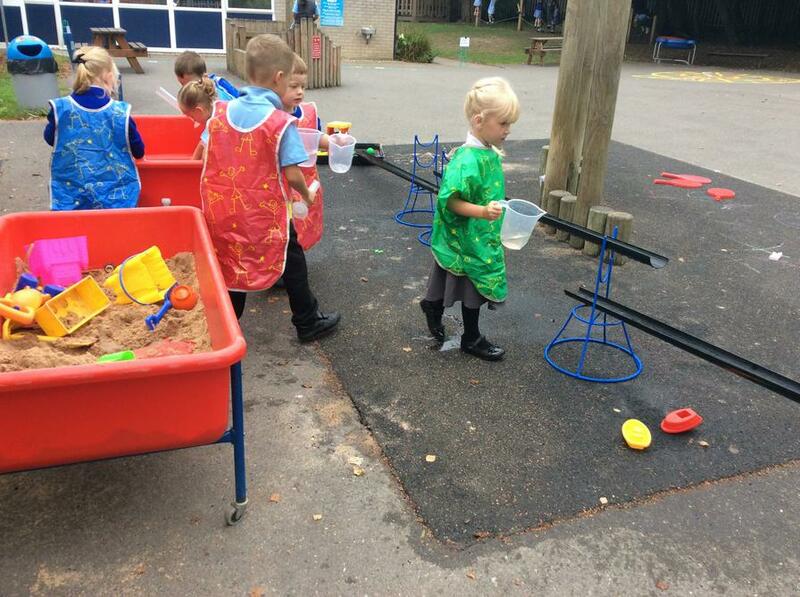 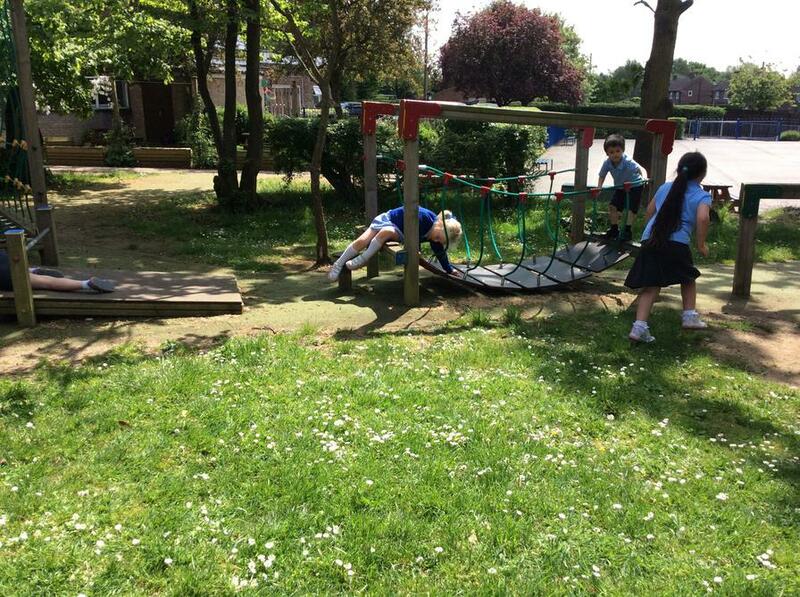 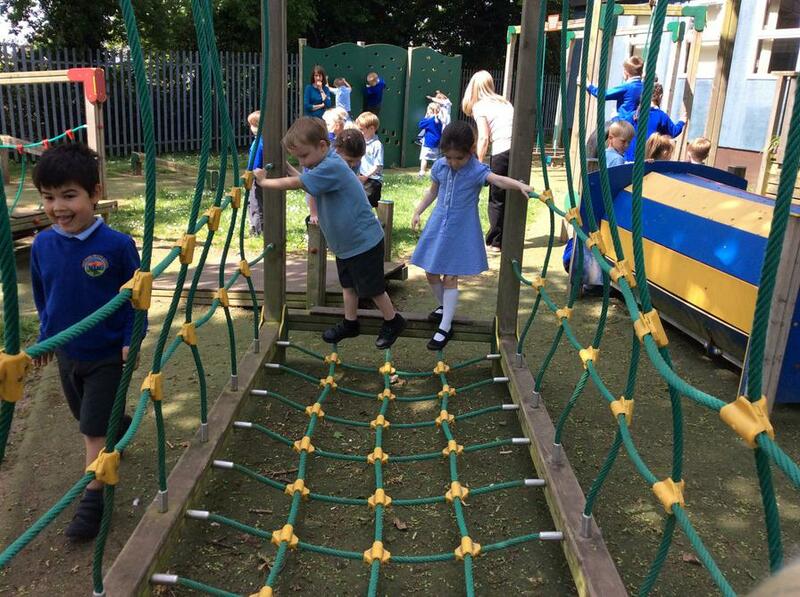 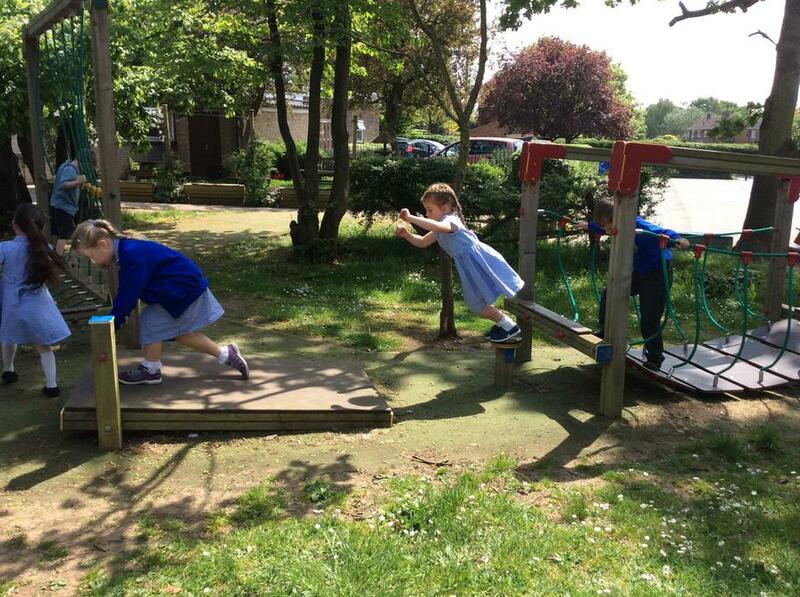 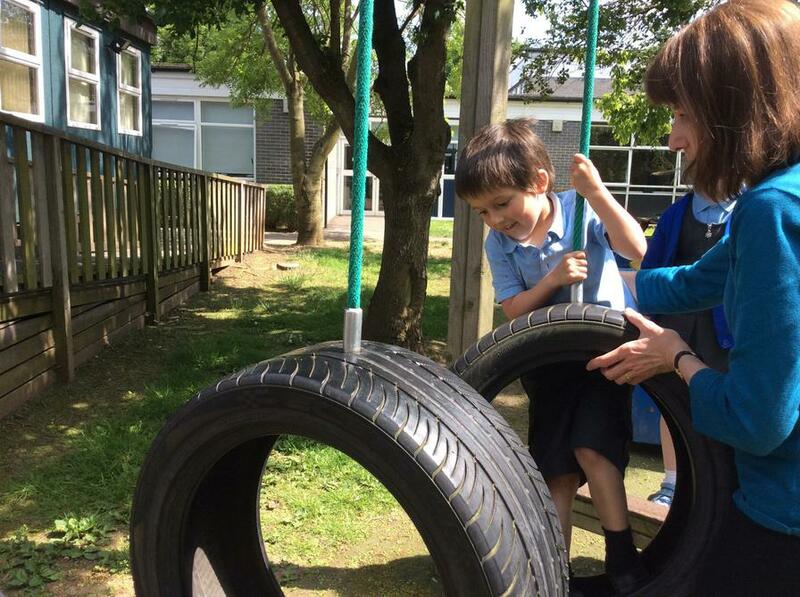 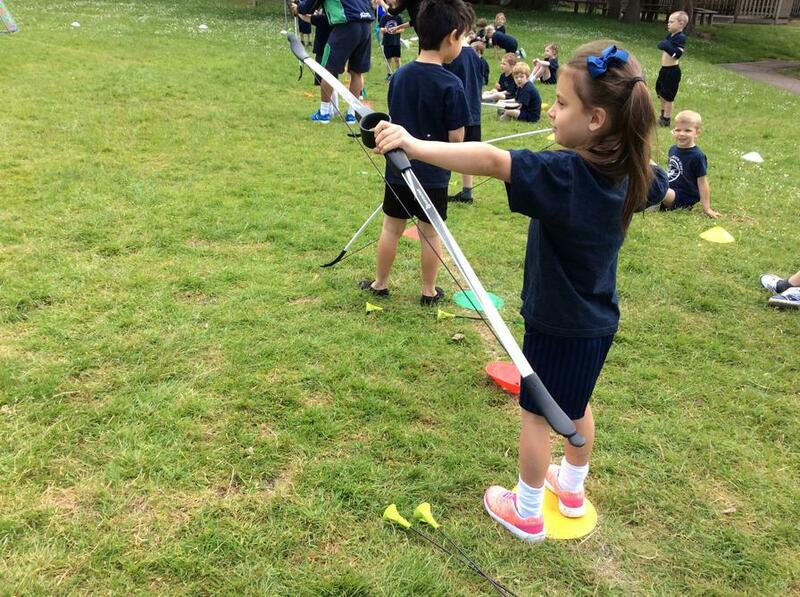 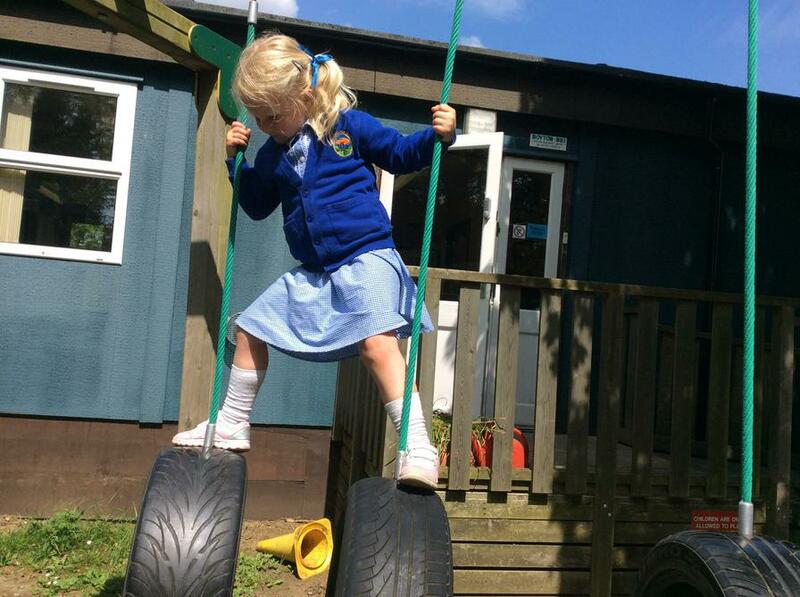 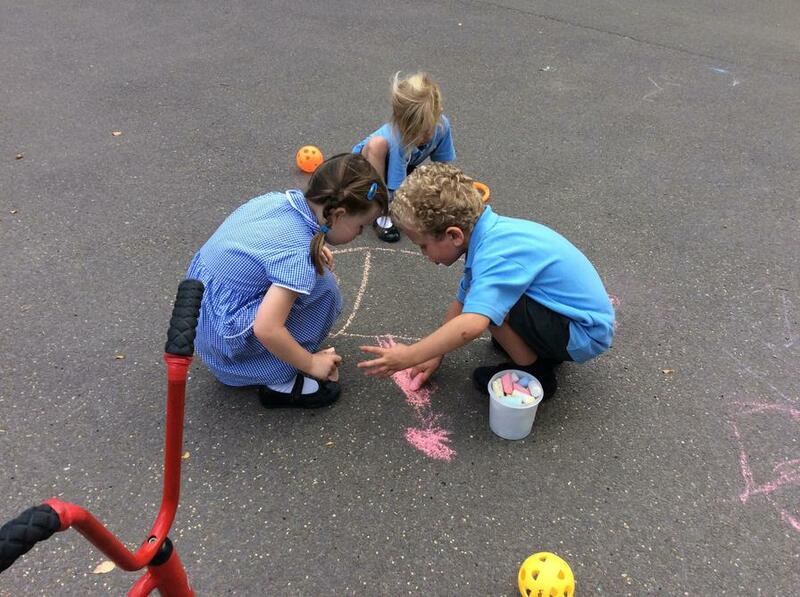 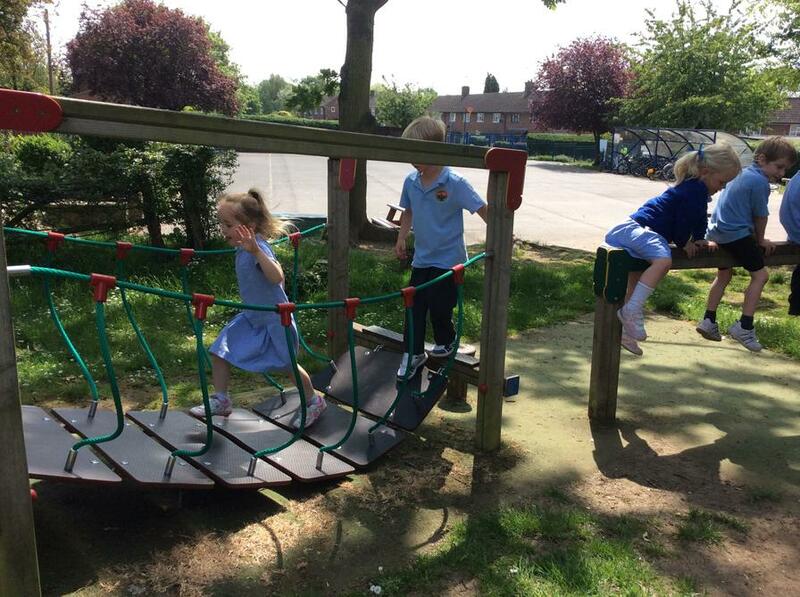 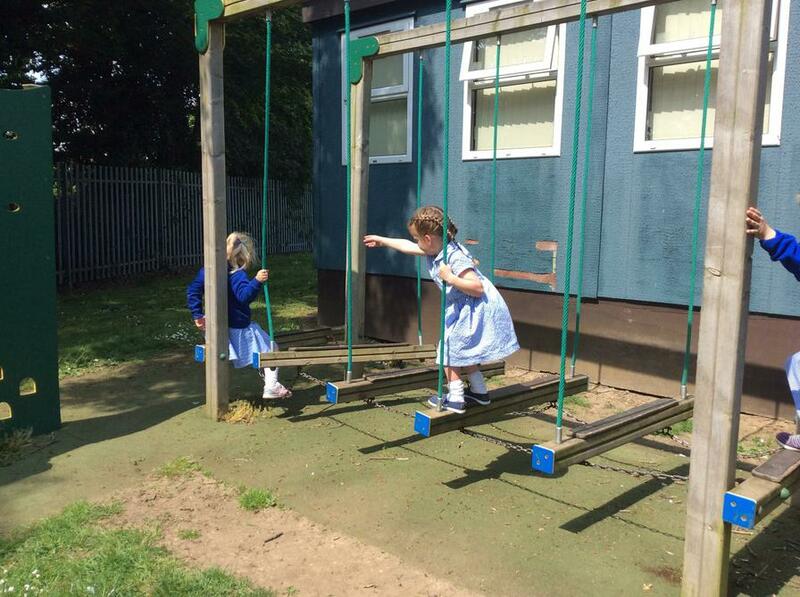 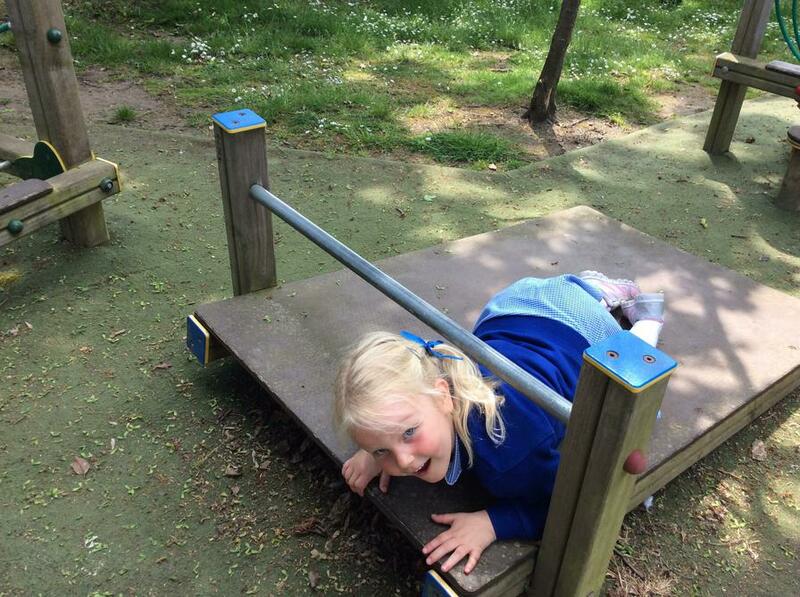 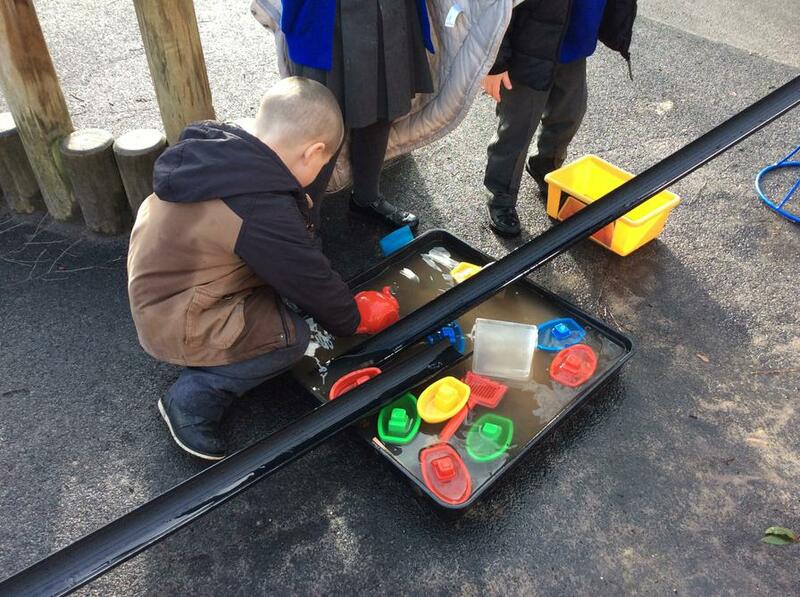 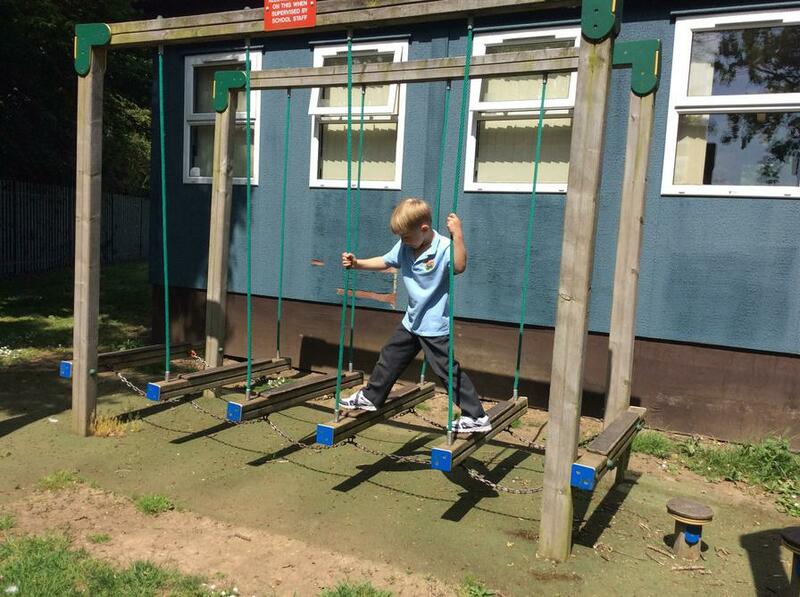 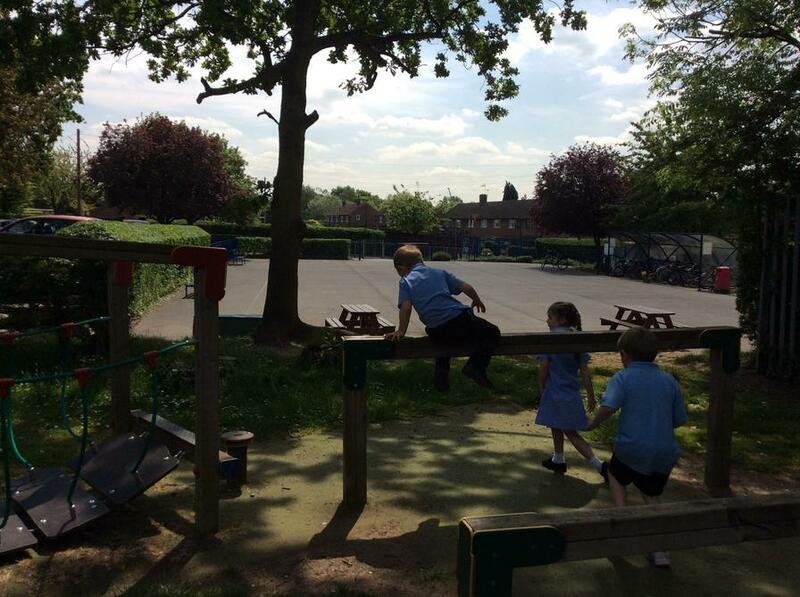 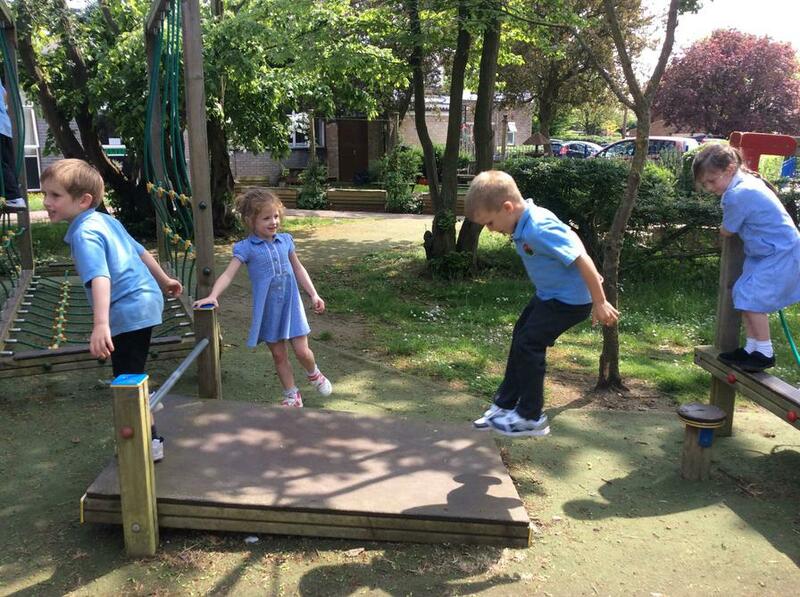 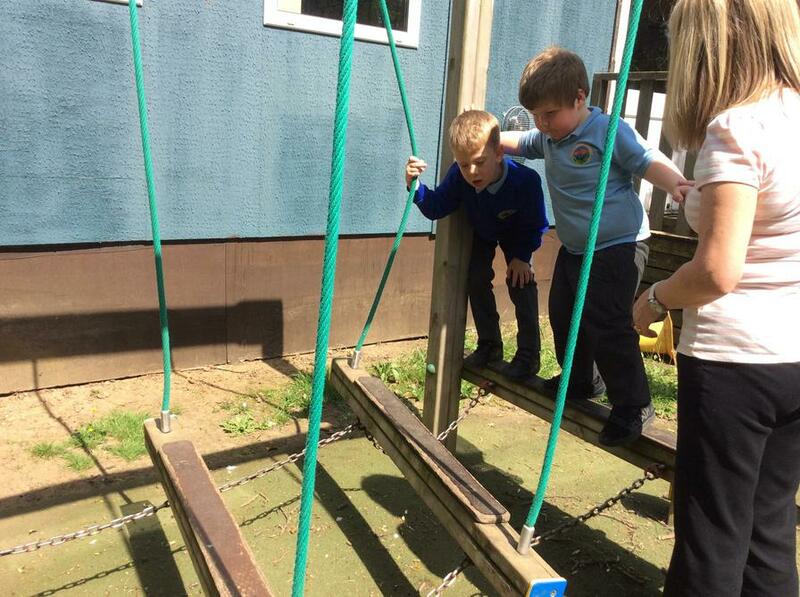 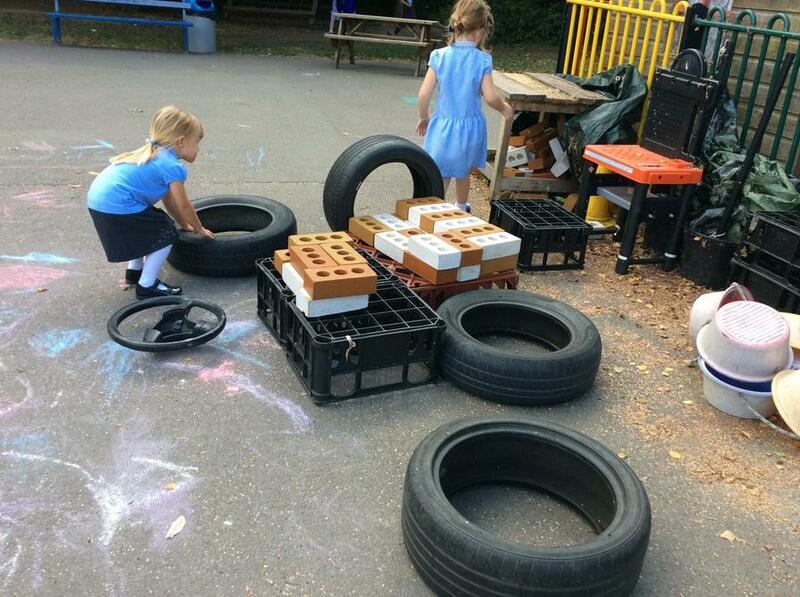 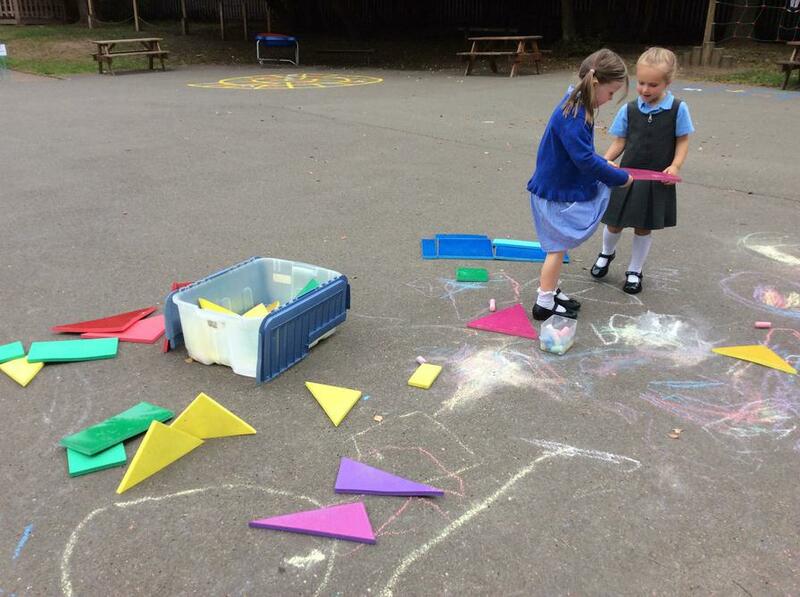 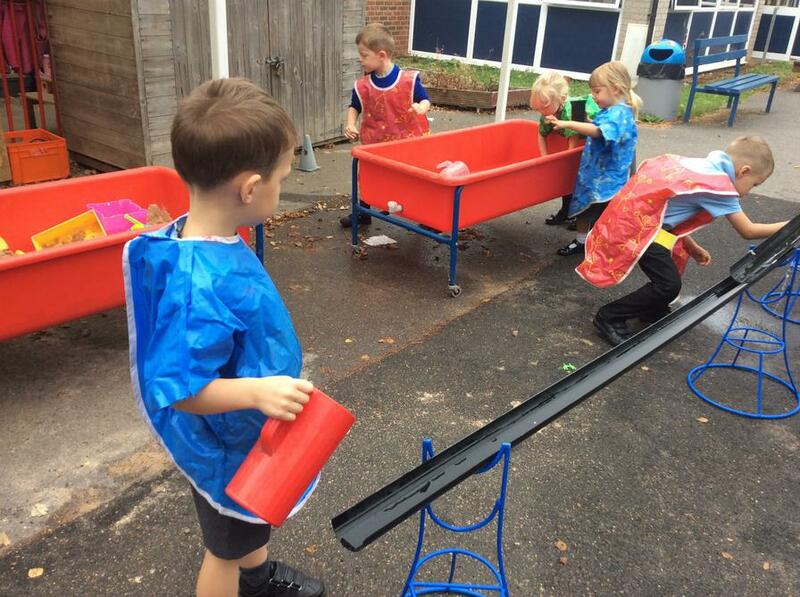 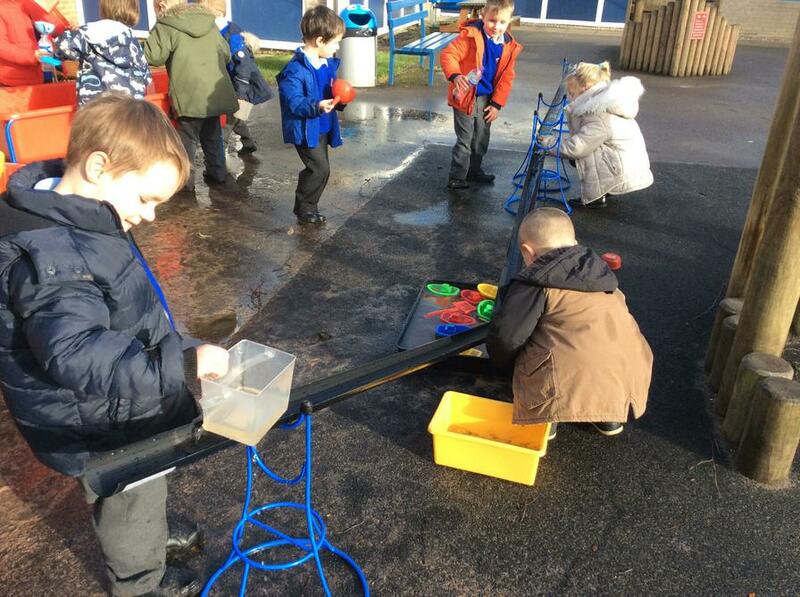 Learning through play in the outdoors! 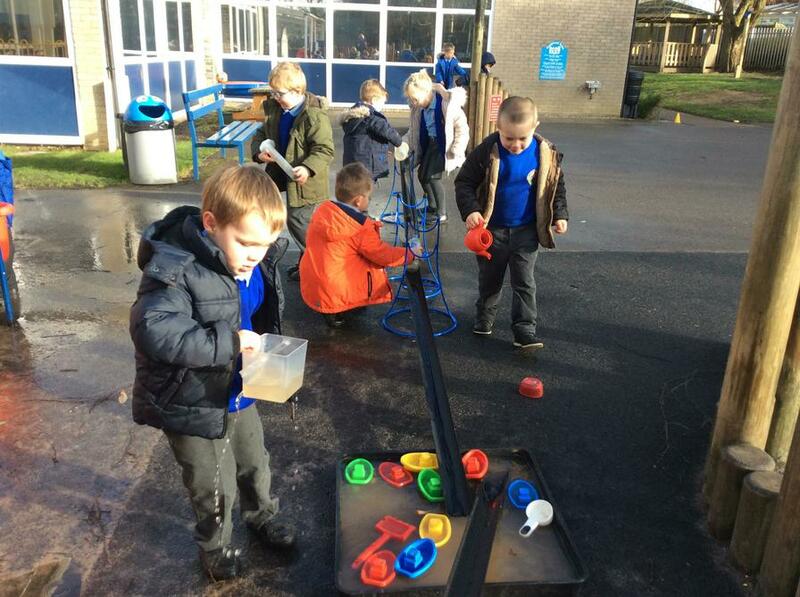 Making predictions and testing our ideas. 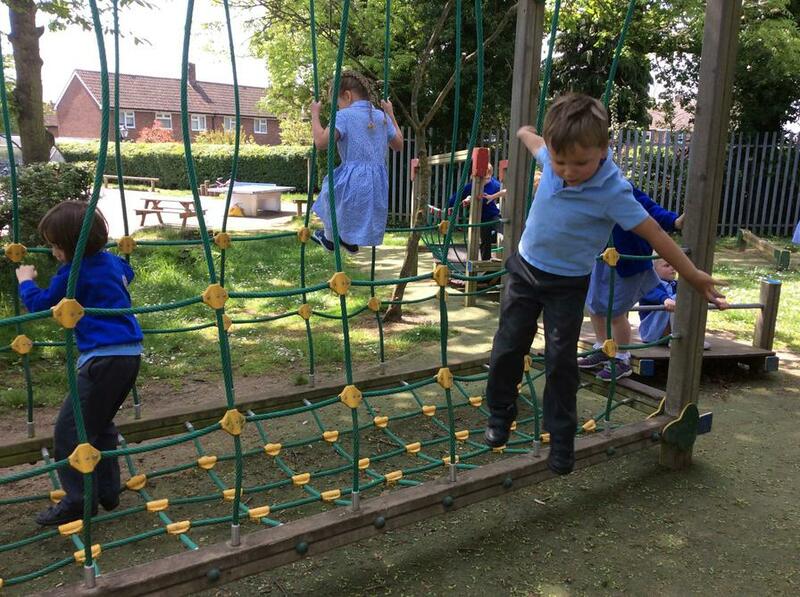 We love our outdoor climbing equipment. 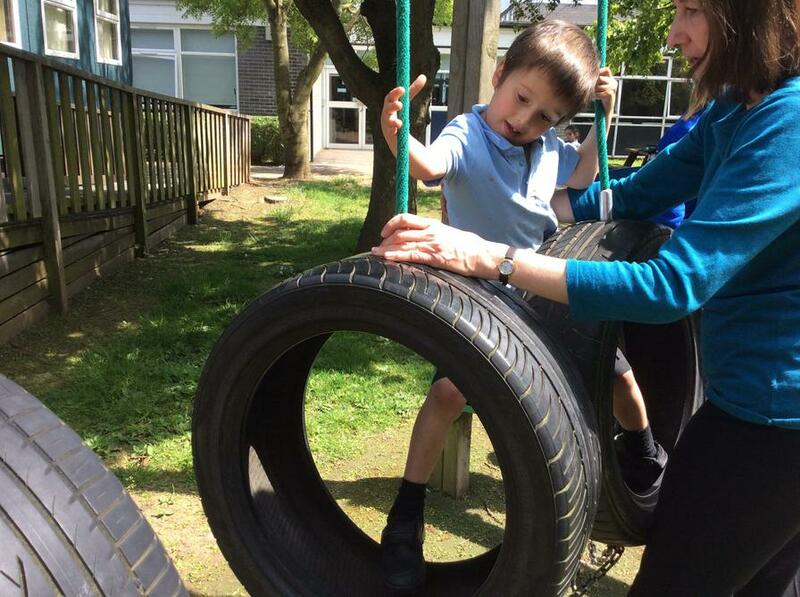 Exercise makes us happy, healthy children! 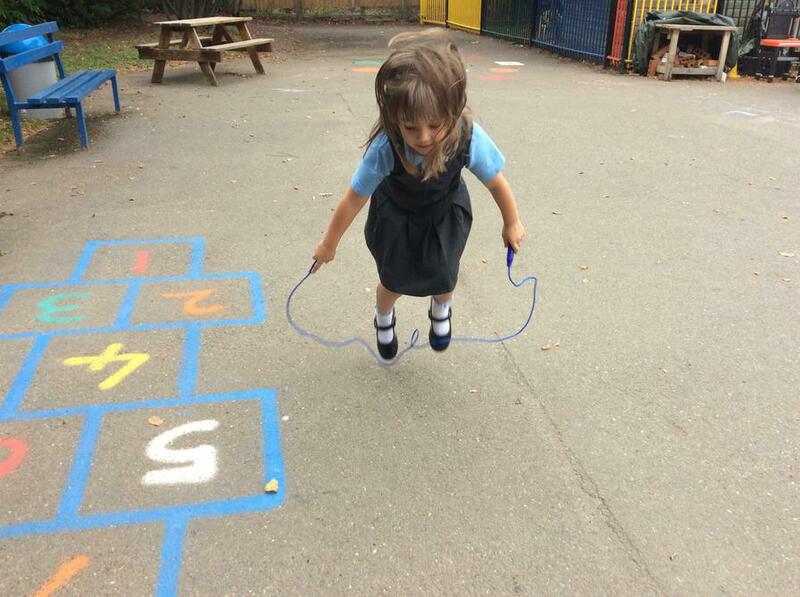 Run, run as fast as you can! 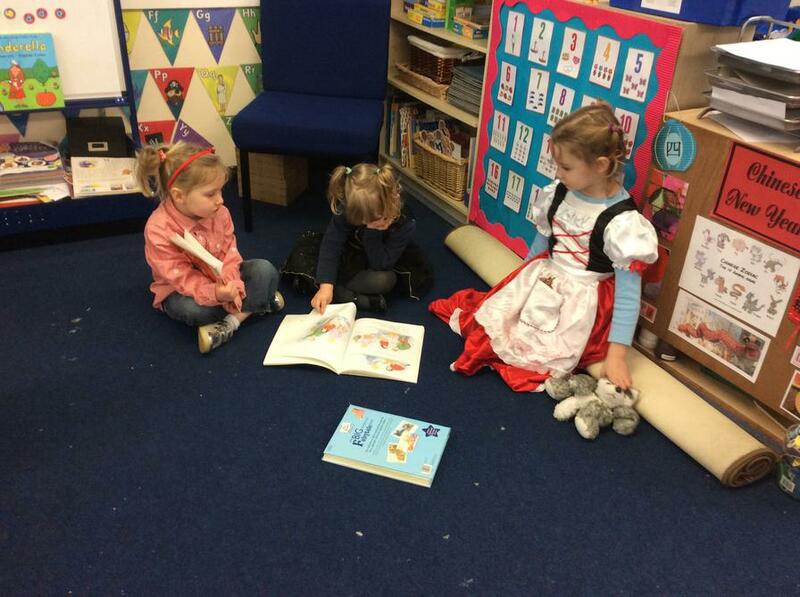 We have been reading the story of The Gingerbread Man. 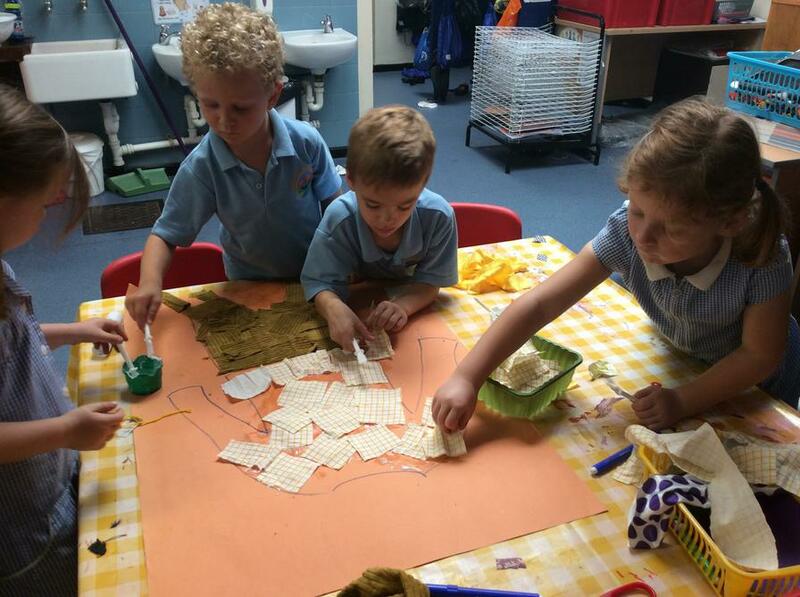 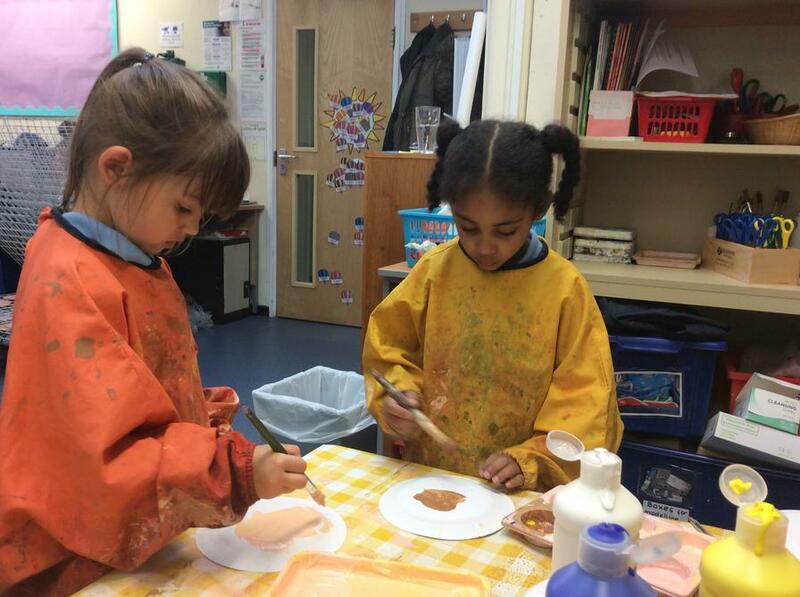 We had lots of fun making our own Gingerbread men. 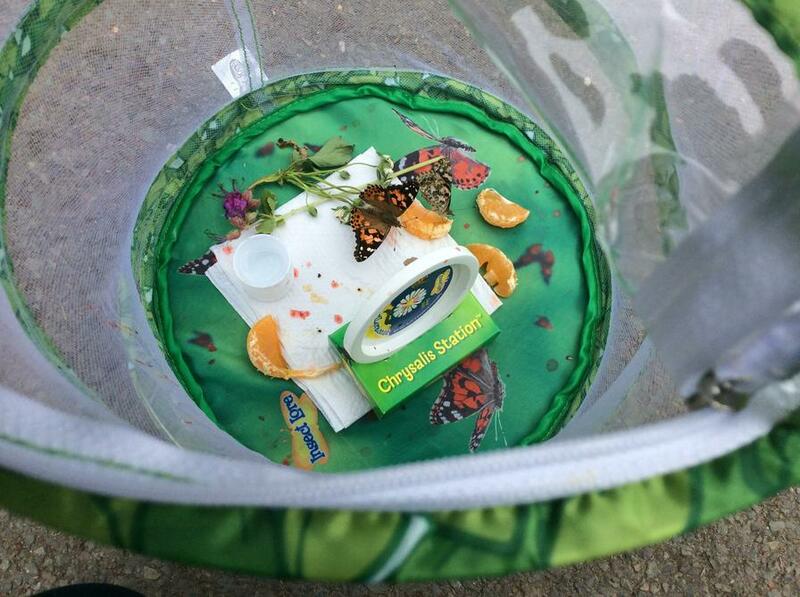 Ours did not run away! 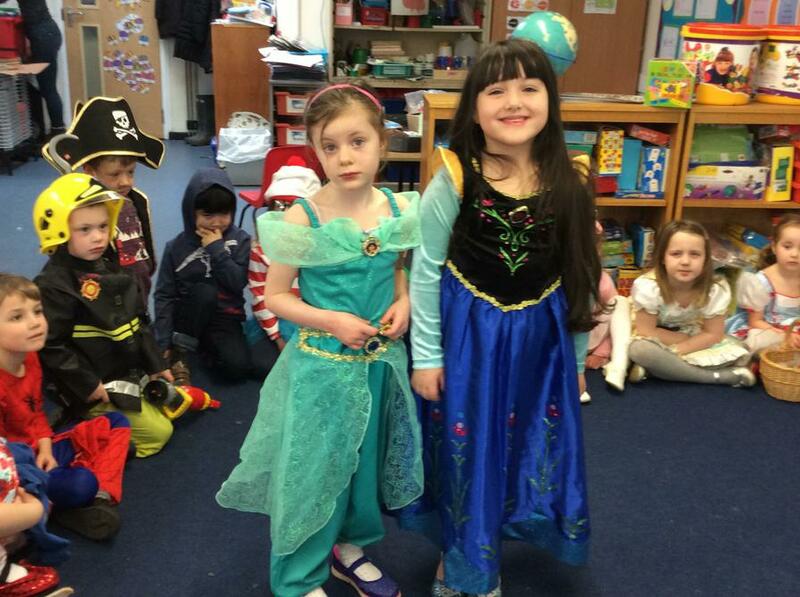 We had lots of fun at our surprise 'after show' Christmas party! 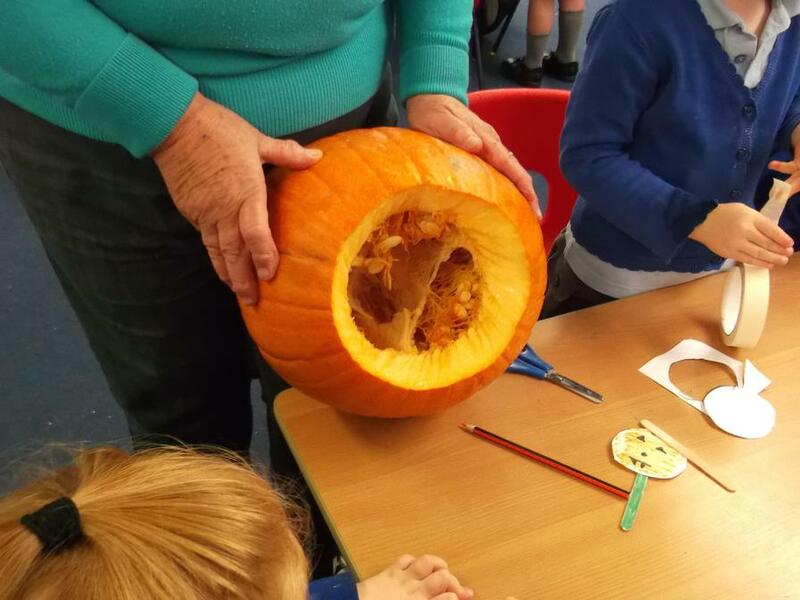 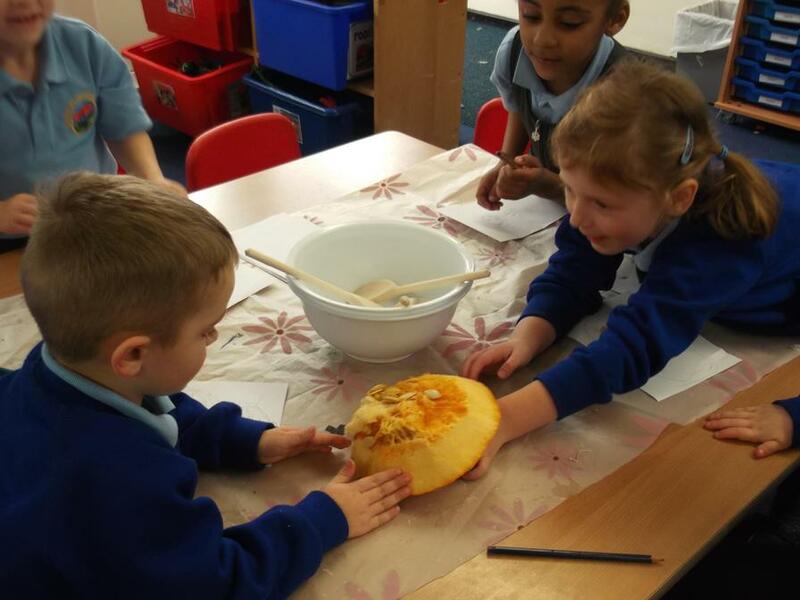 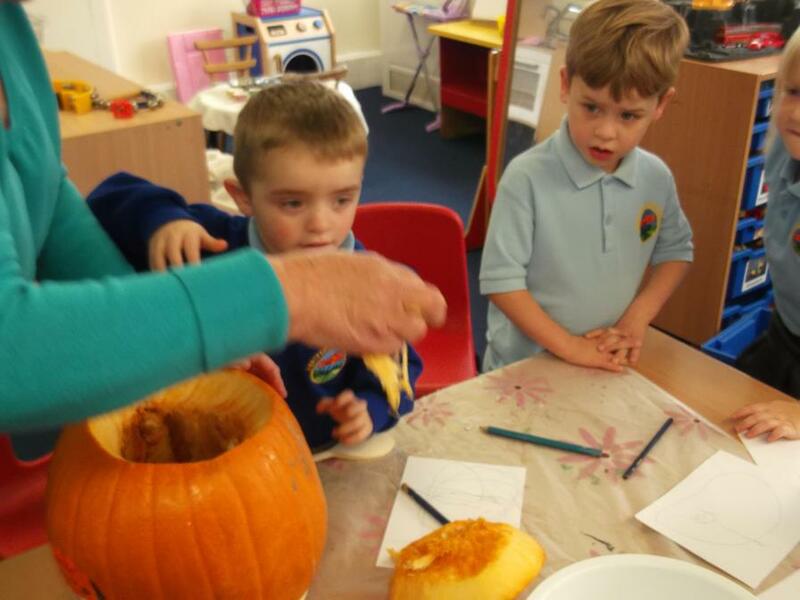 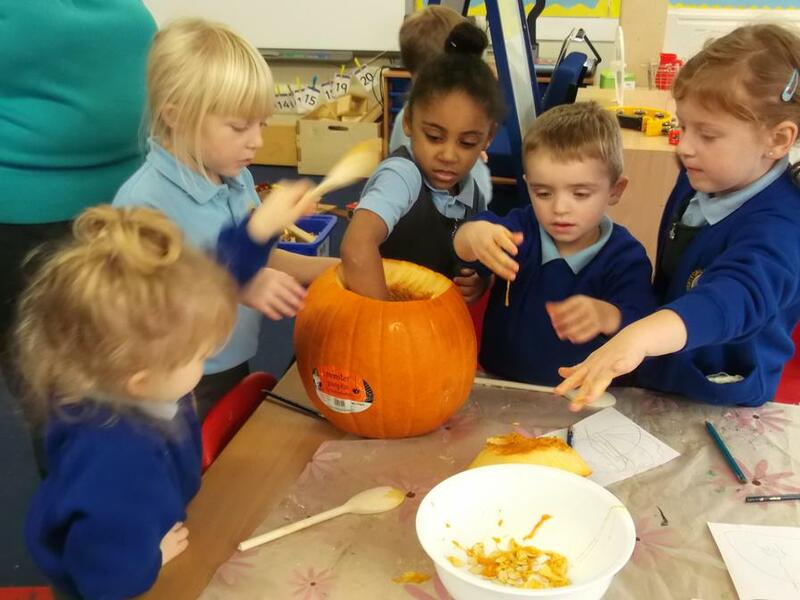 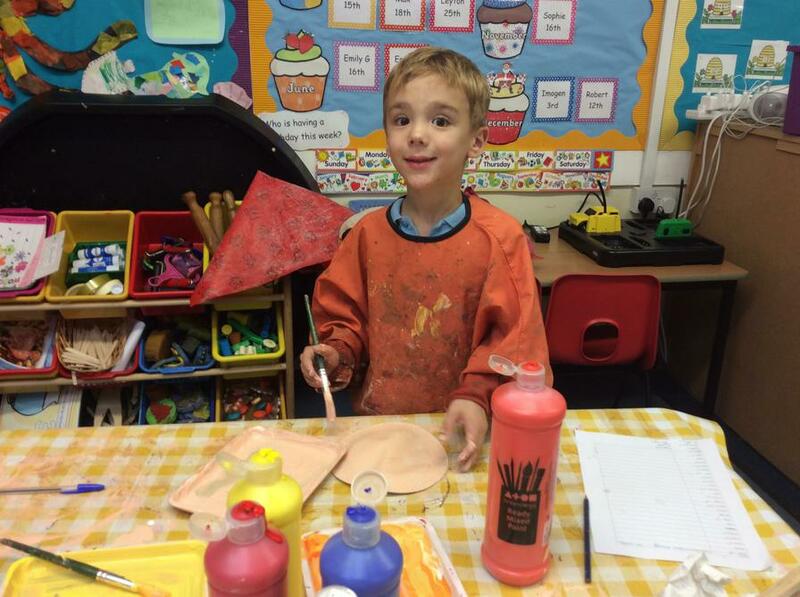 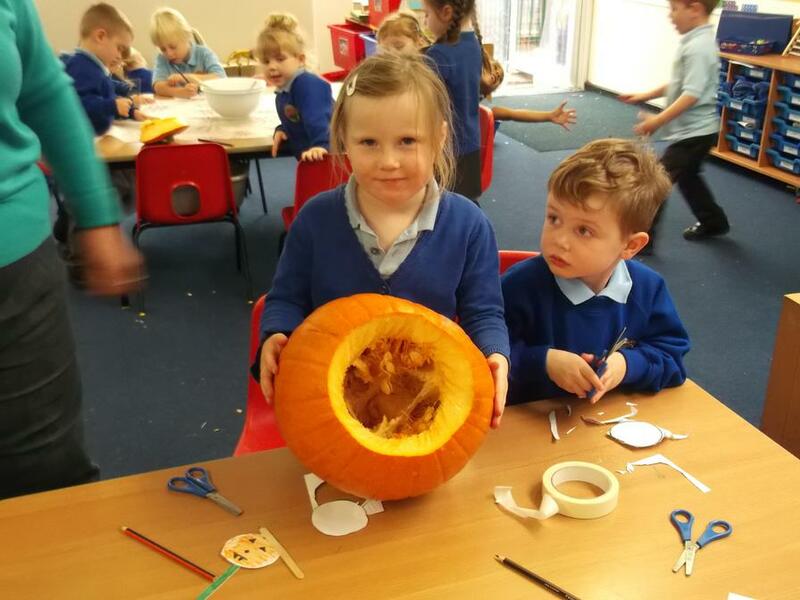 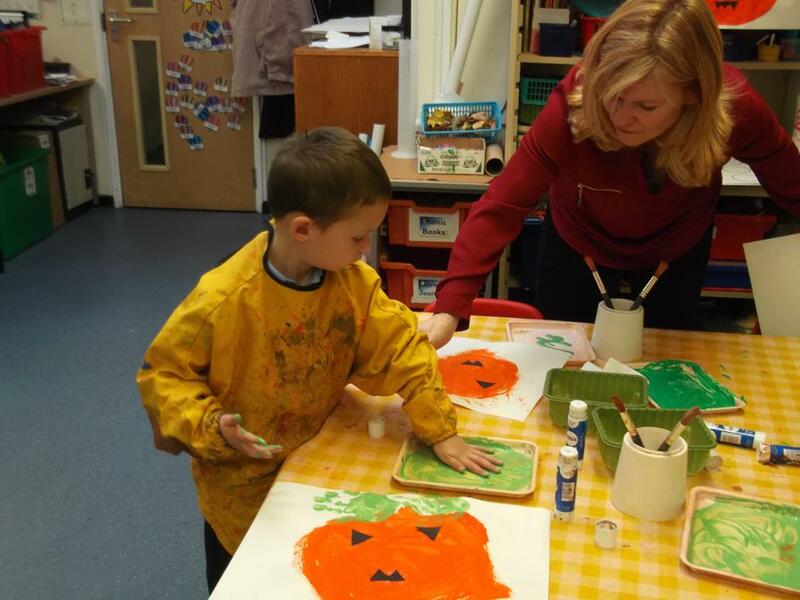 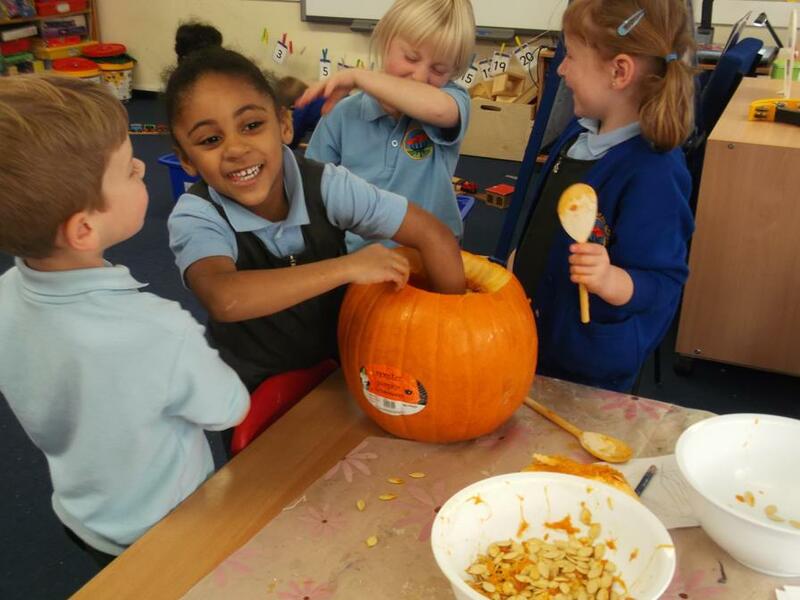 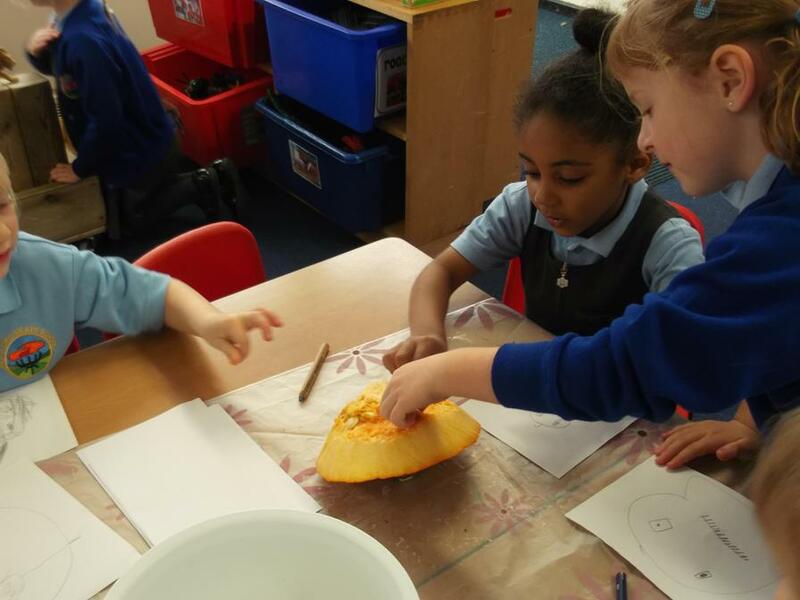 We had lots of fun carving our pumpkin! 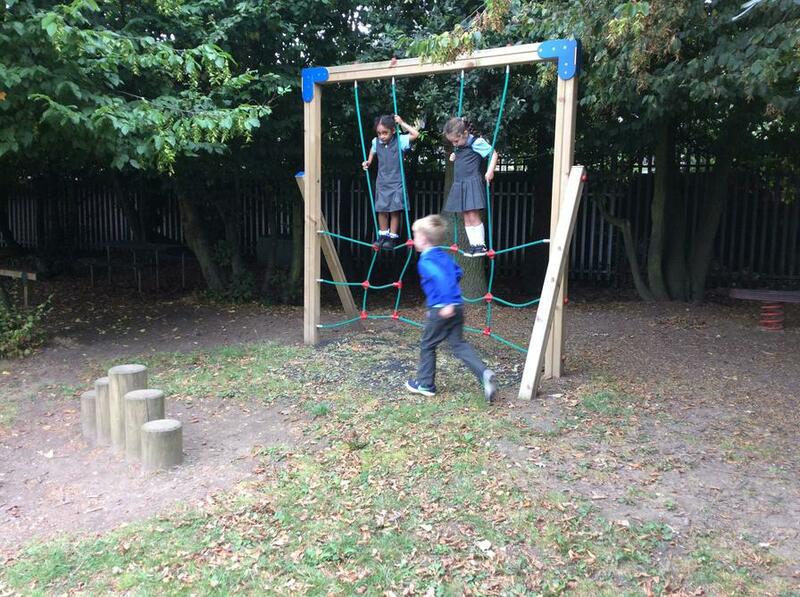 The Reception and Nursery classes went for an Autumn walk in the woods. 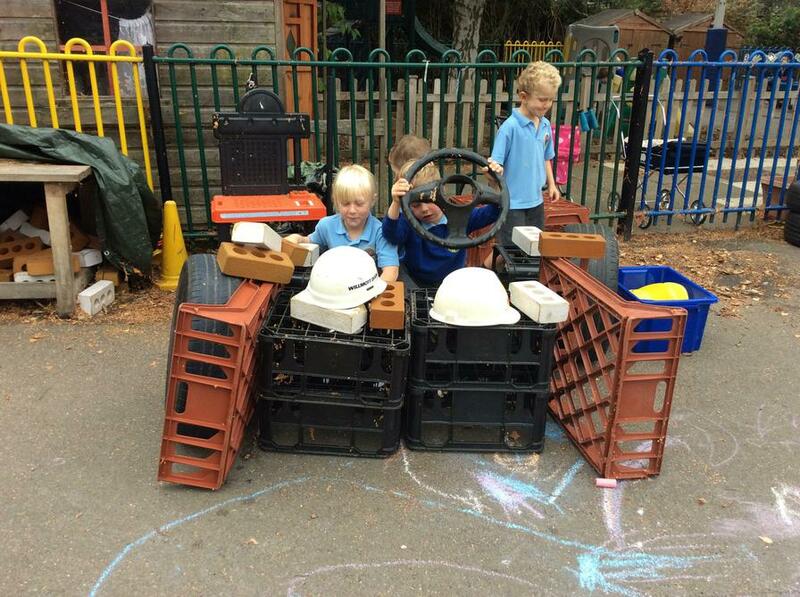 We took mums and dads and nans and grandads too! 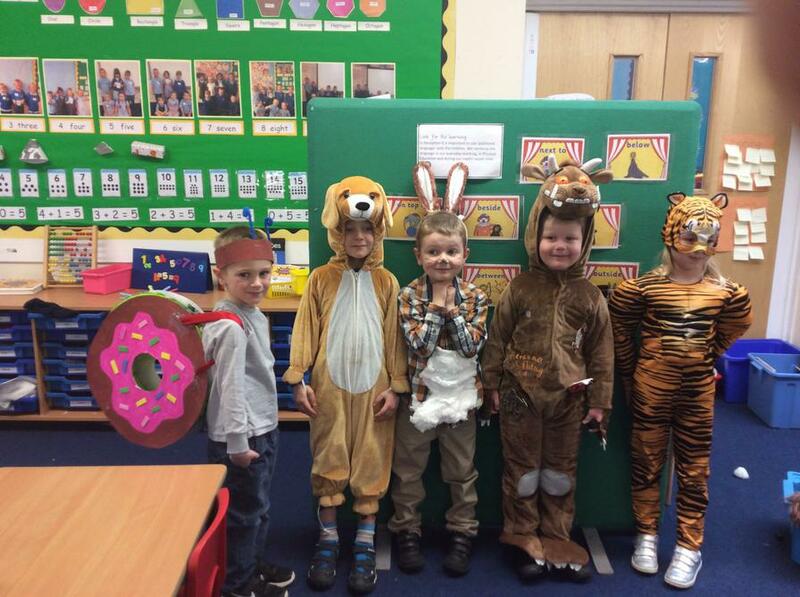 We had a visit from the 'Animal Workshops Mobile Zoo'. 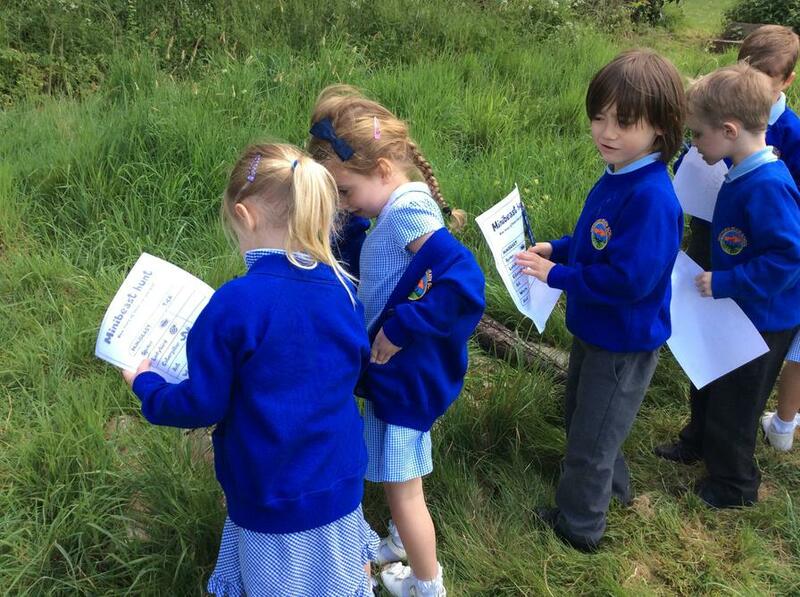 We saw lots of different types of animals, reptiles and insects. 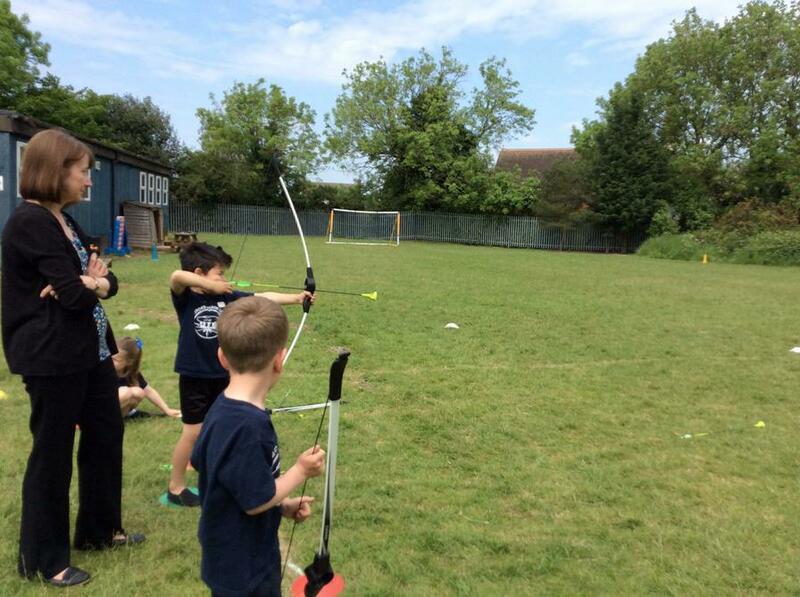 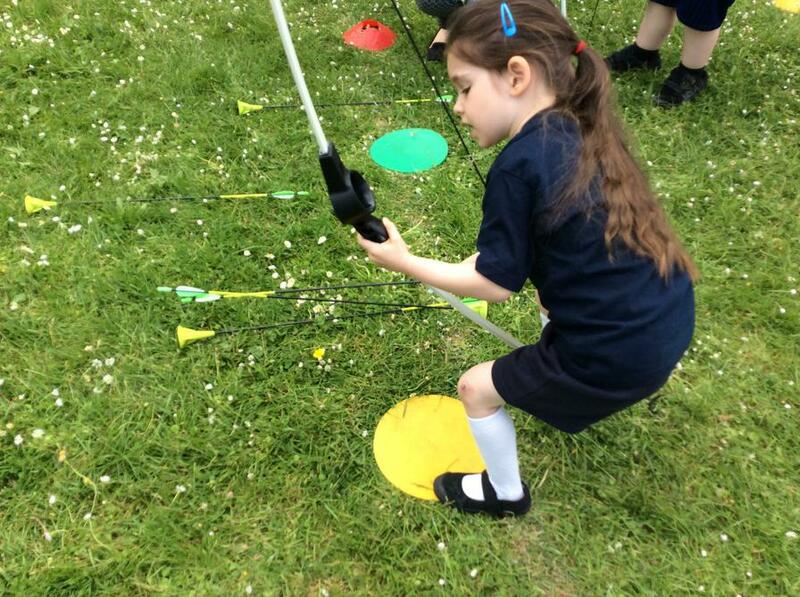 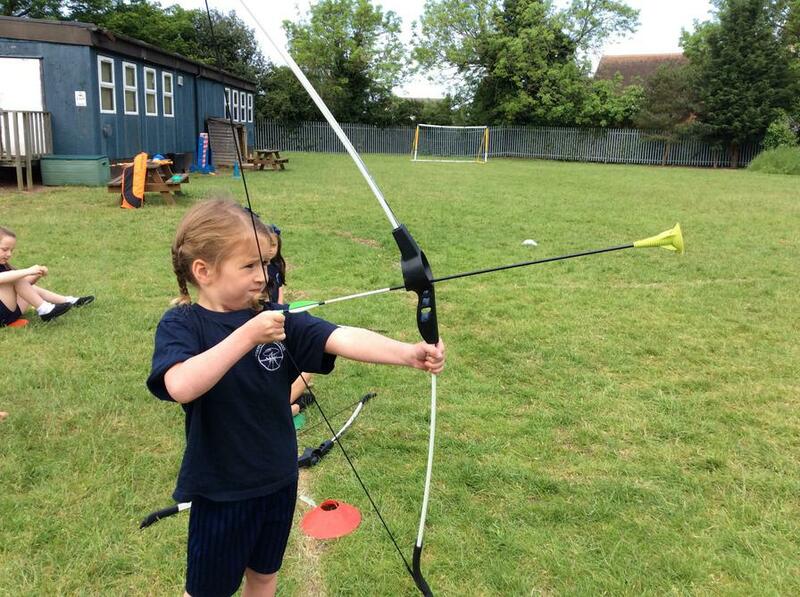 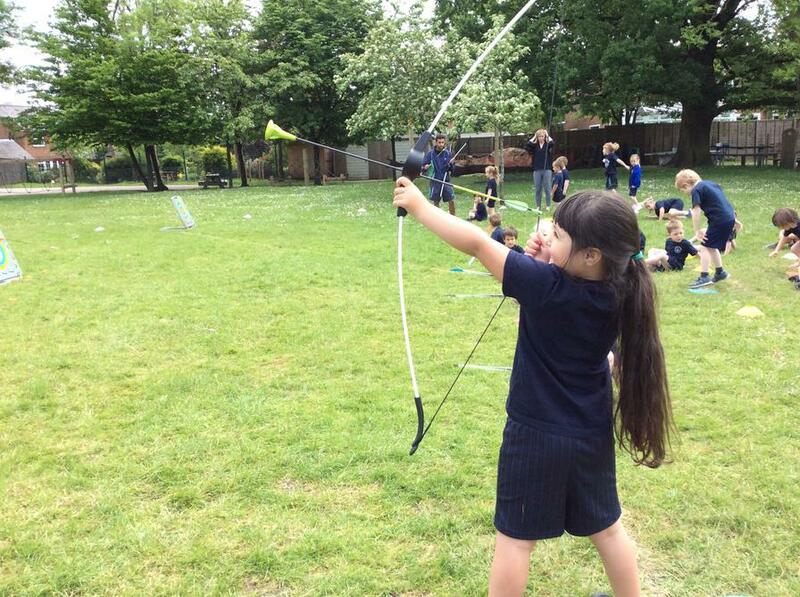 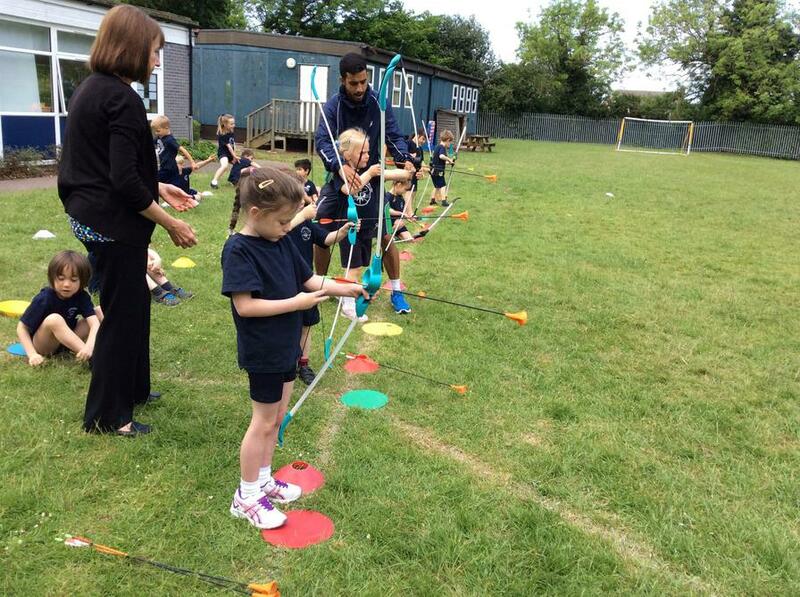 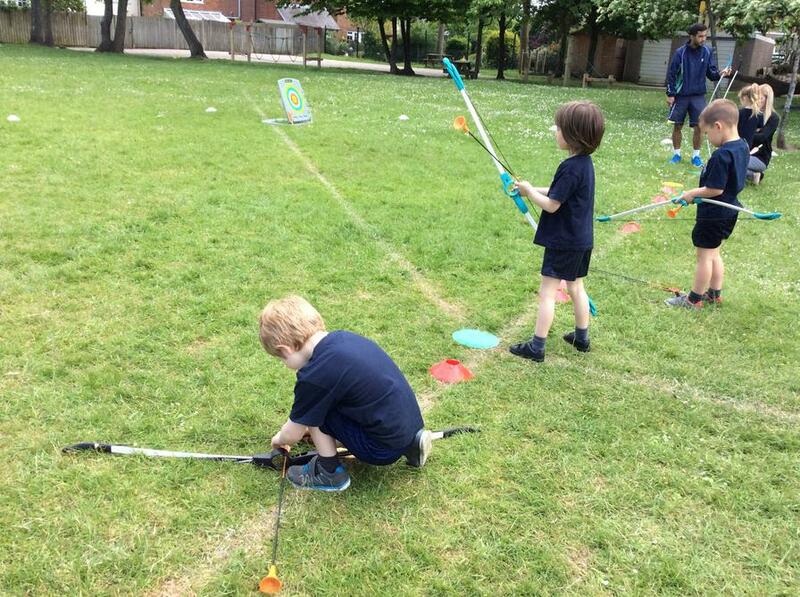 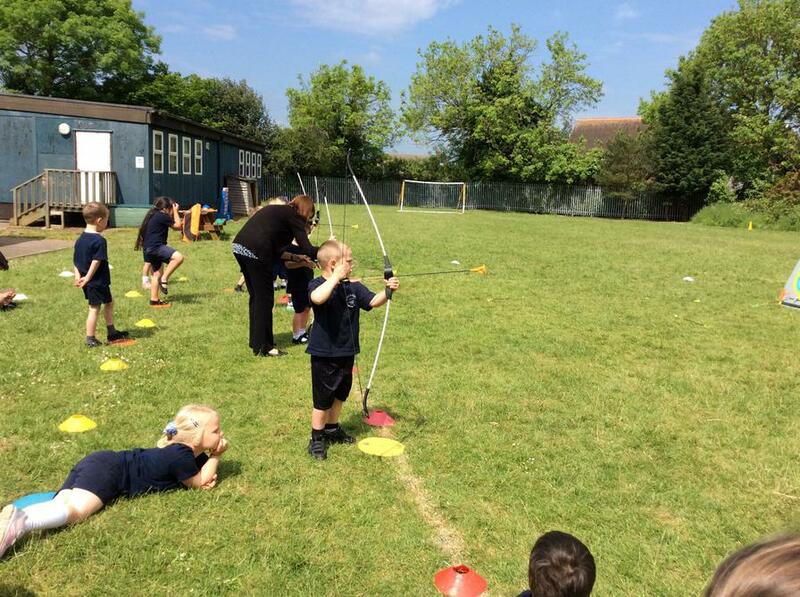 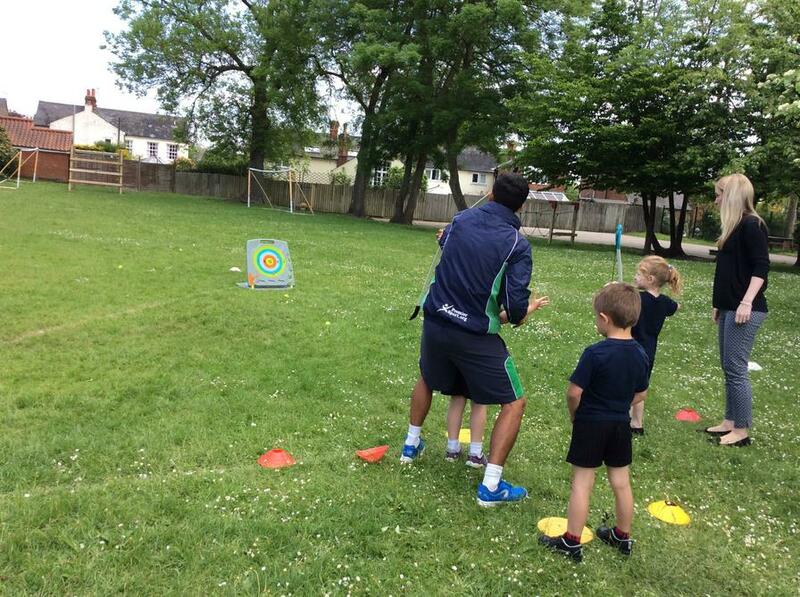 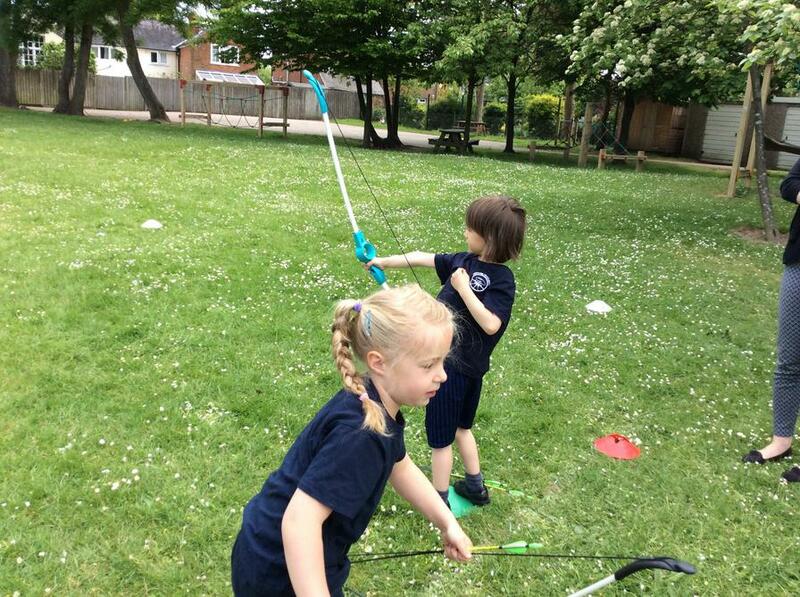 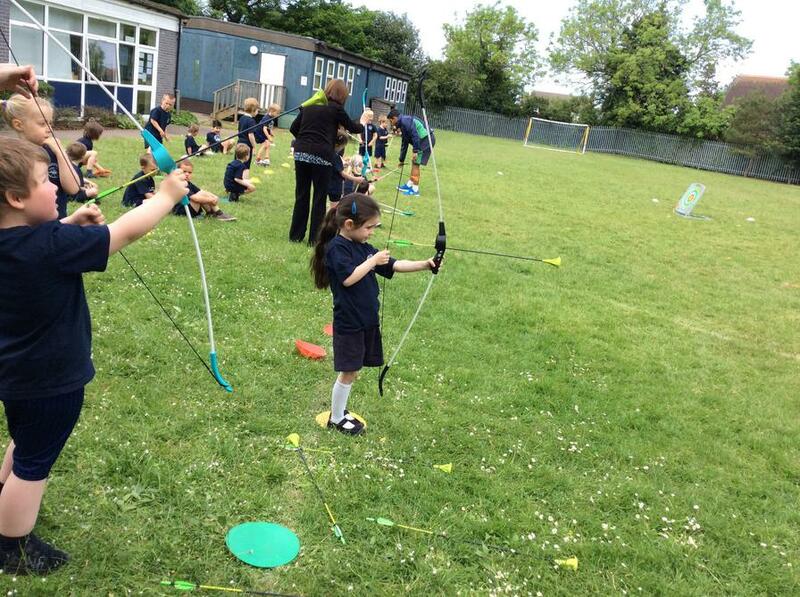 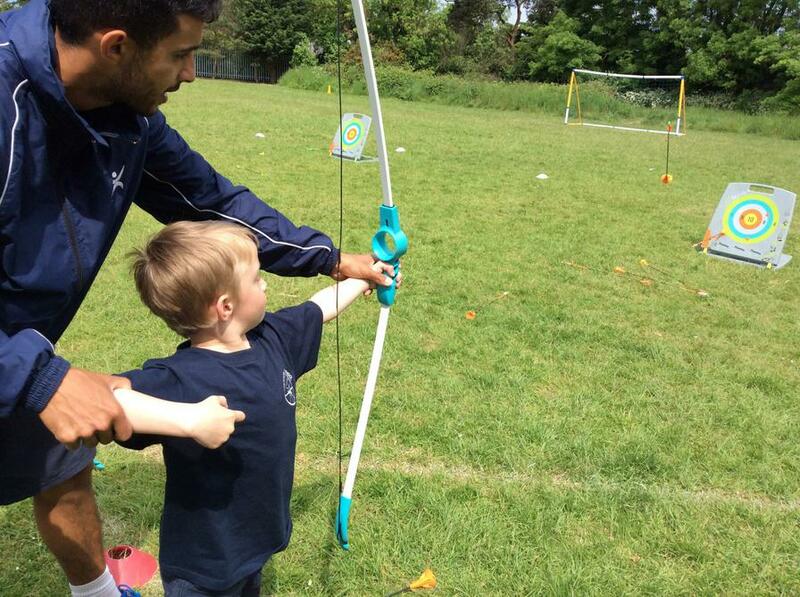 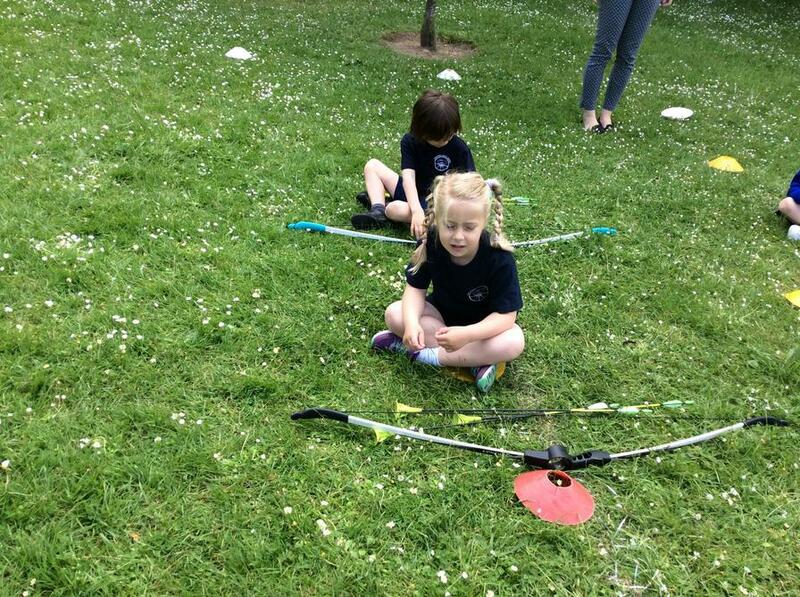 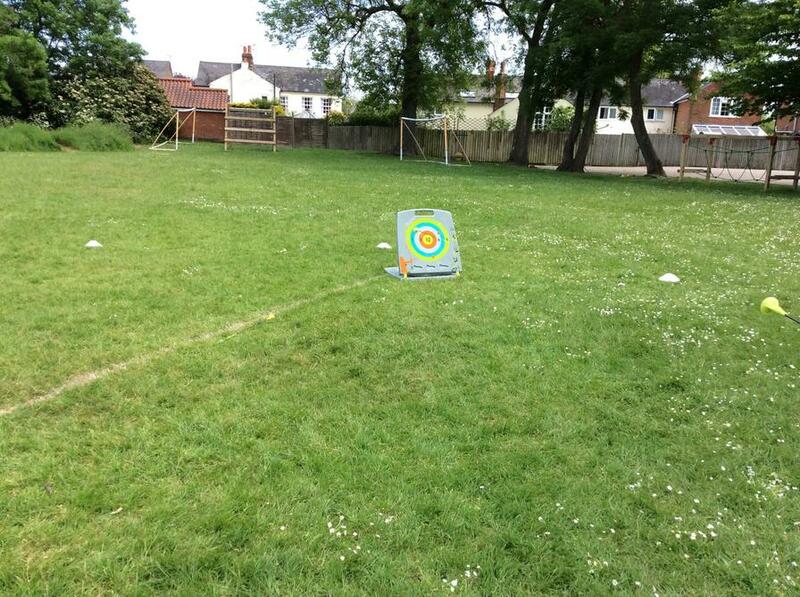 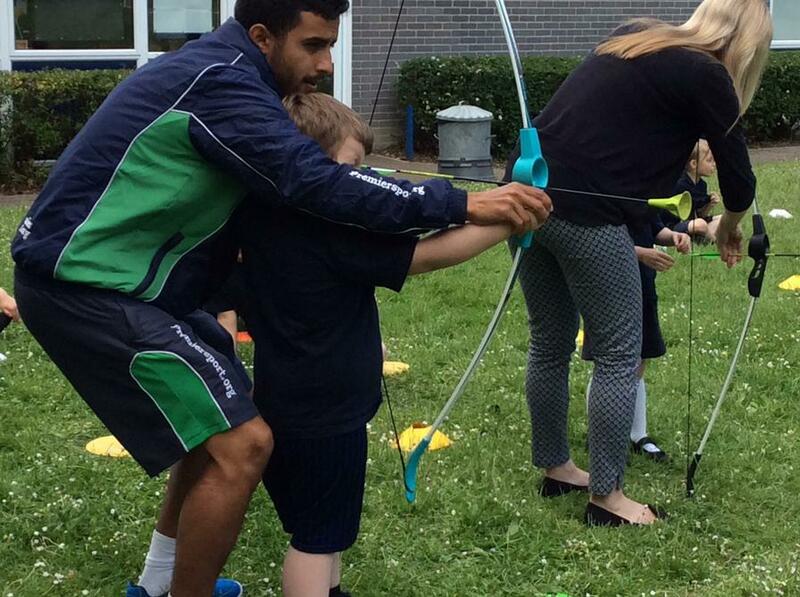 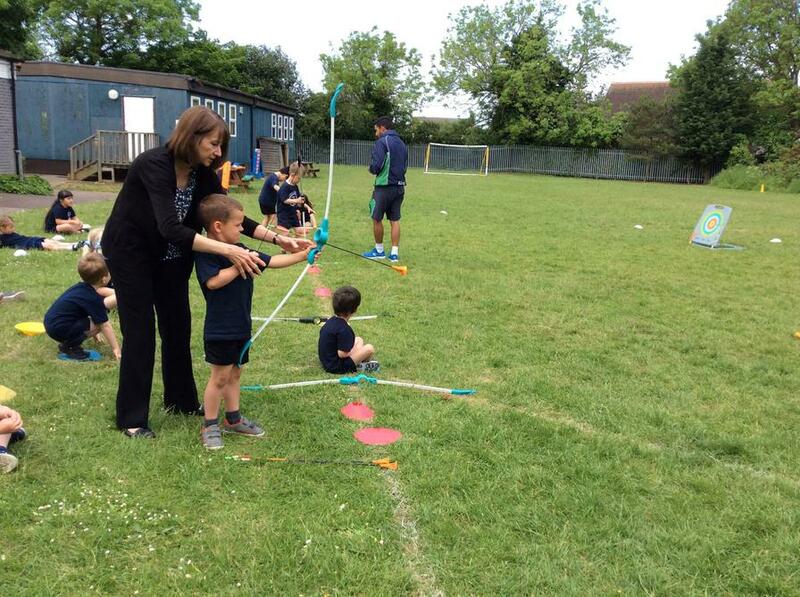 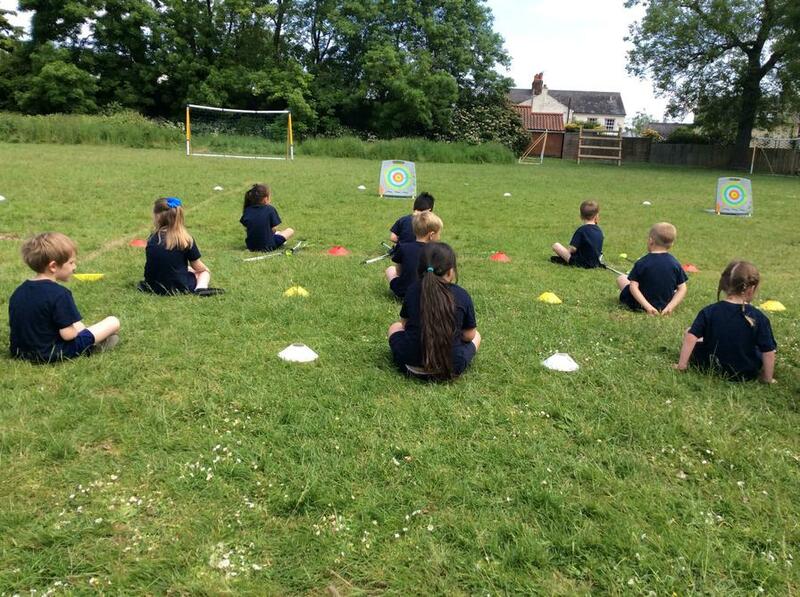 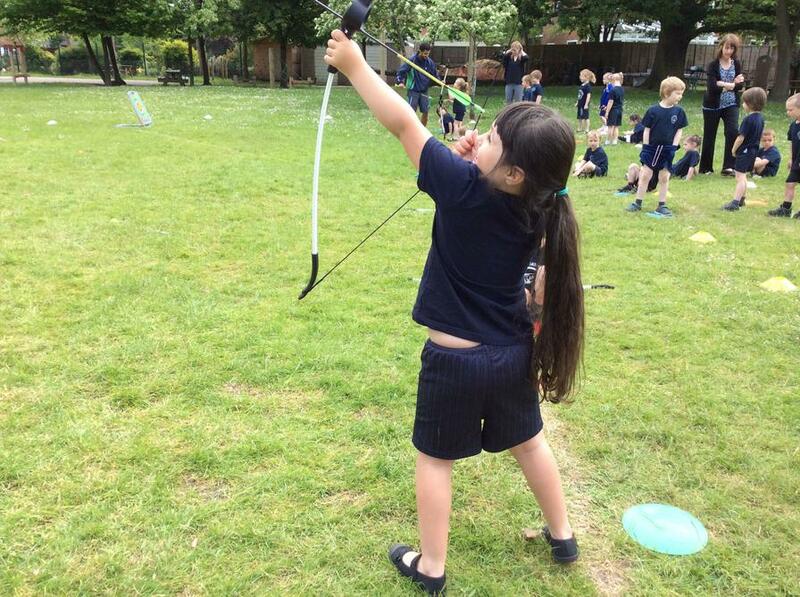 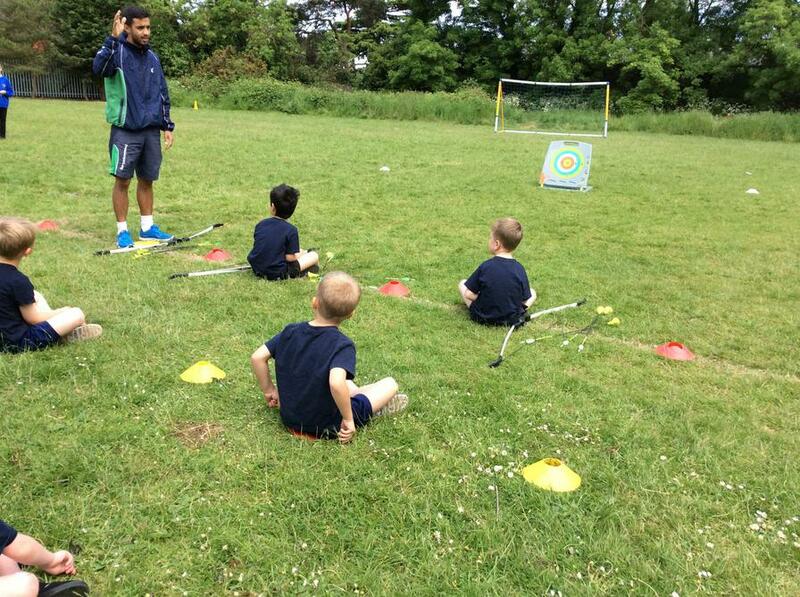 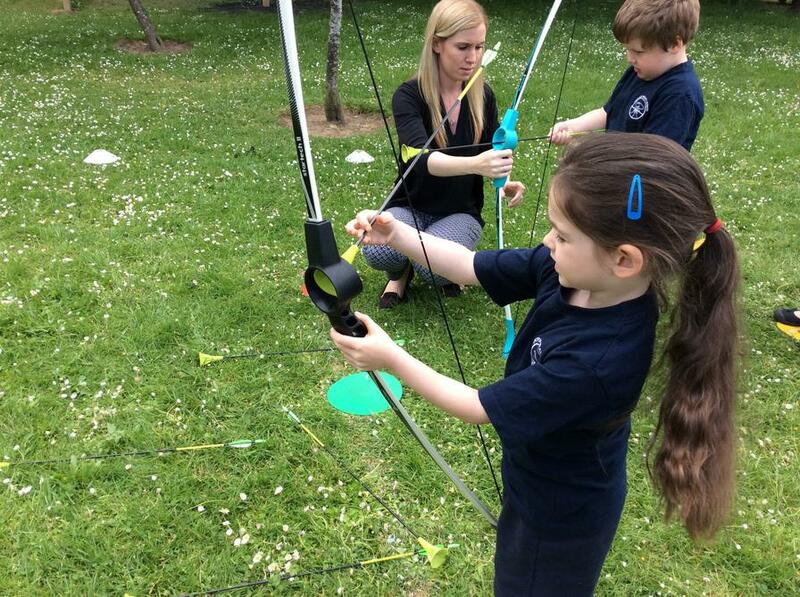 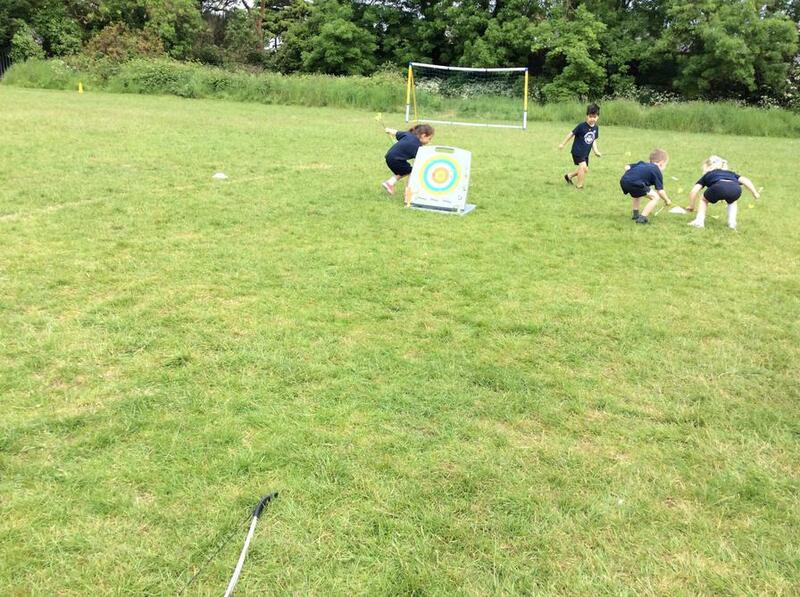 We were very lucky to have an Archery lesson with a qualified coach today. 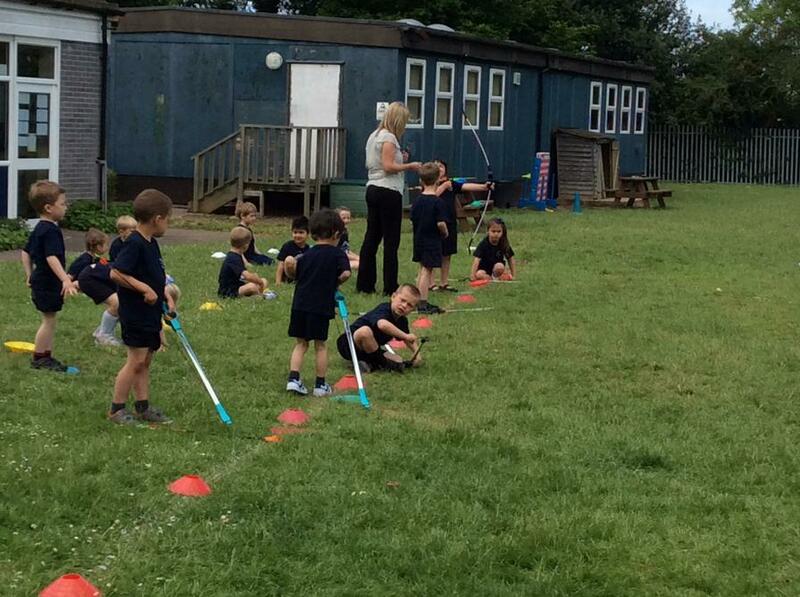 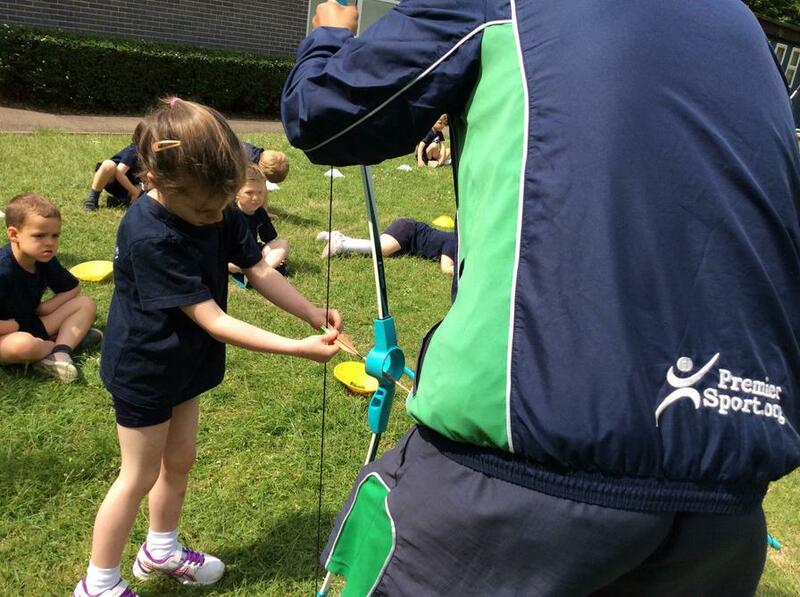 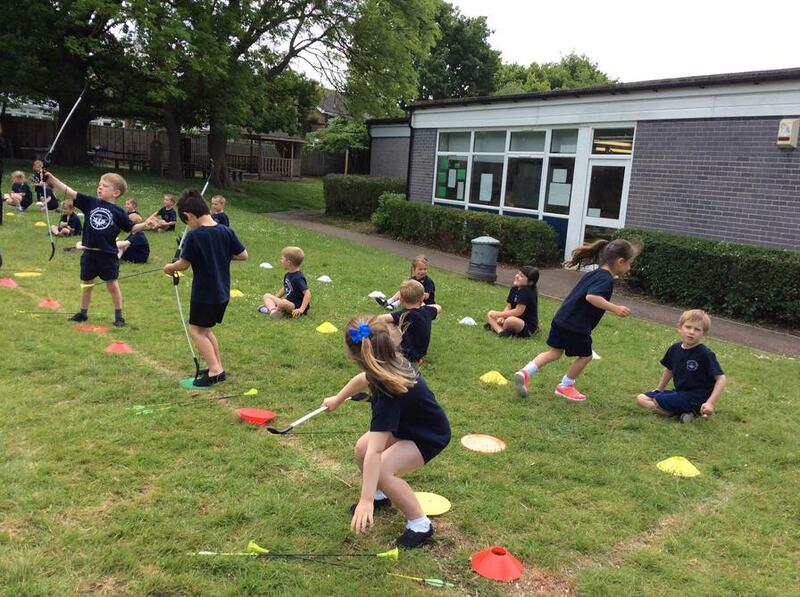 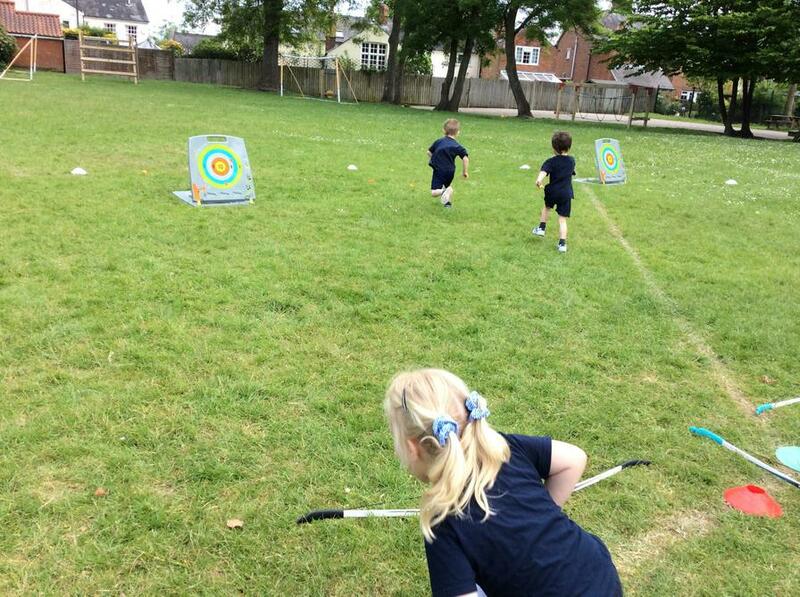 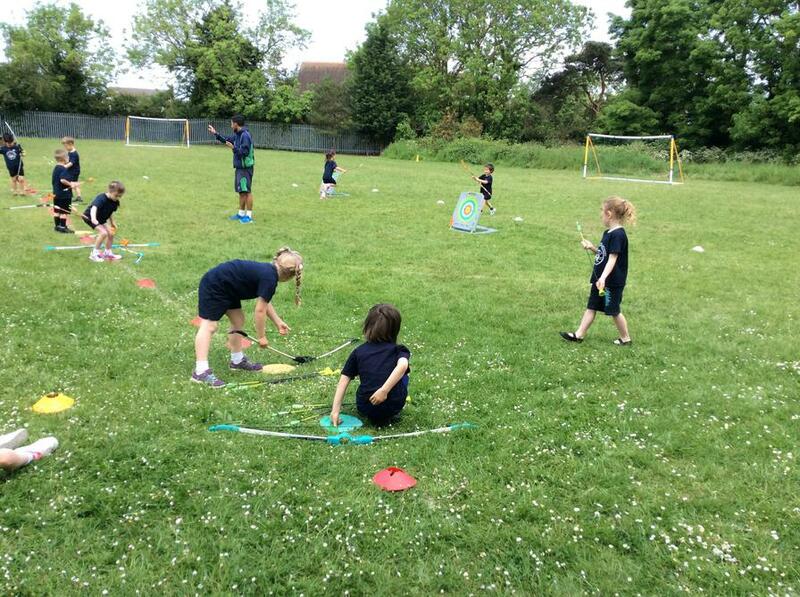 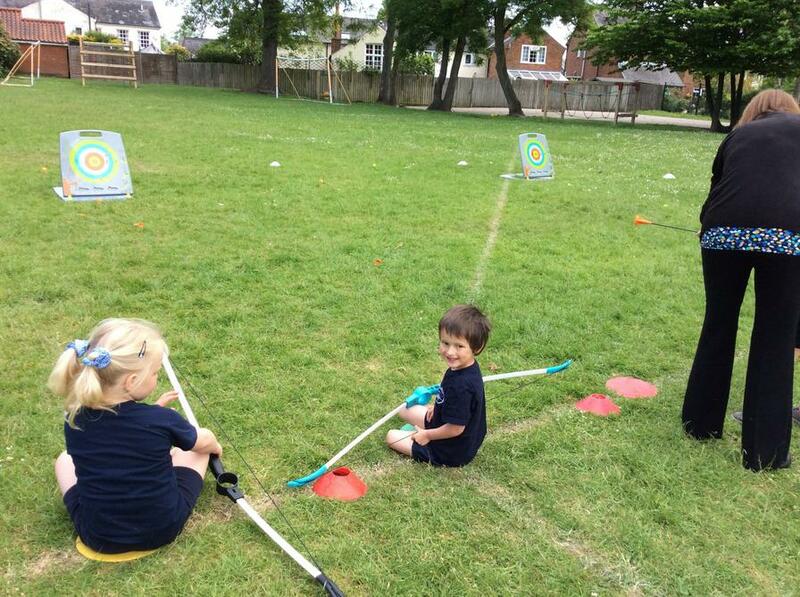 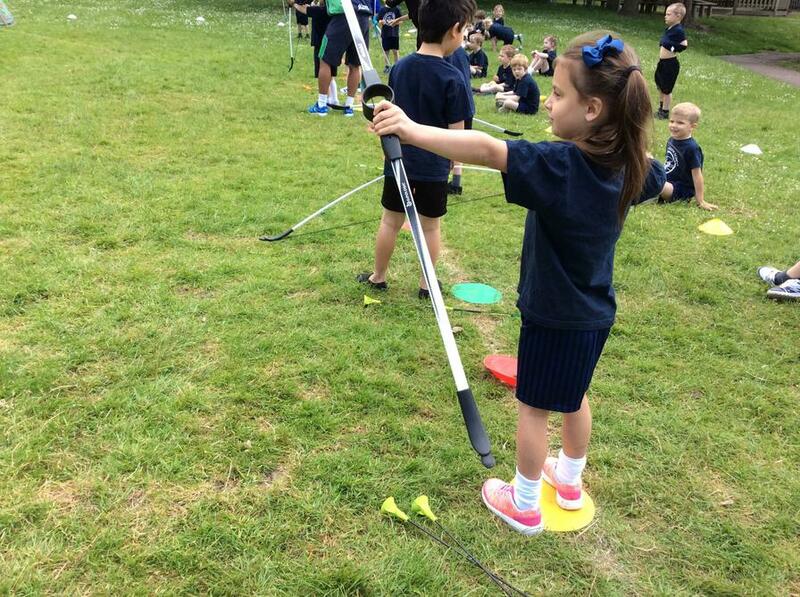 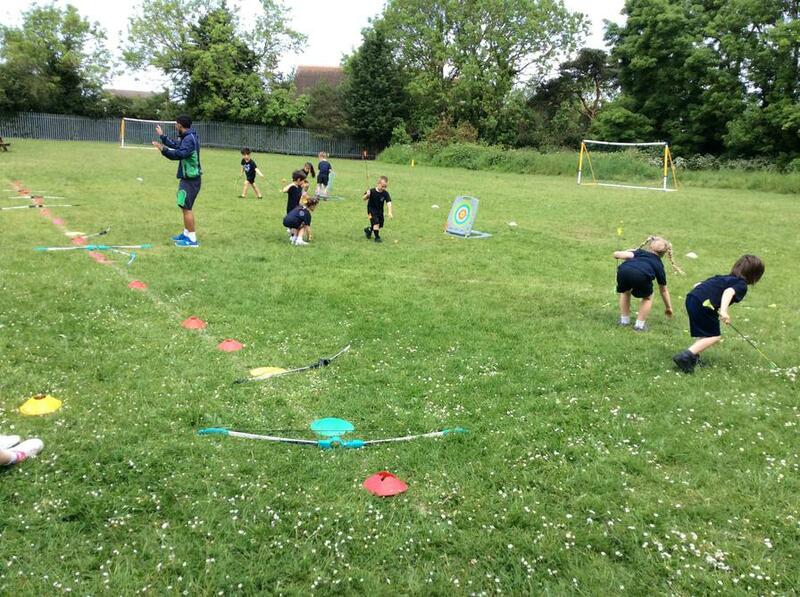 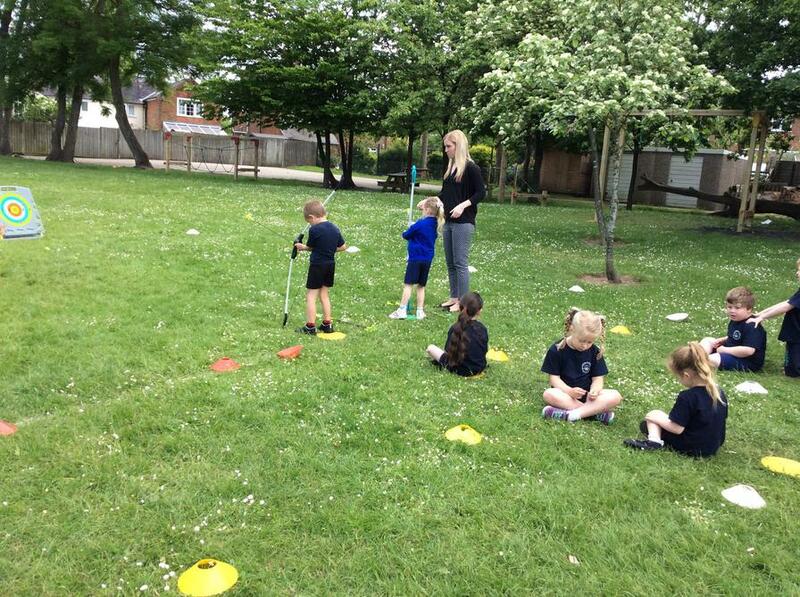 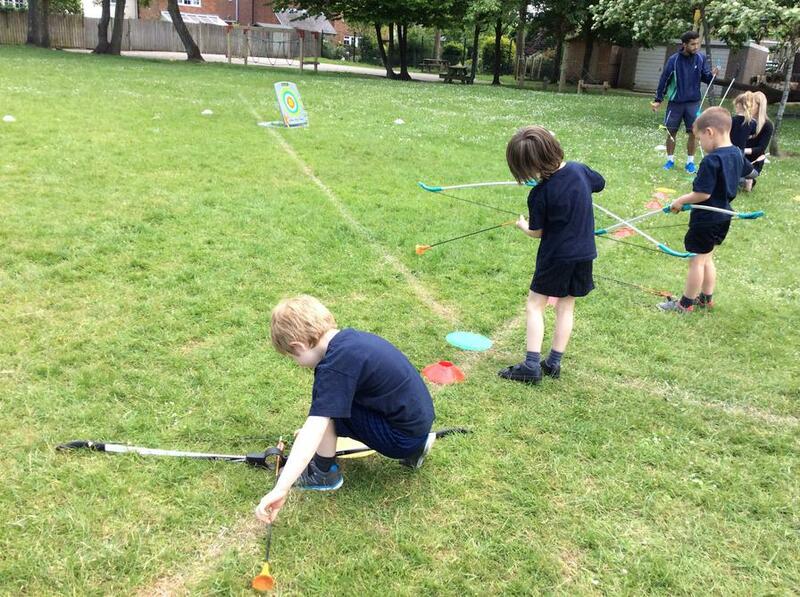 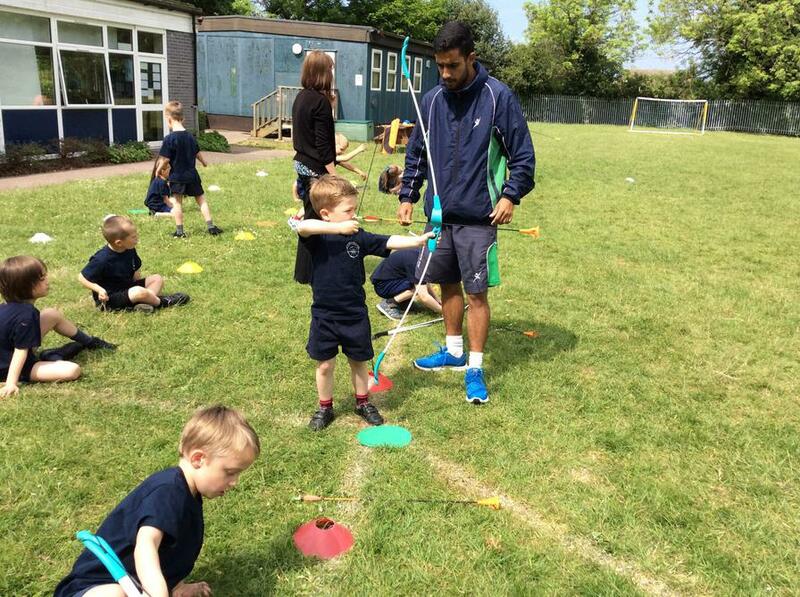 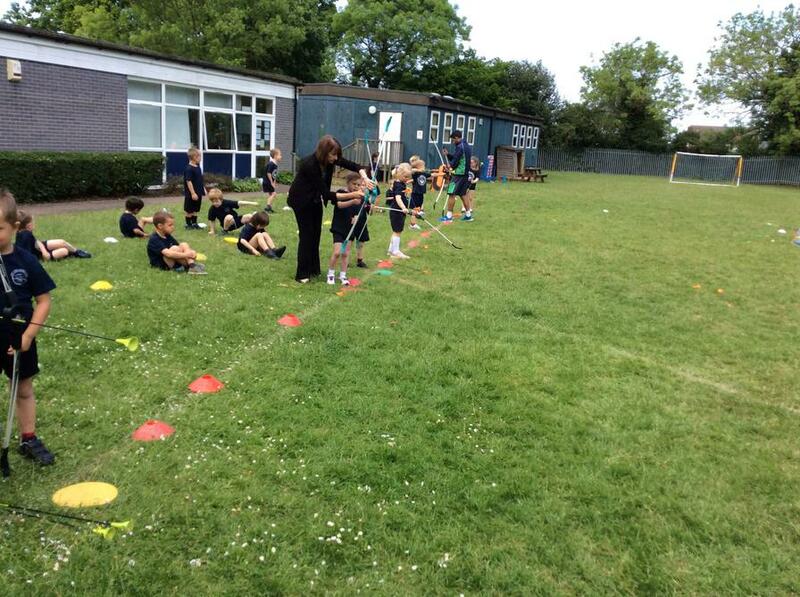 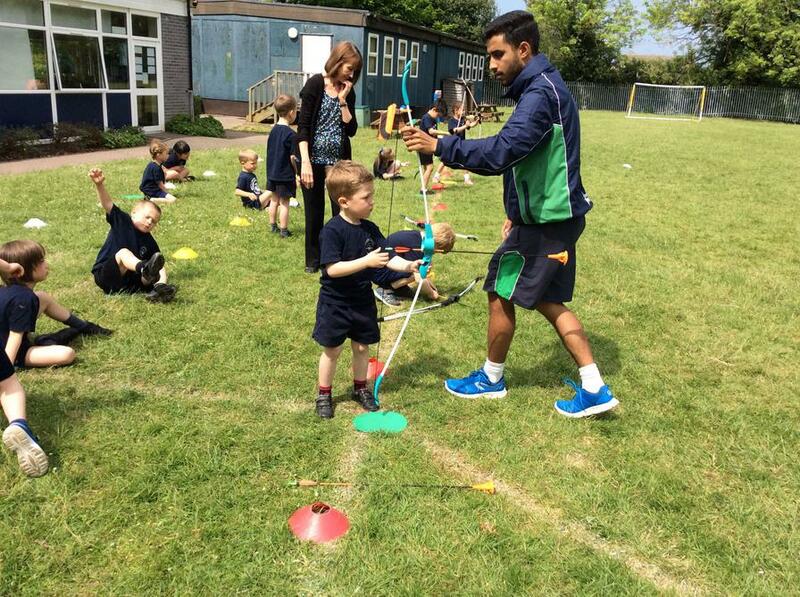 We have some fantastic sportsmen and sportswomen in Reception! 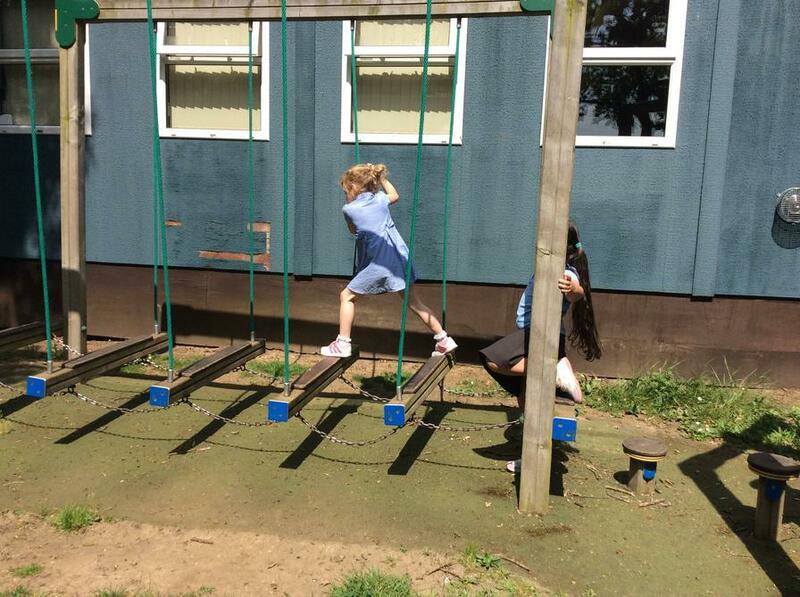 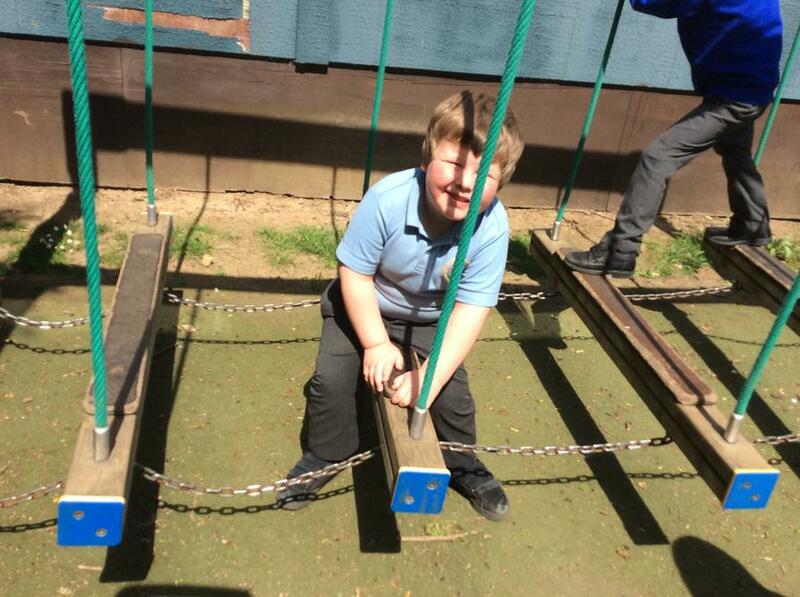 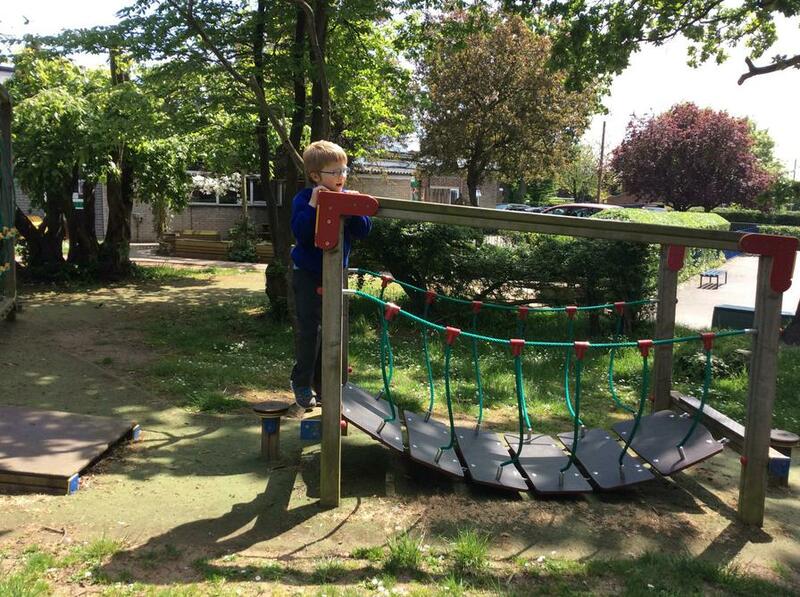 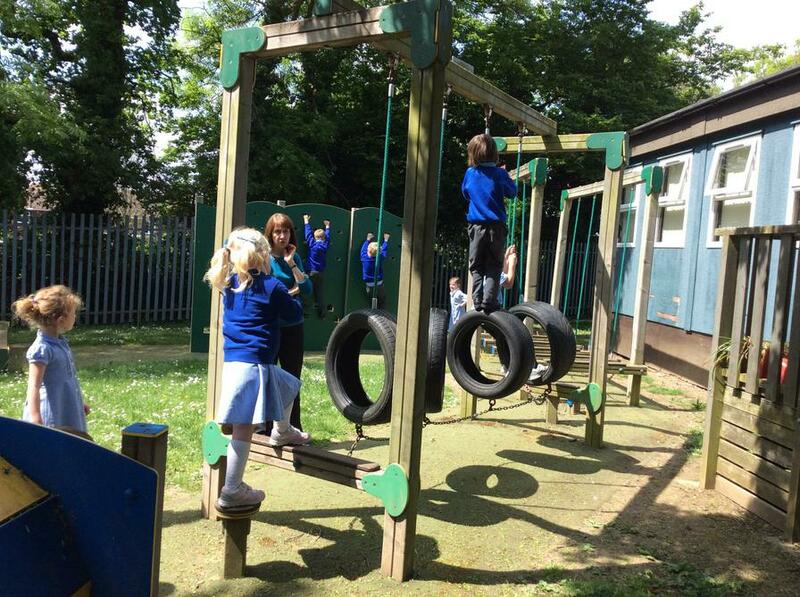 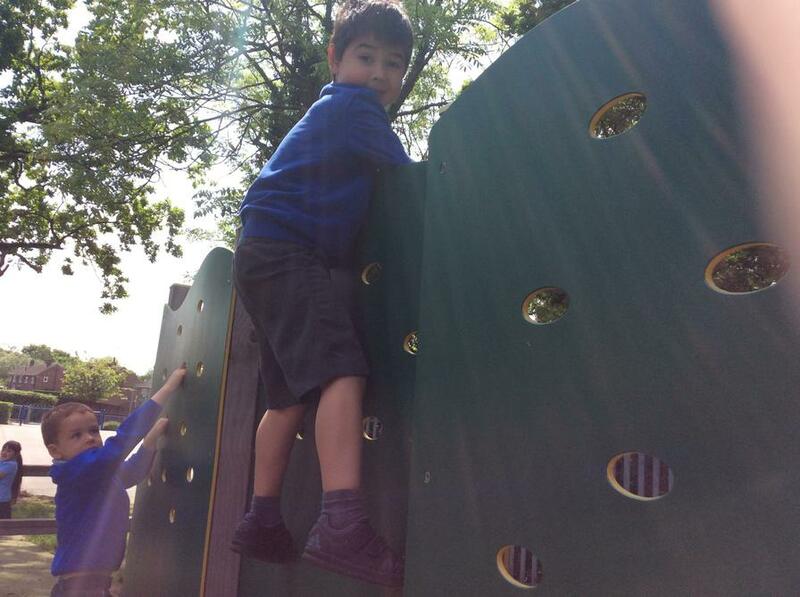 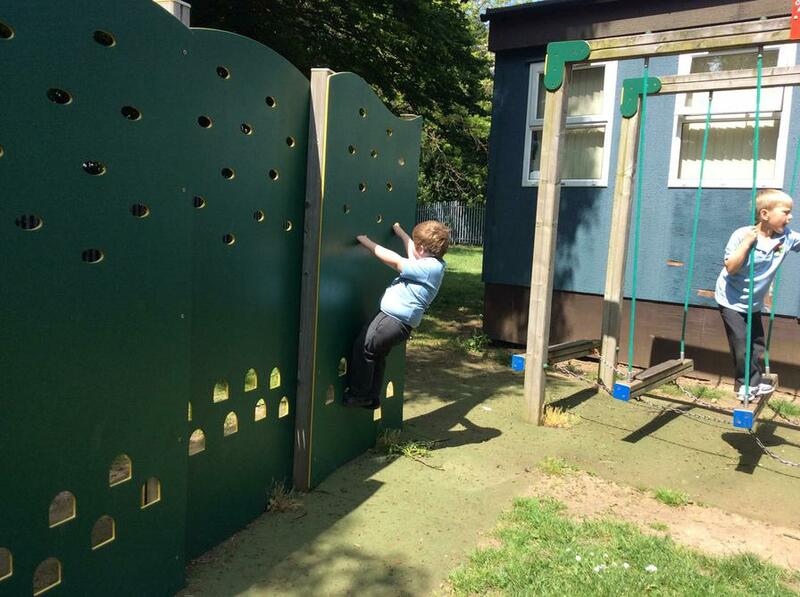 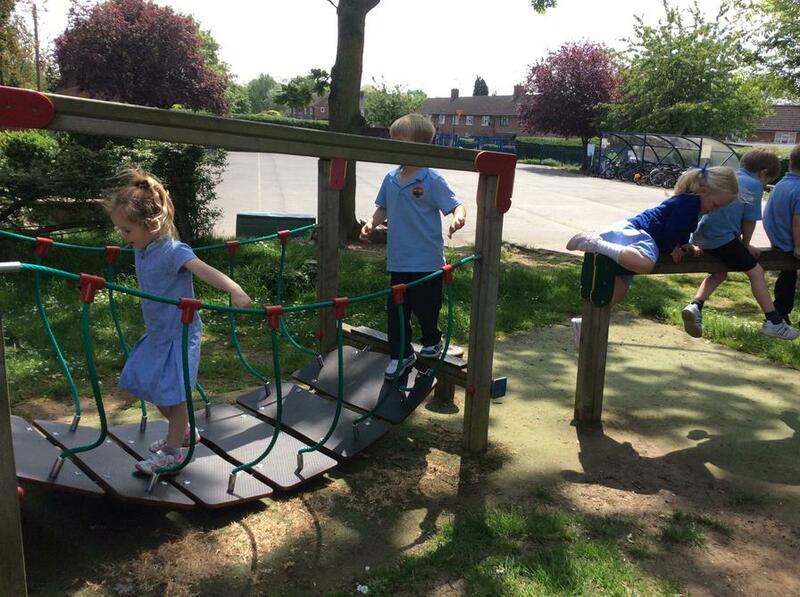 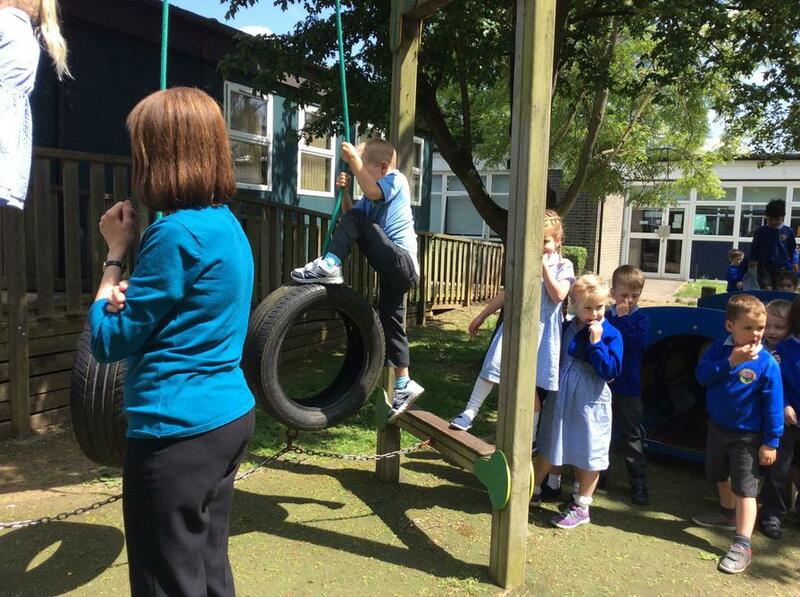 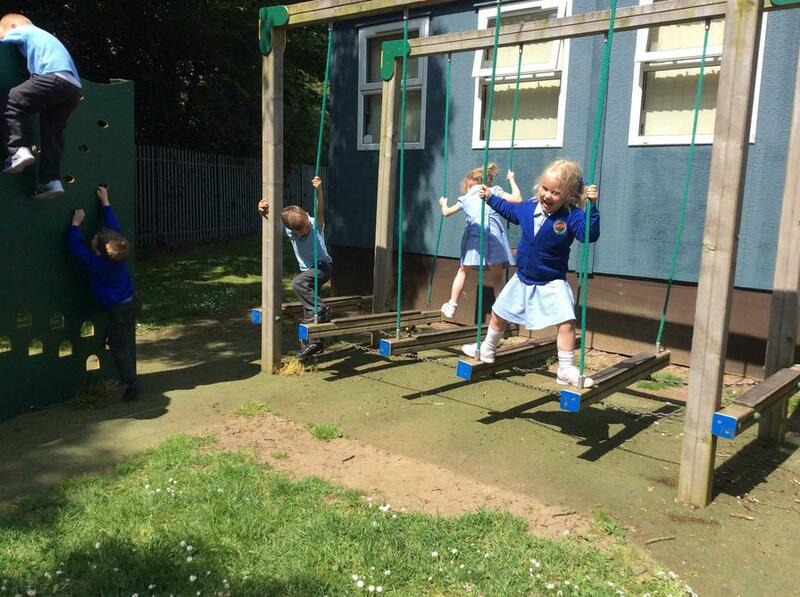 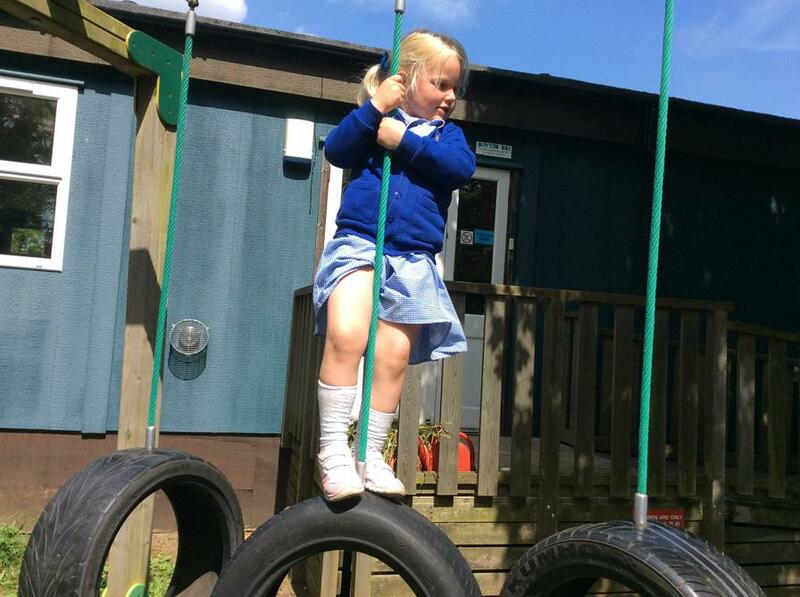 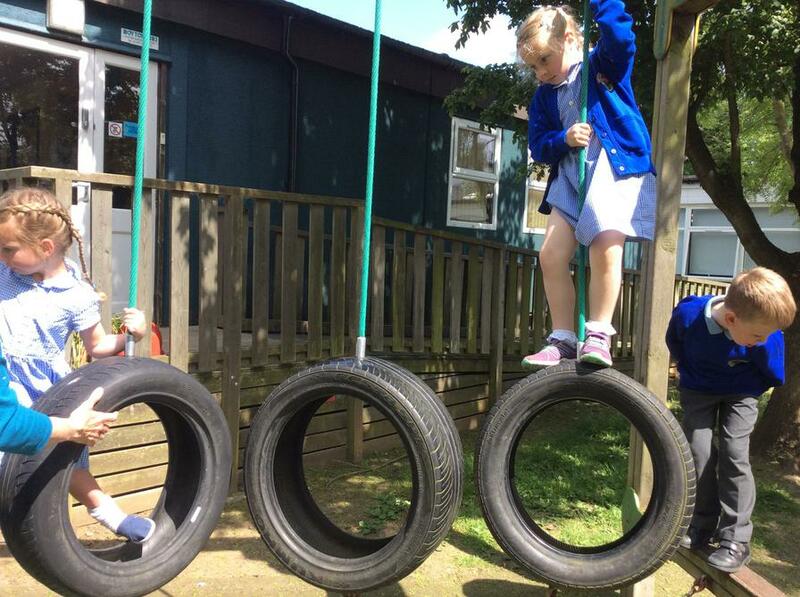 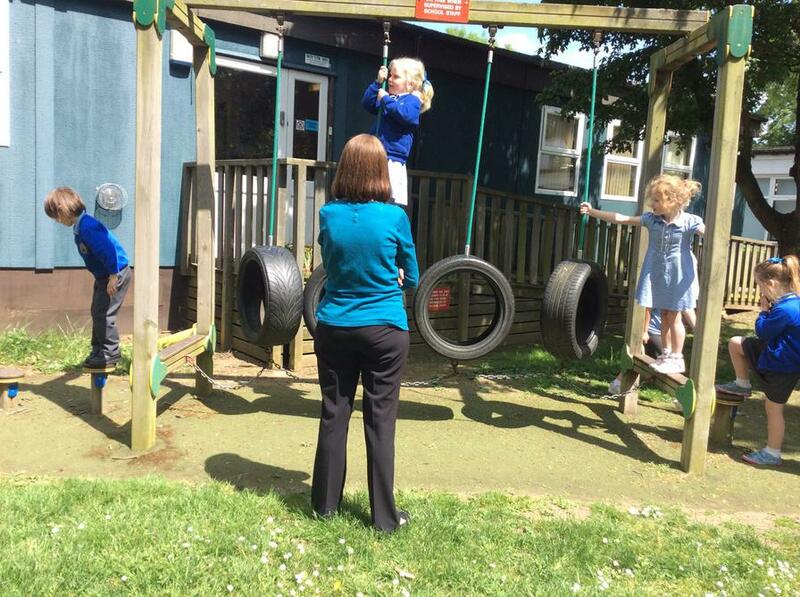 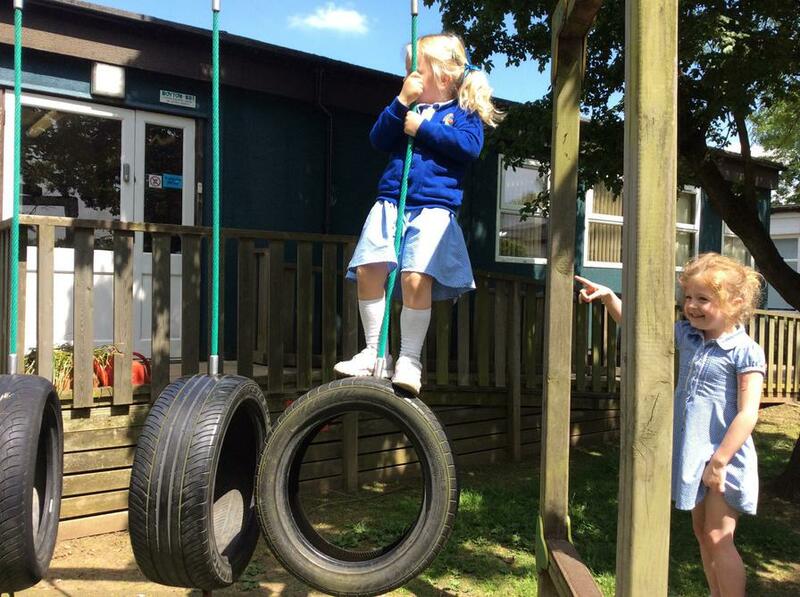 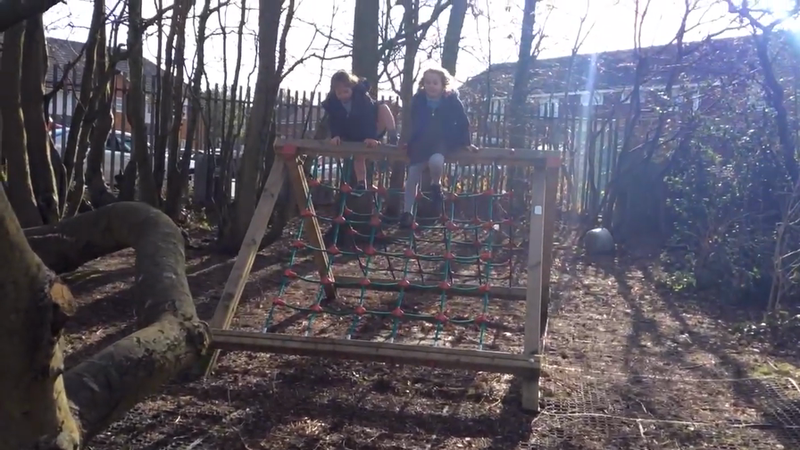 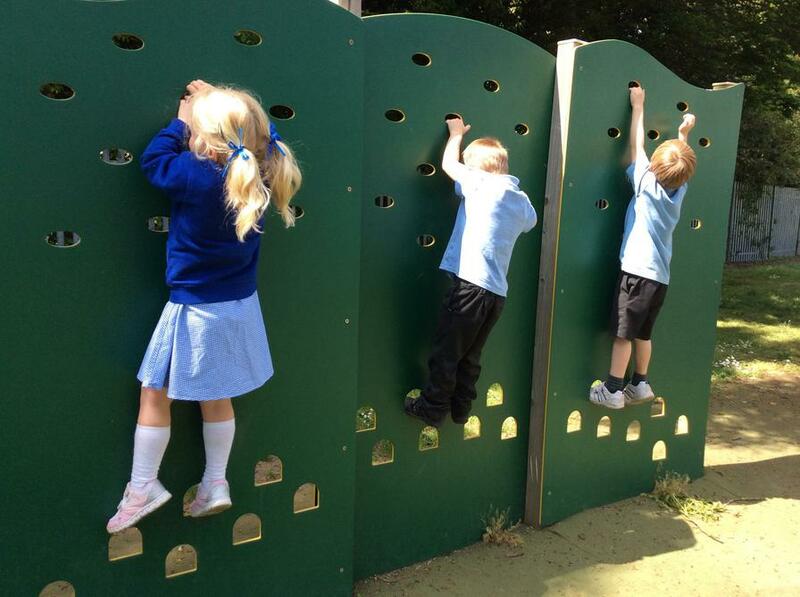 We had fun in the sun on the large climbing equipment! 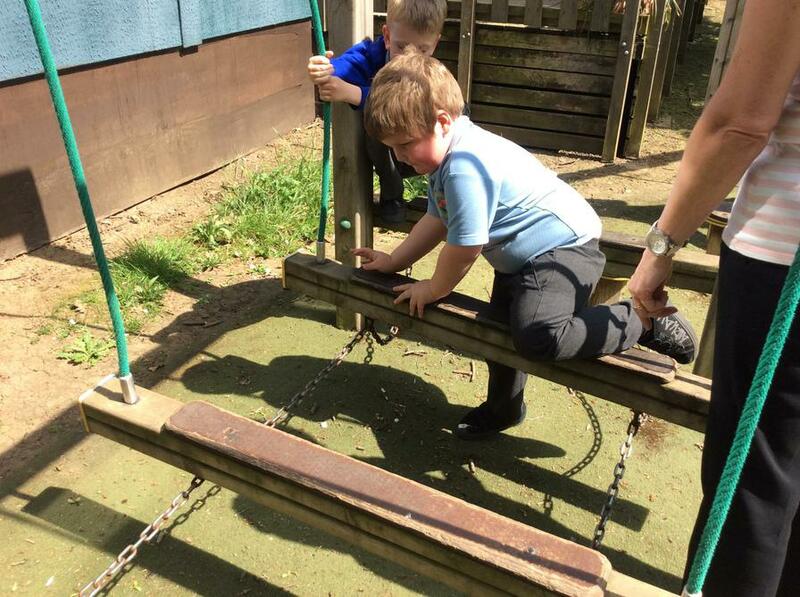 Some of us conquered our fears! 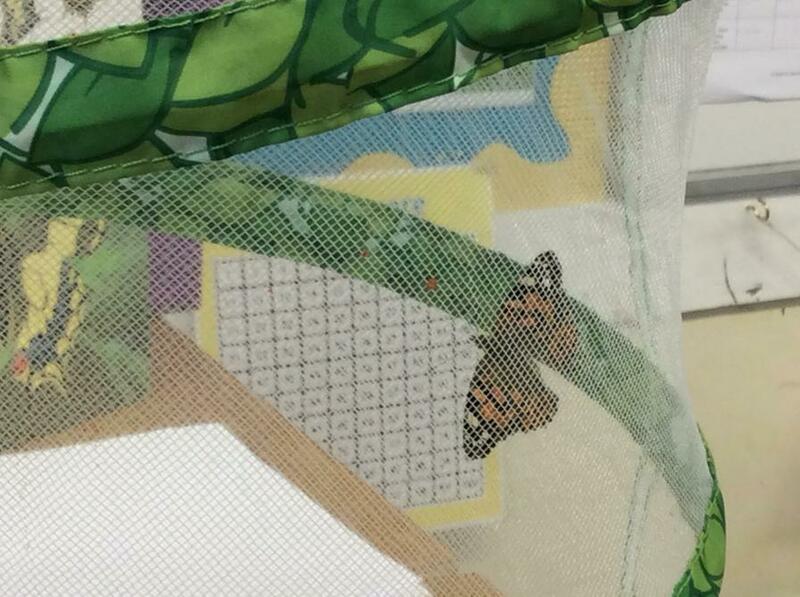 Butterfly, butterfly, fly away home! 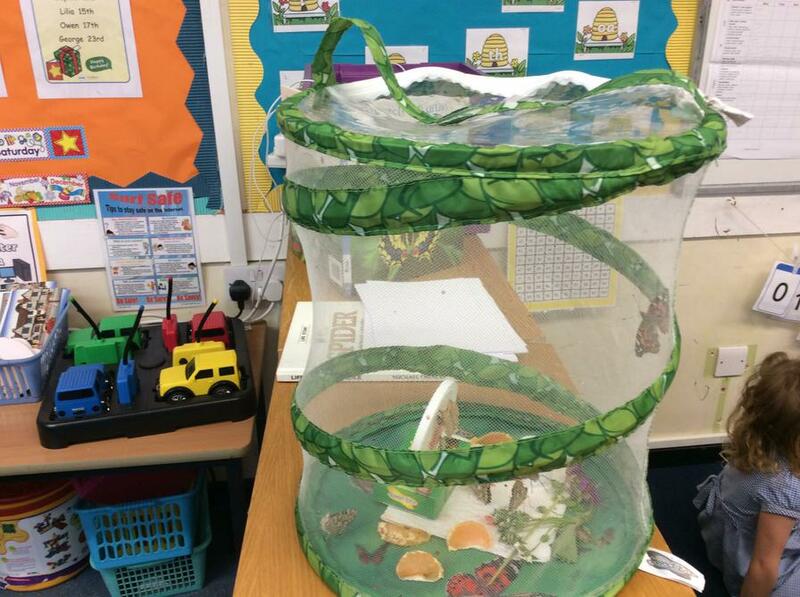 It was time to say goodbye to our butterflies today. 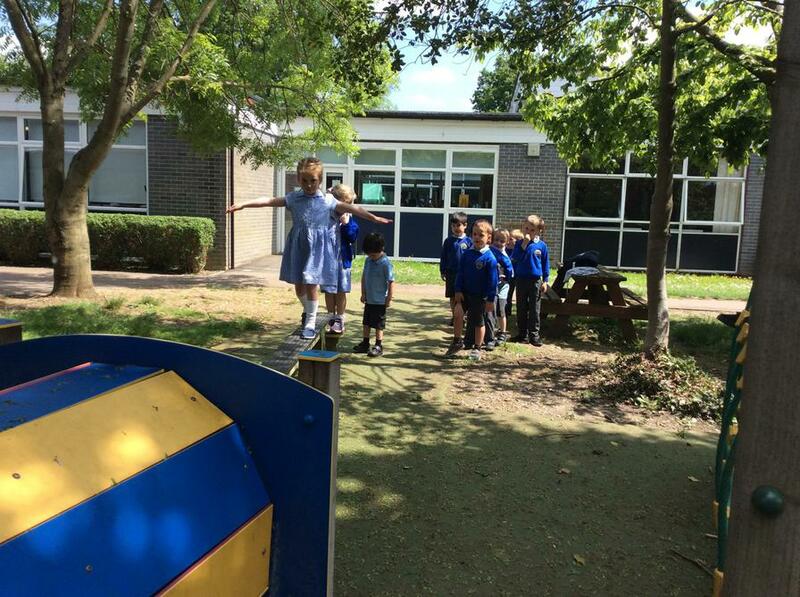 The children really enjoyed watching the brave ones leave. 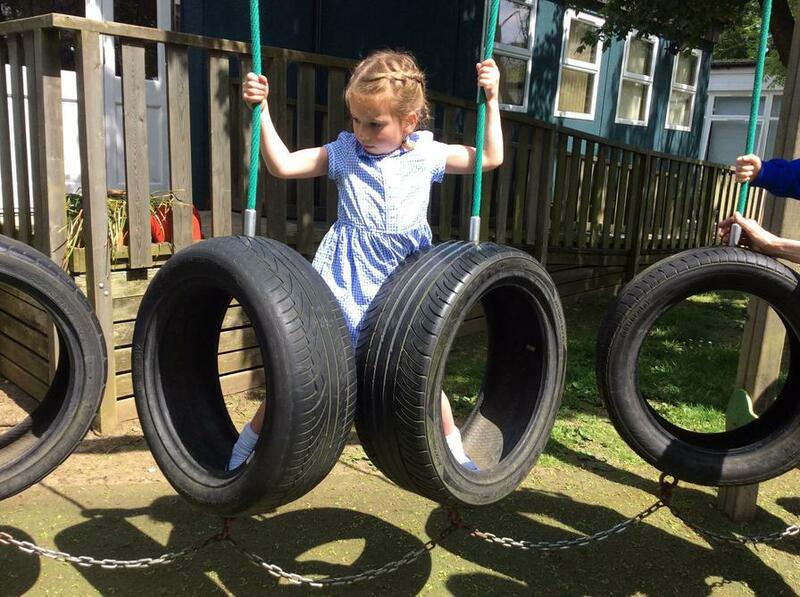 We still have one who chose not to go today. 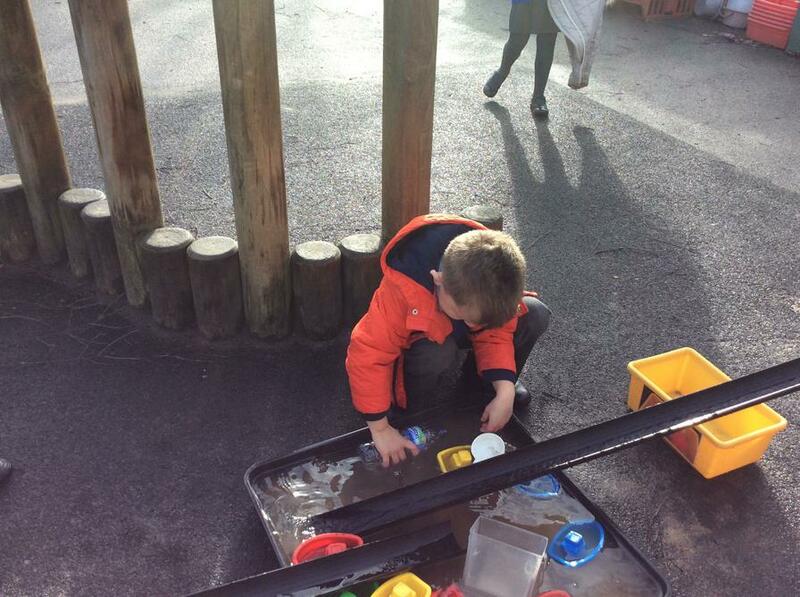 We will try again tomorrow! 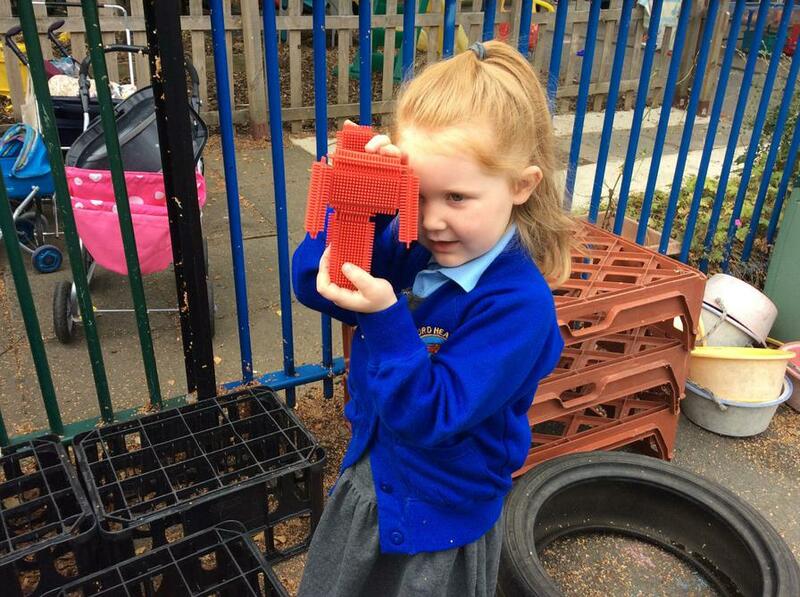 We have taken lots of photos. 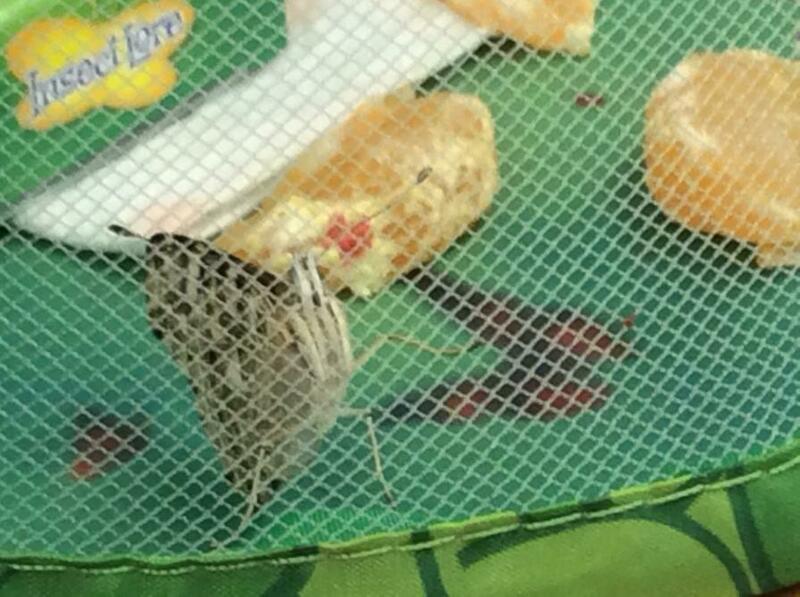 Can you see the butterflies drinking the orange juice using their long tongue (proboscis)? 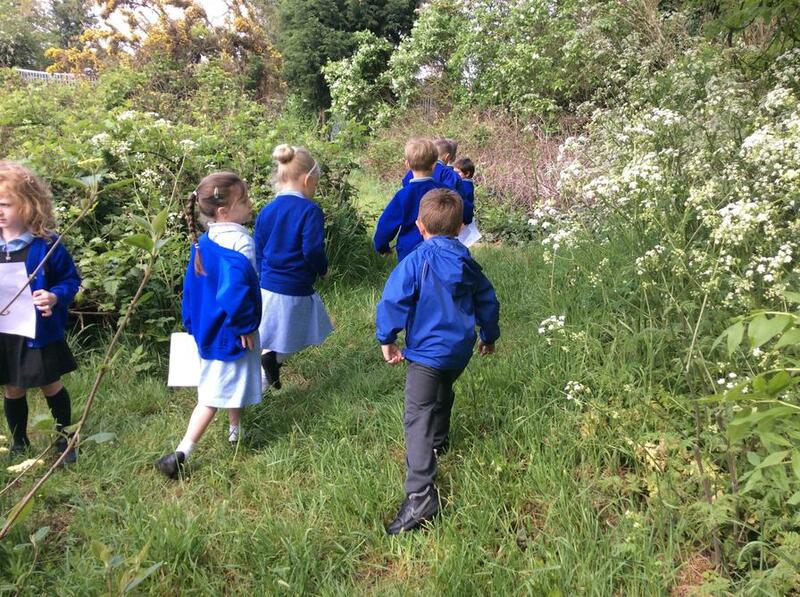 Our nature walk! 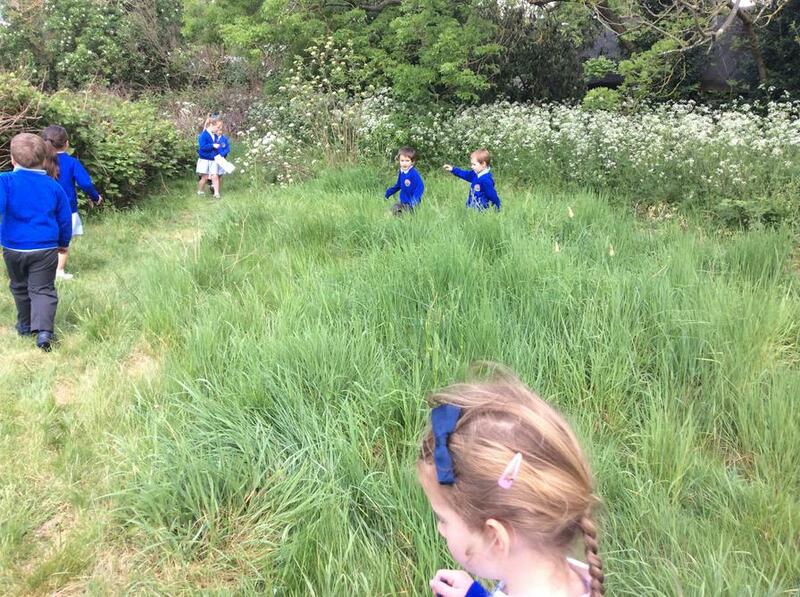 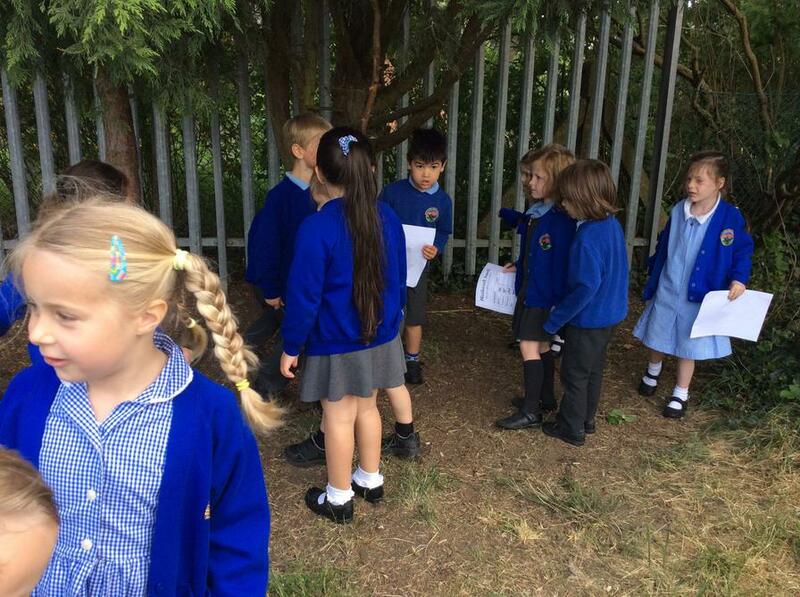 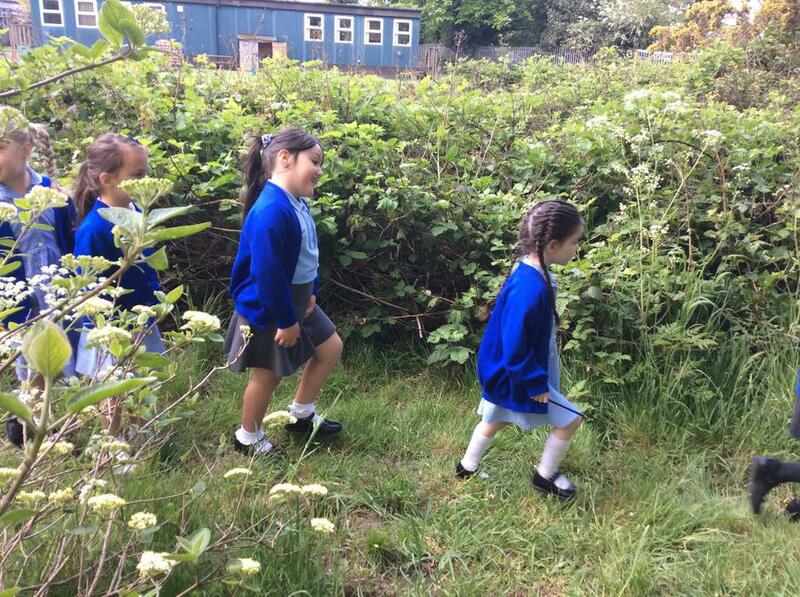 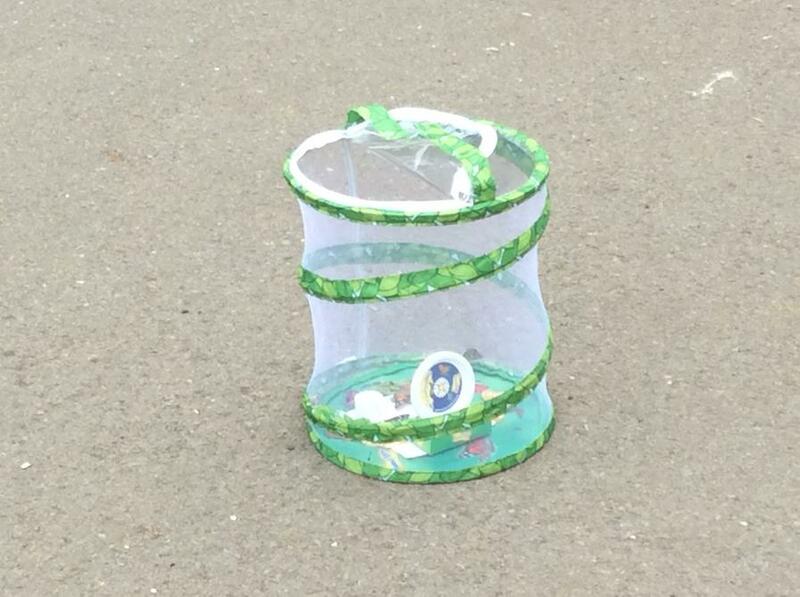 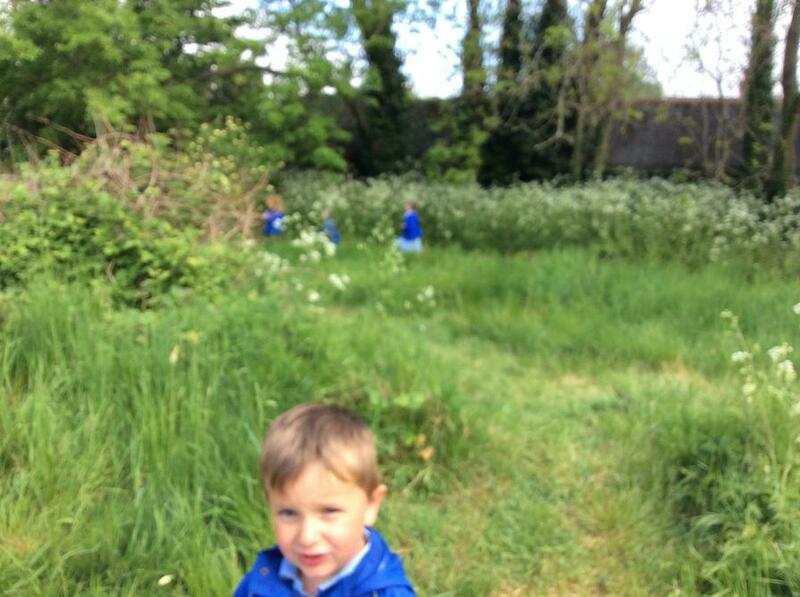 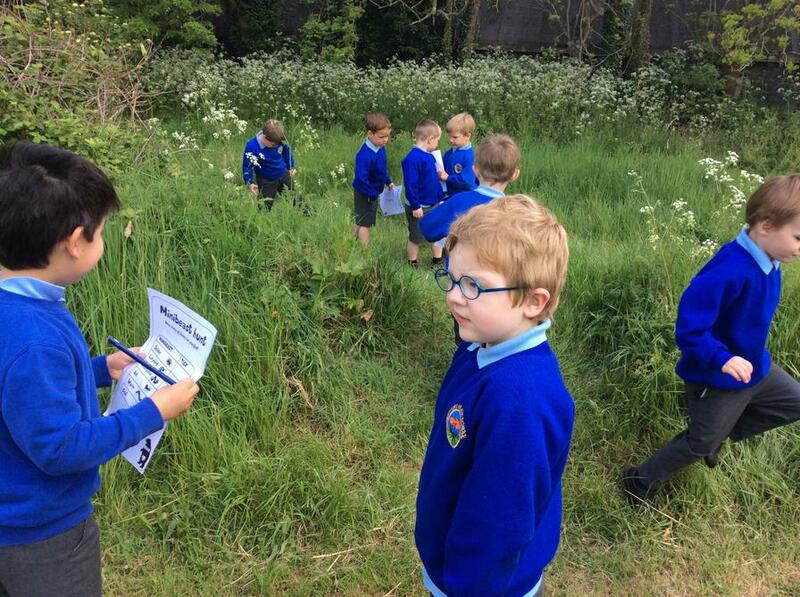 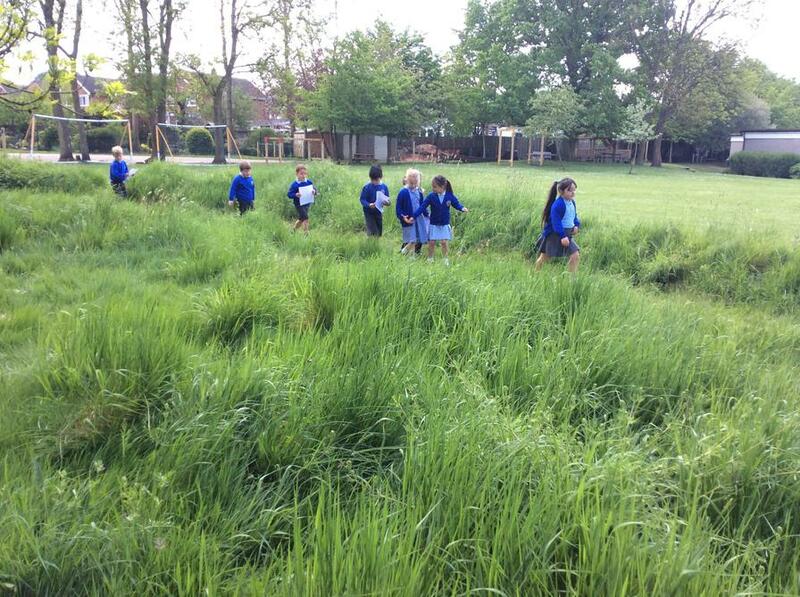 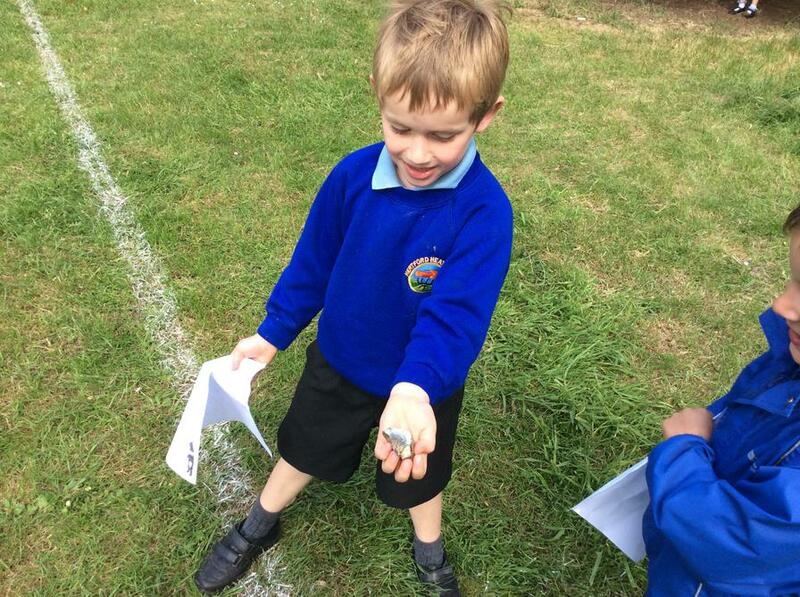 We went on a walk around our school 'wild area' looking for mini beasts. 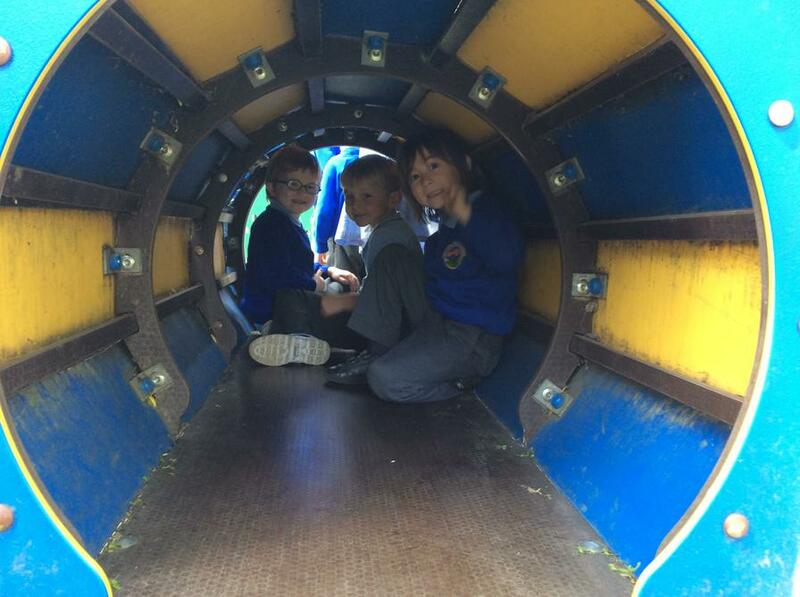 We went to visit our local park and had a great time playing with our friends. 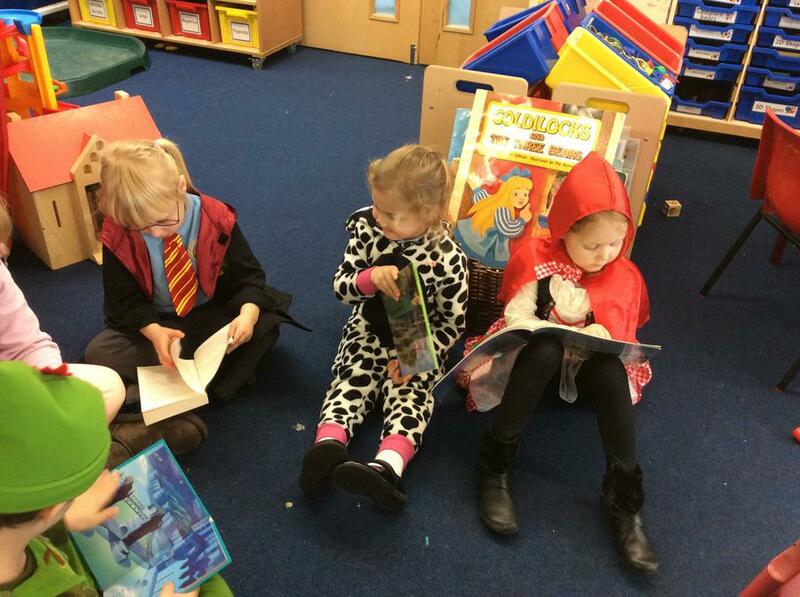 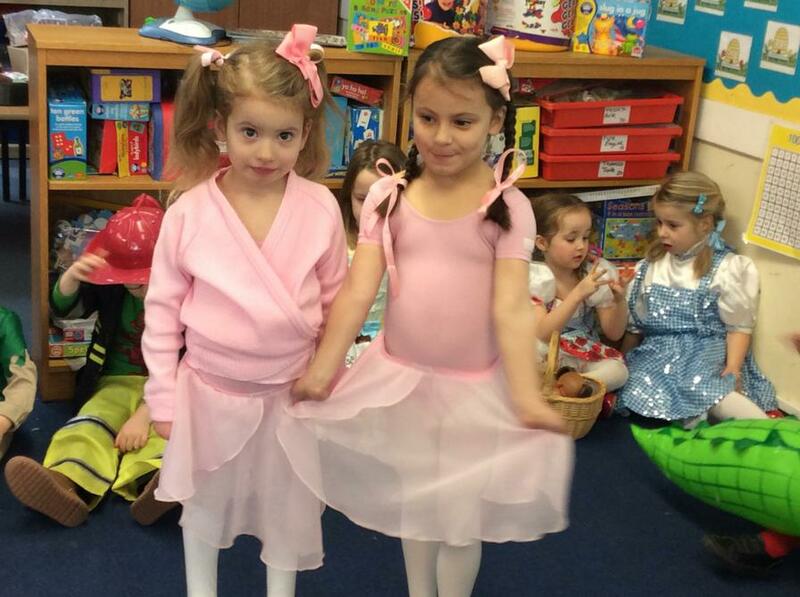 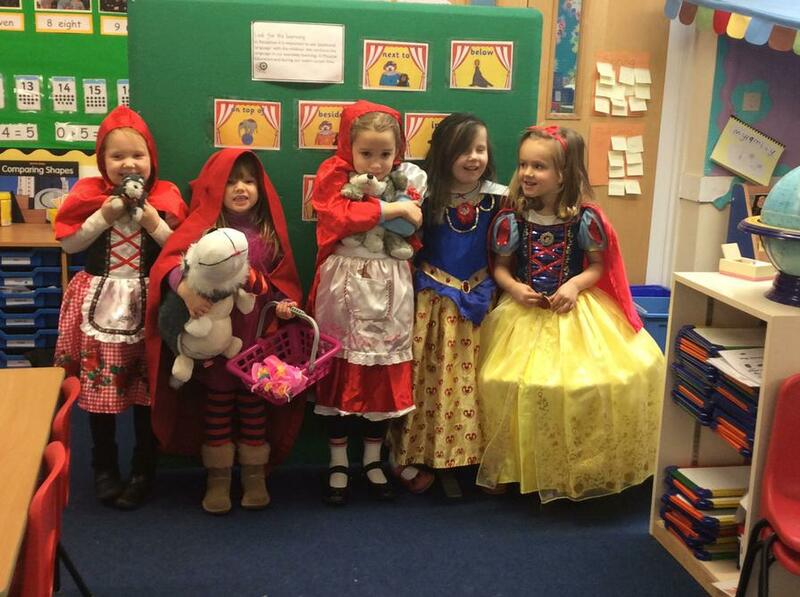 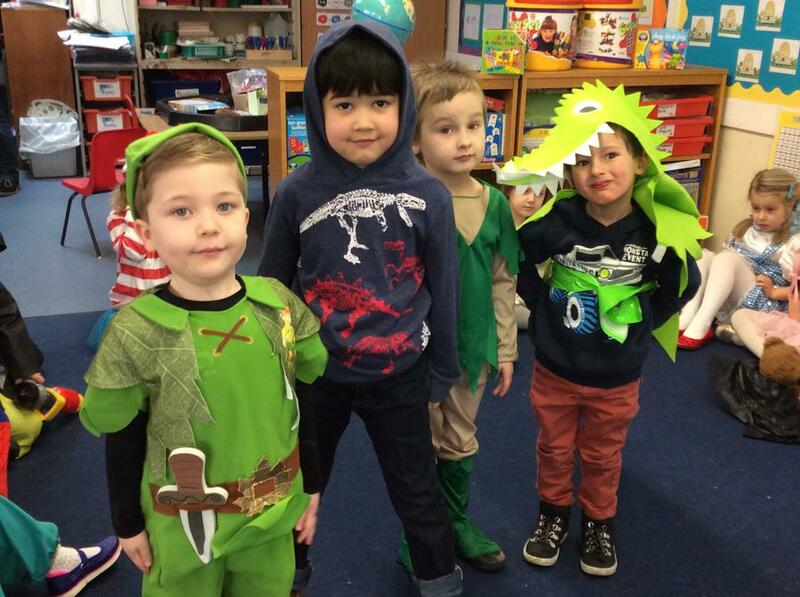 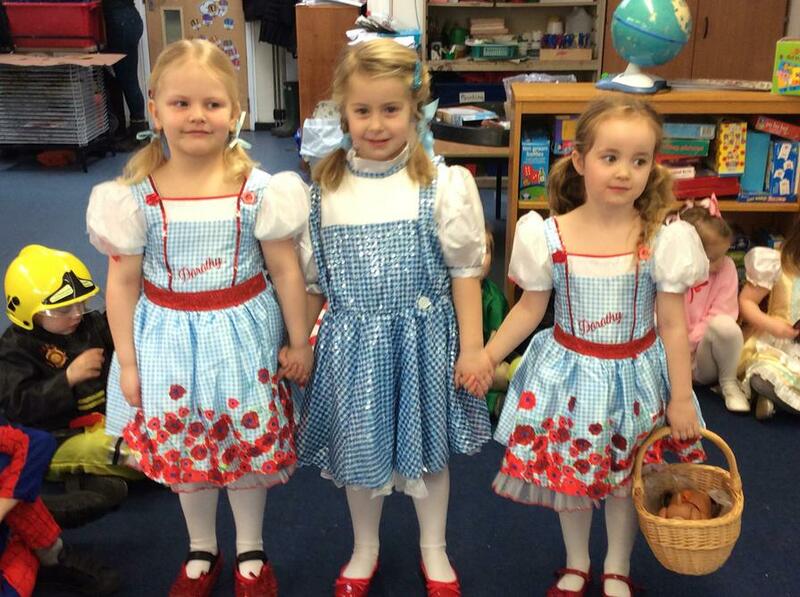 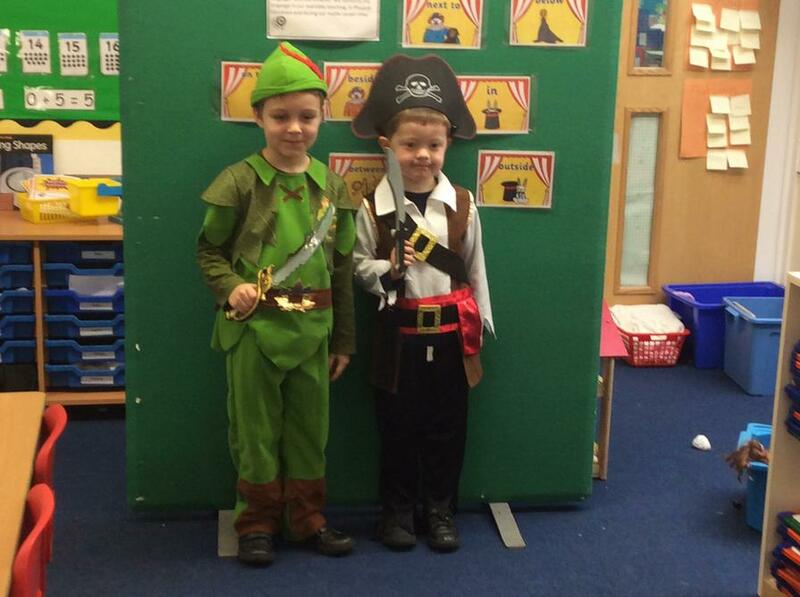 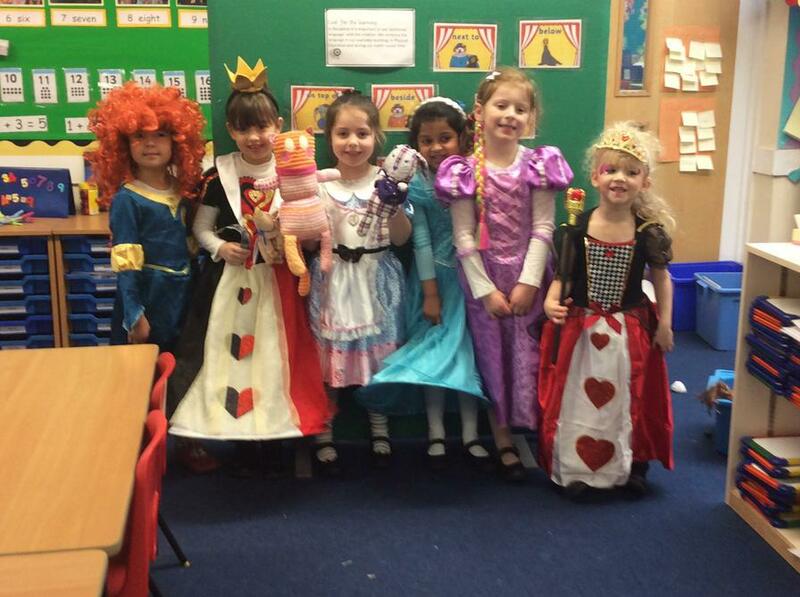 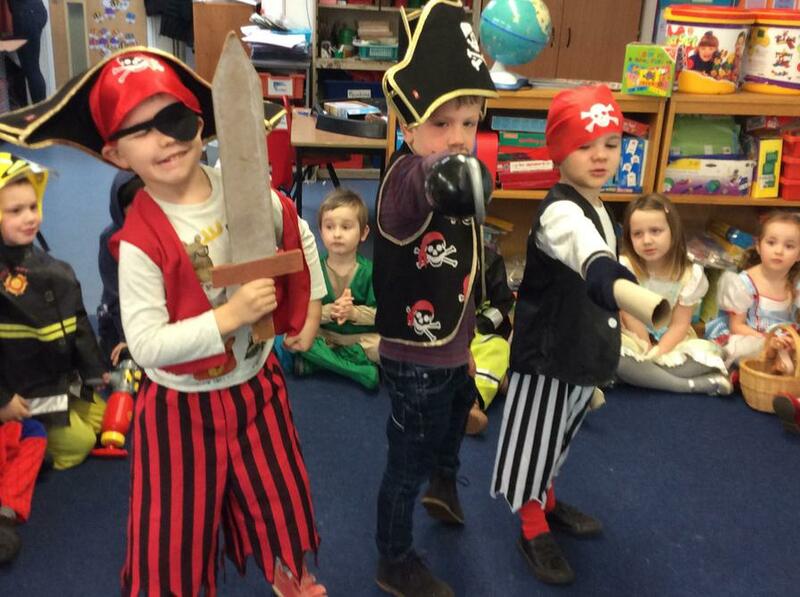 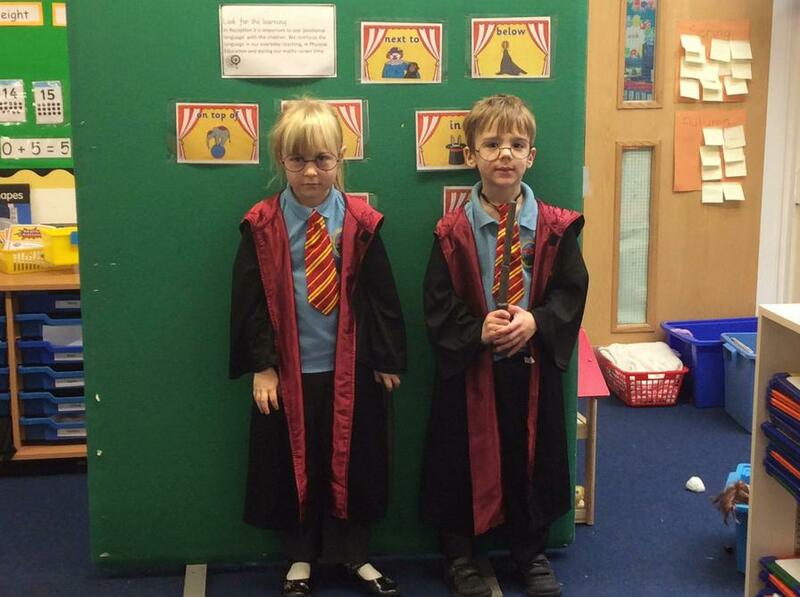 We dressed up to celebrate World Book Day! 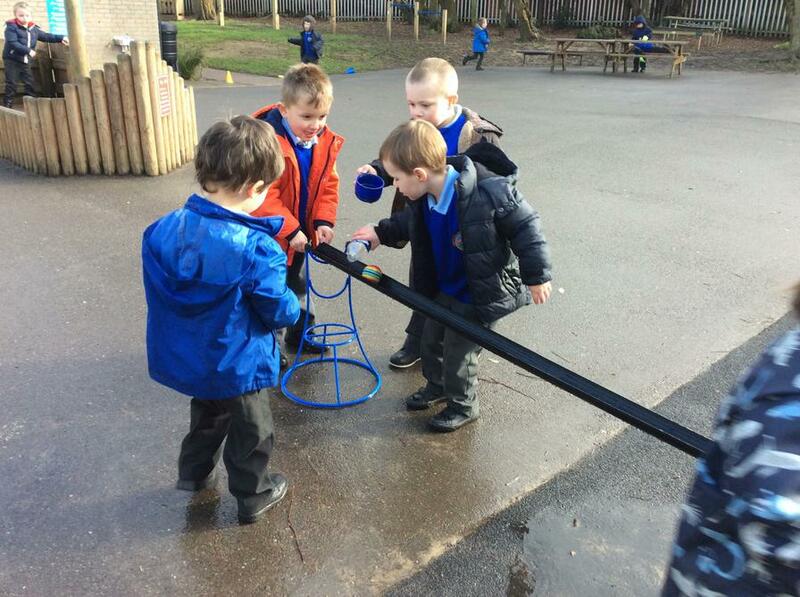 Today we carried out an experiment. 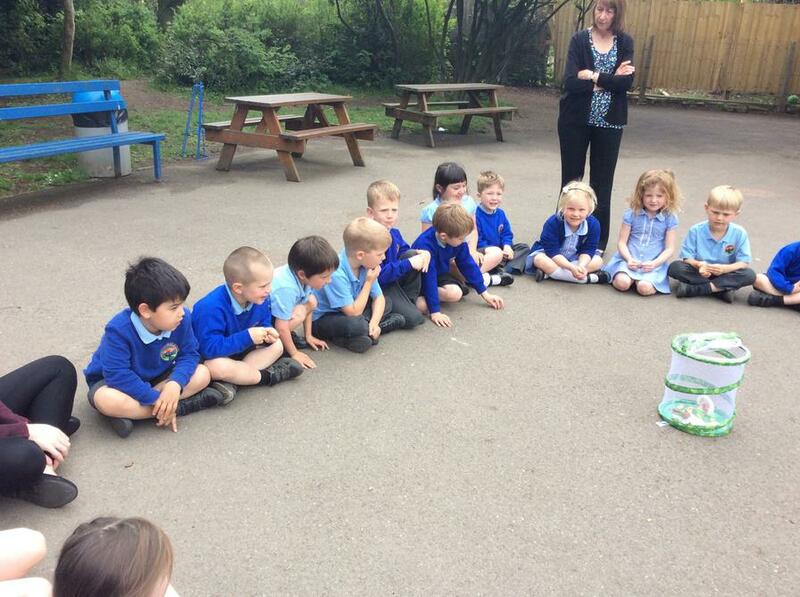 We made our own exploding volcano! 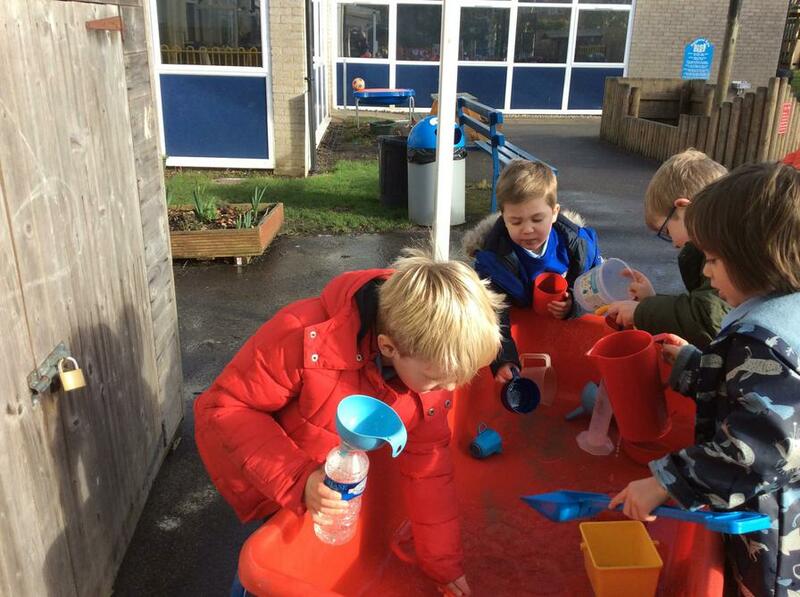 We mixed baking powder with vinegar to create an eruption! 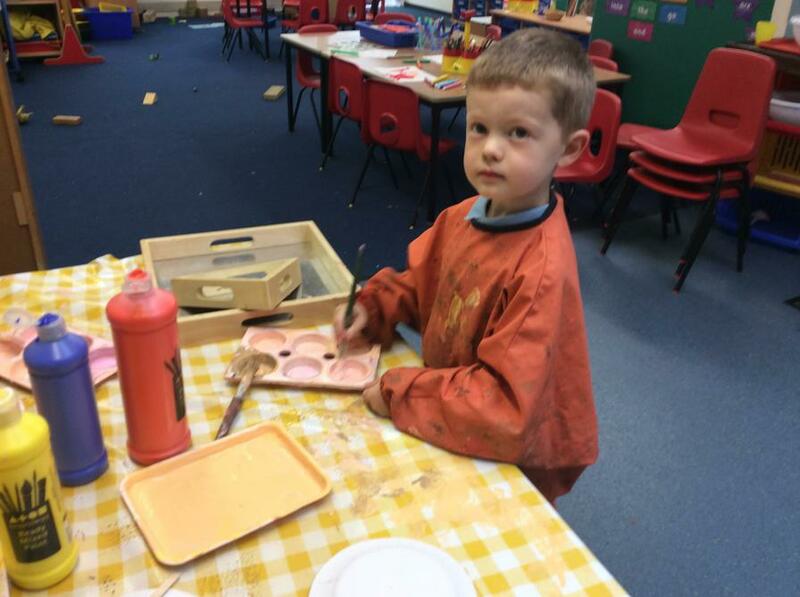 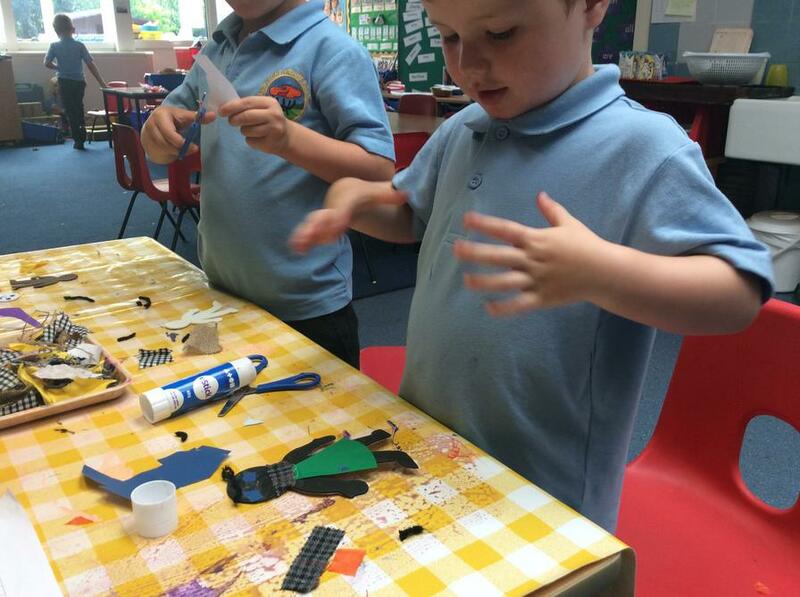 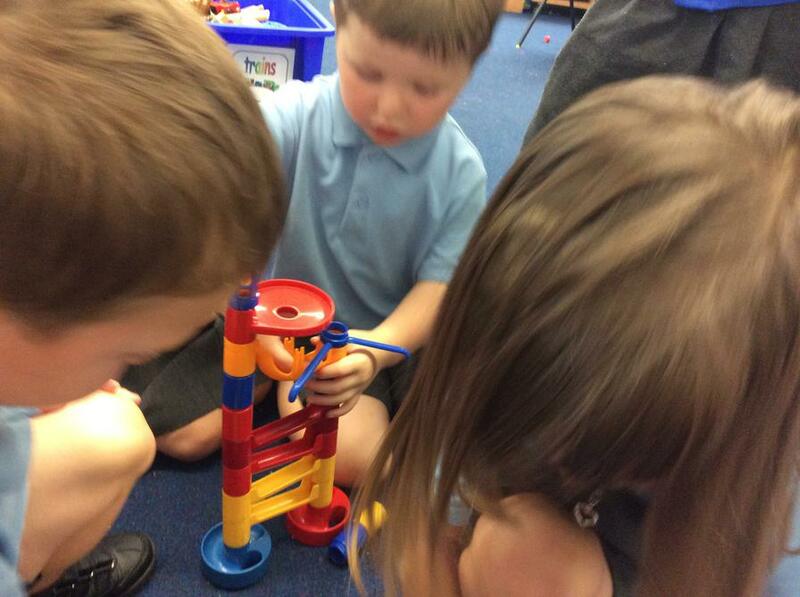 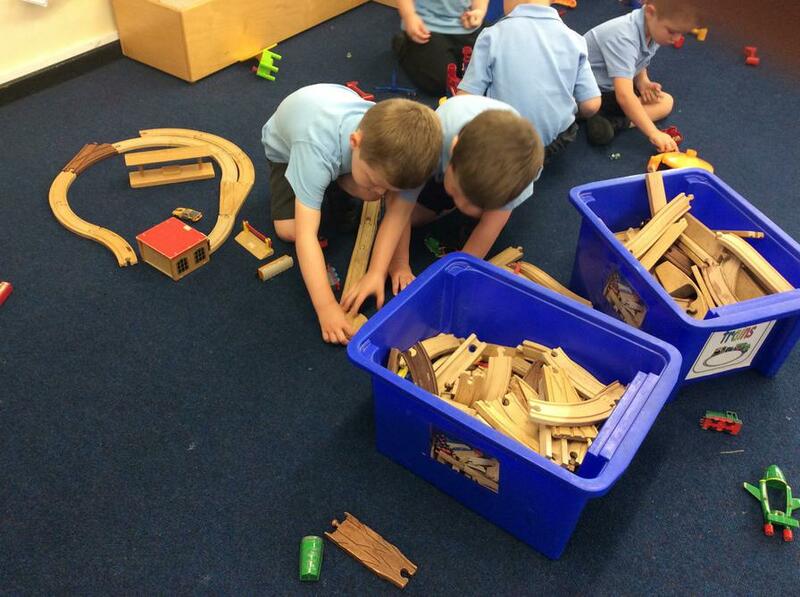 Playing, exploring and finding out! 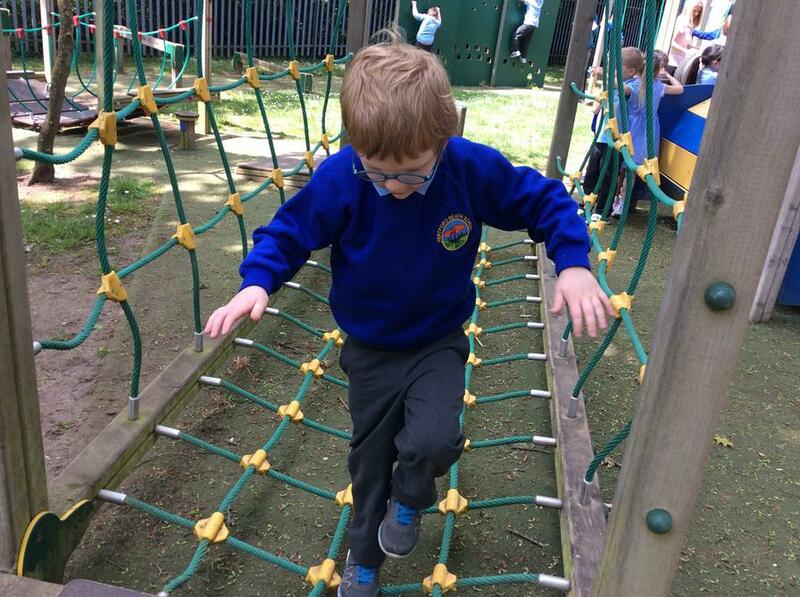 Run, run as fast as you can! 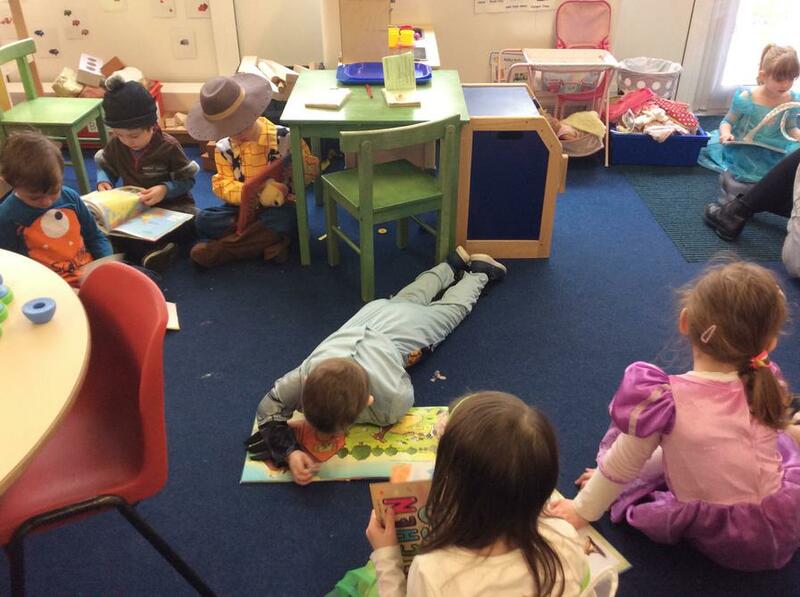 You can't catch me, I'm a gingerbread man!